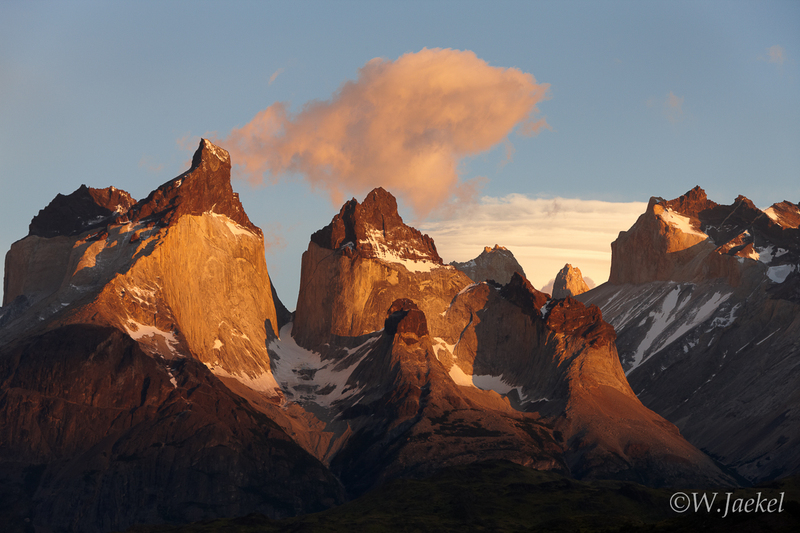 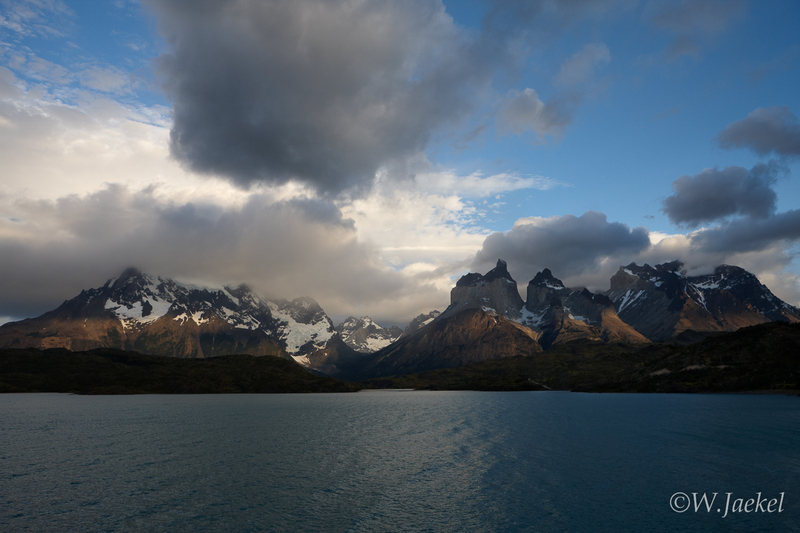 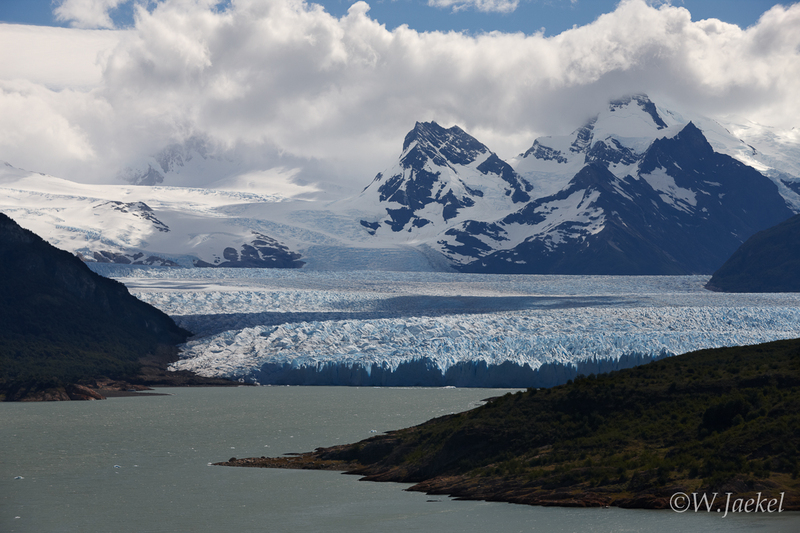 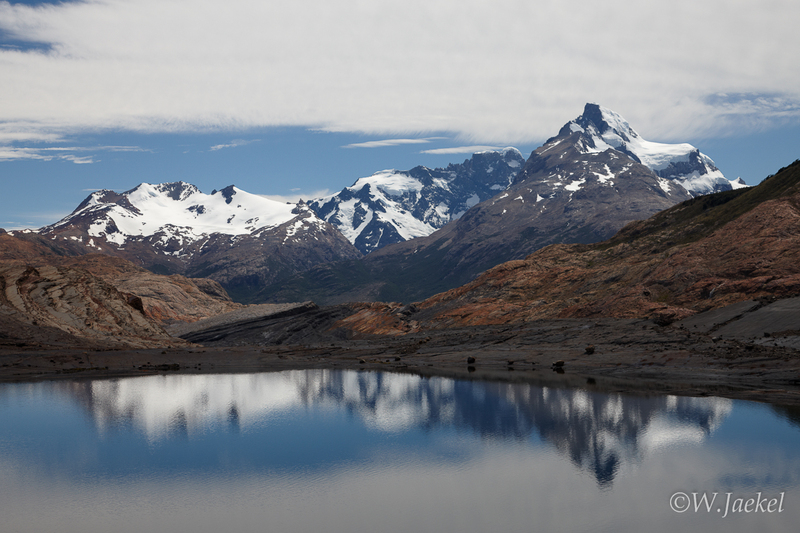 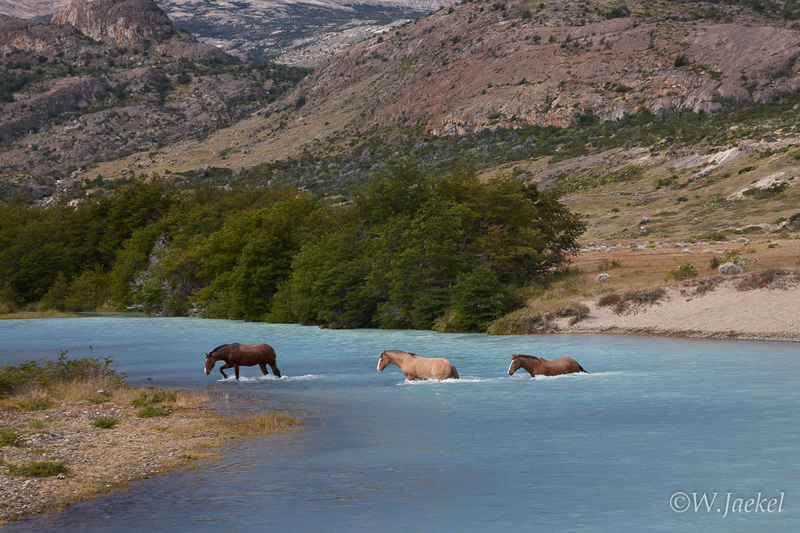 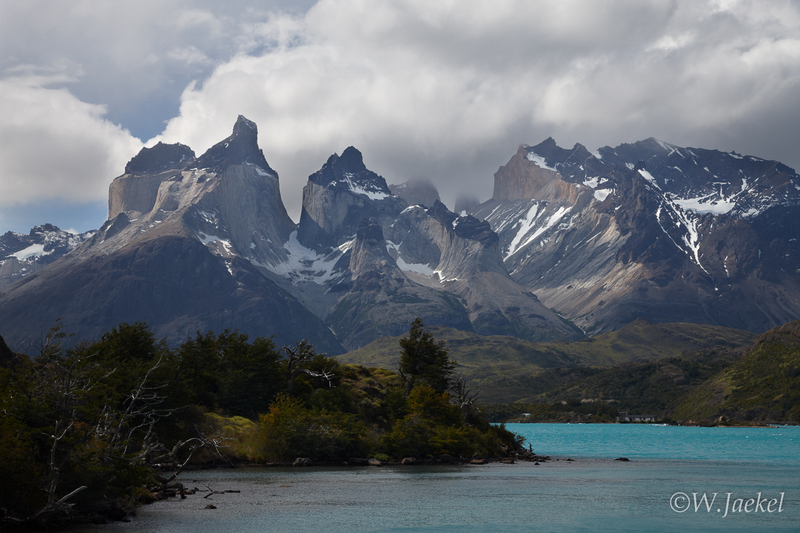 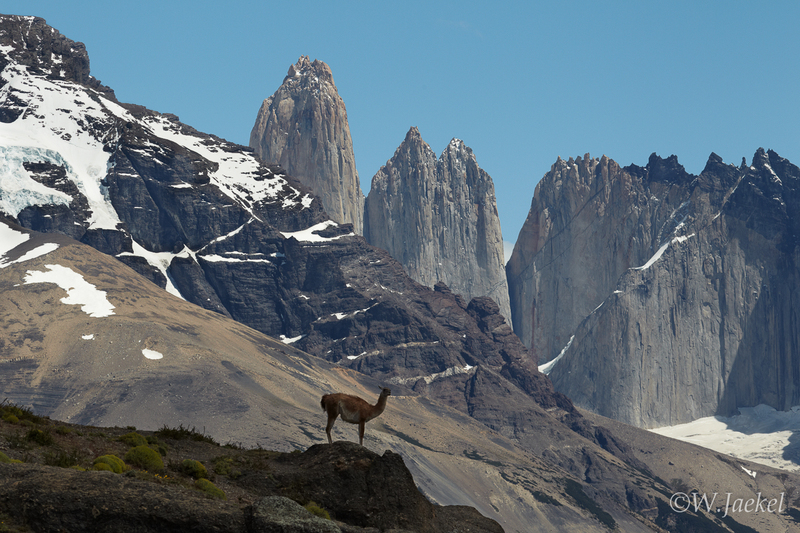 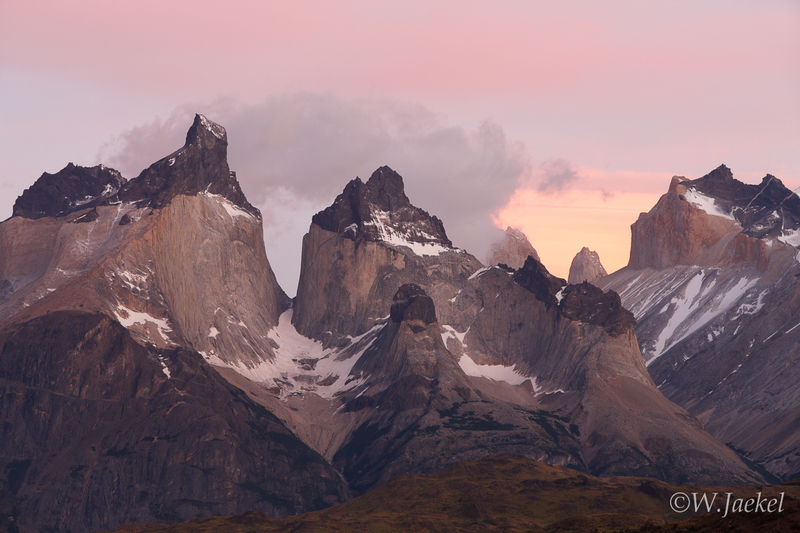 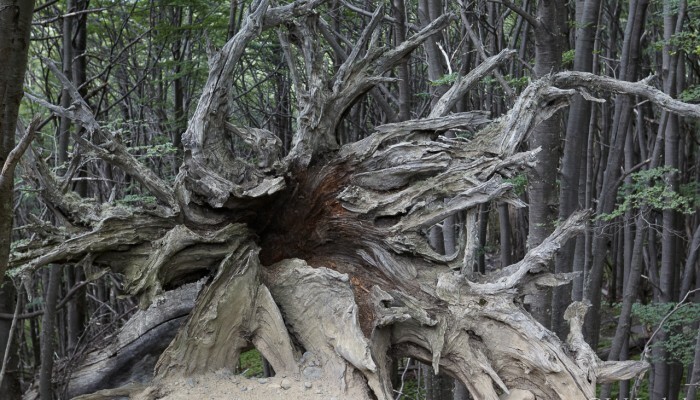 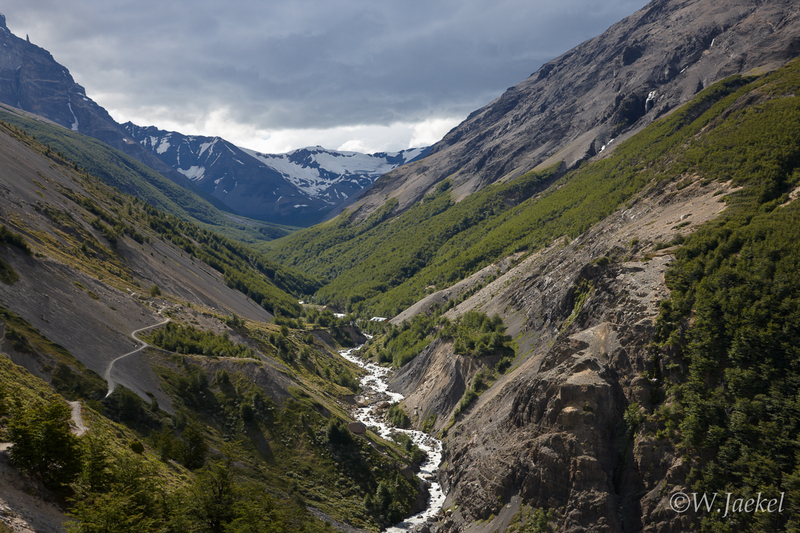 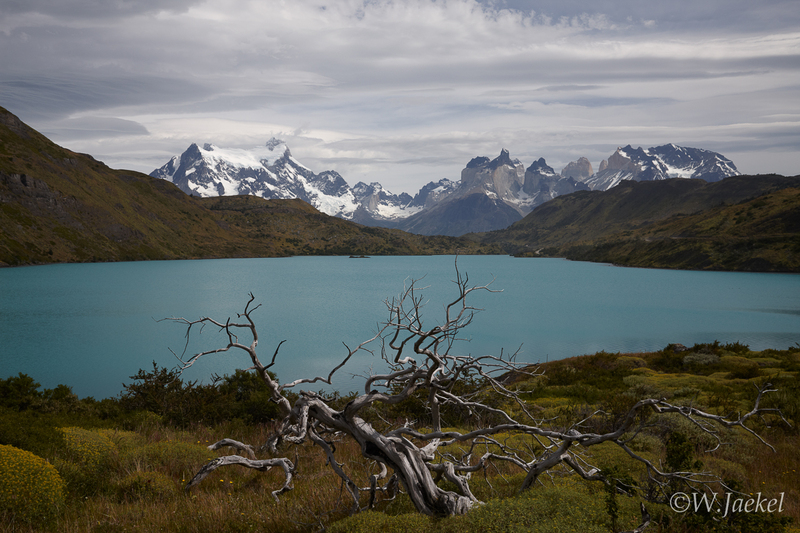 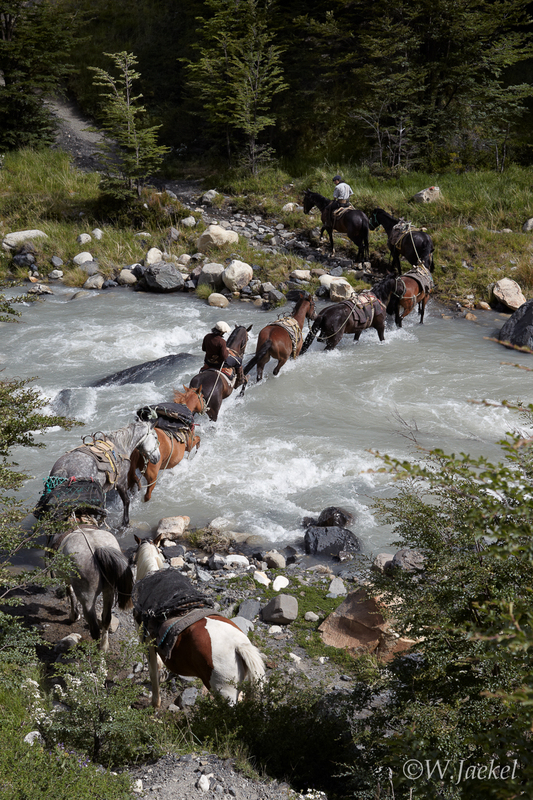 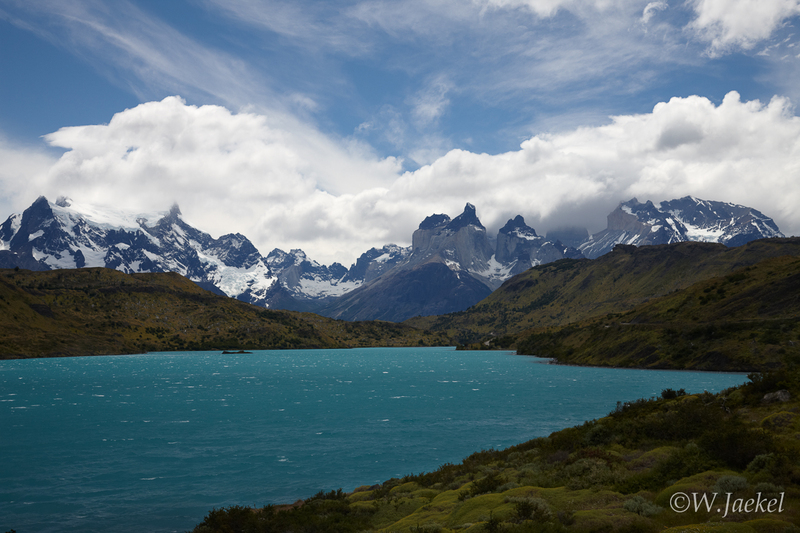 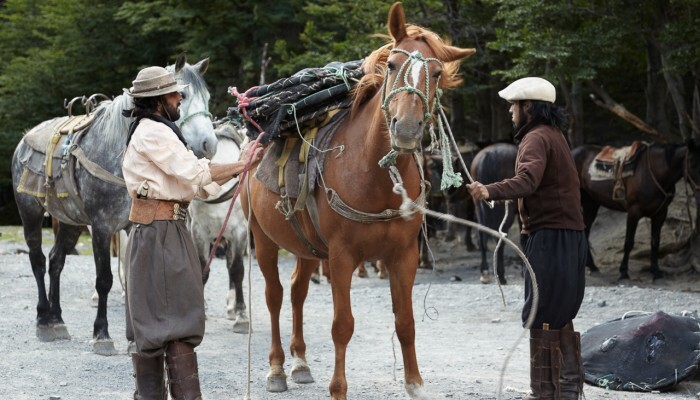 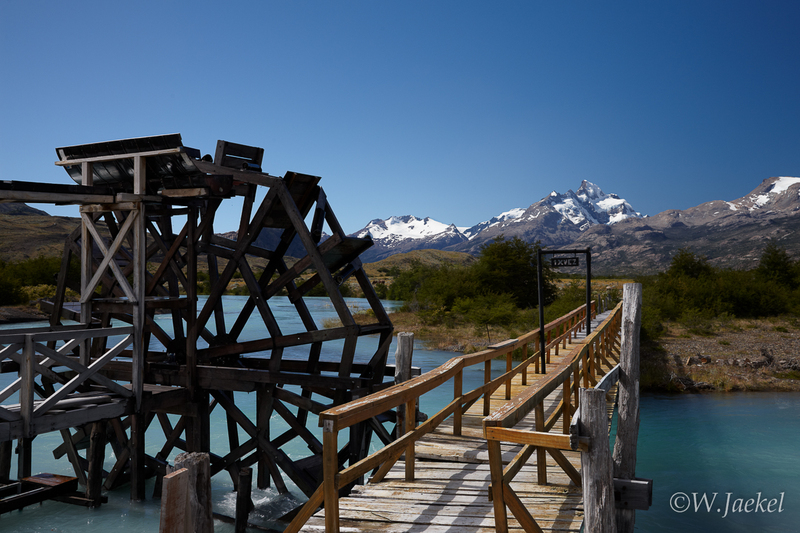 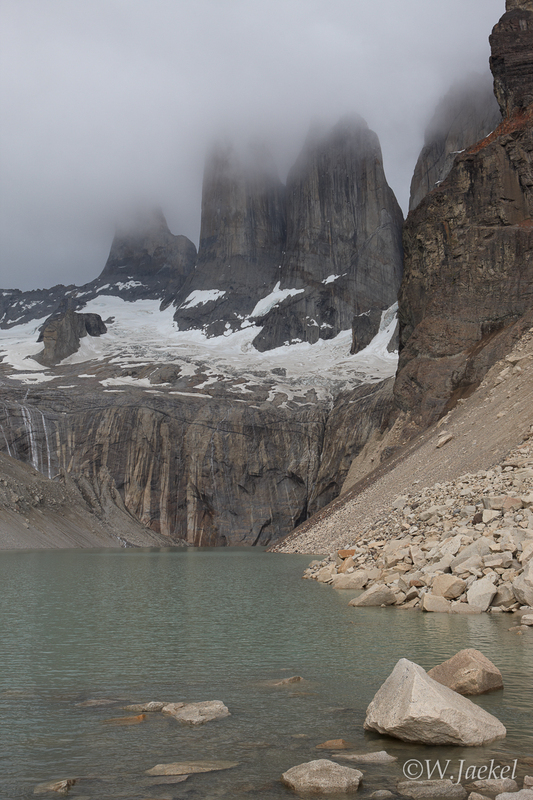 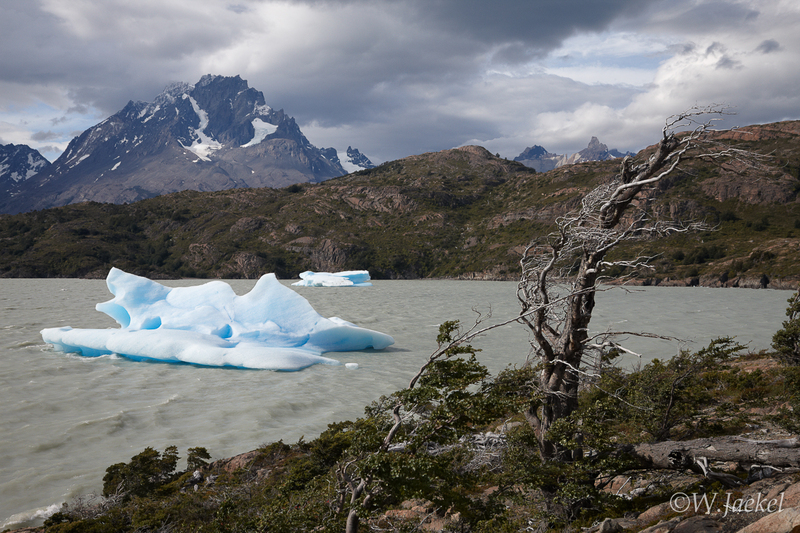 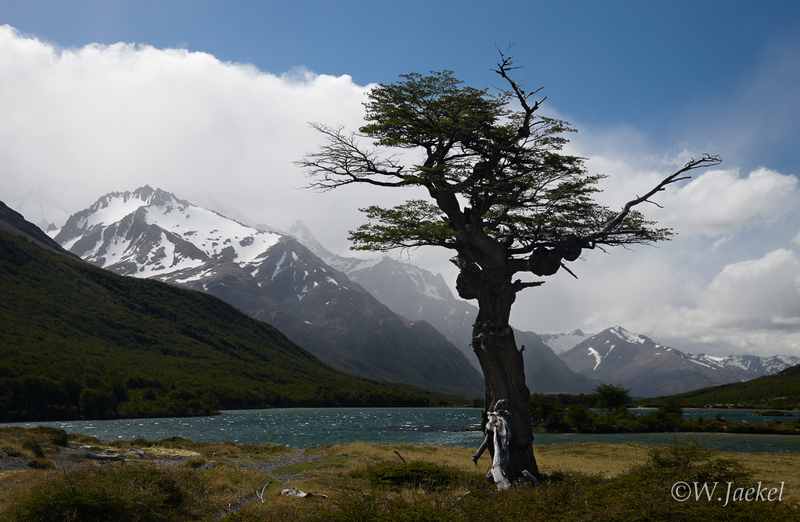 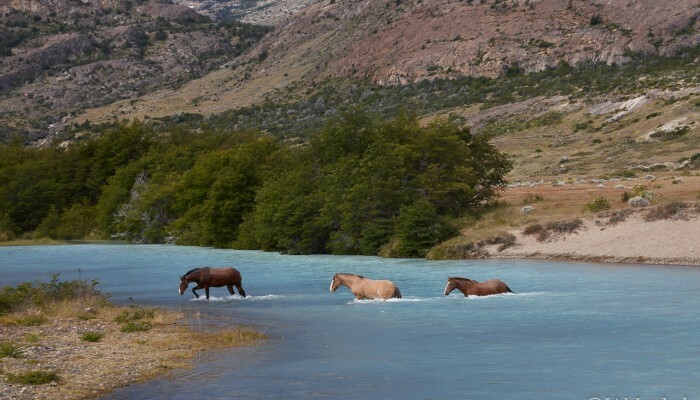 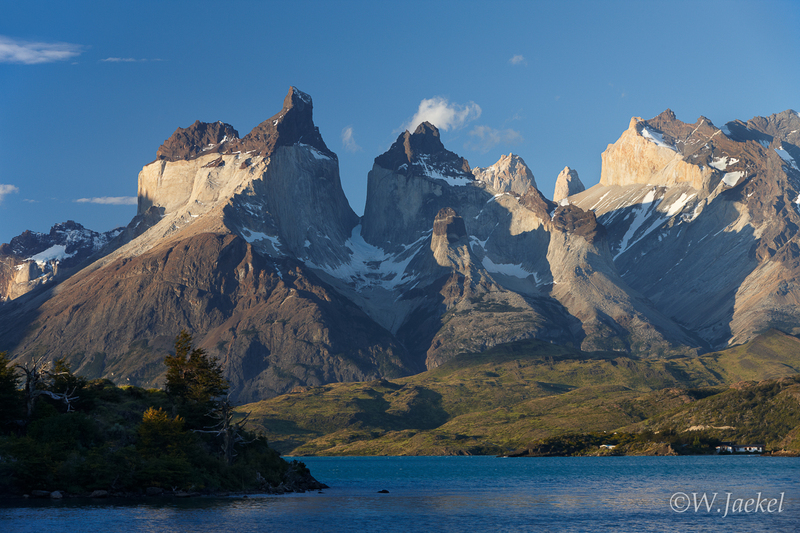 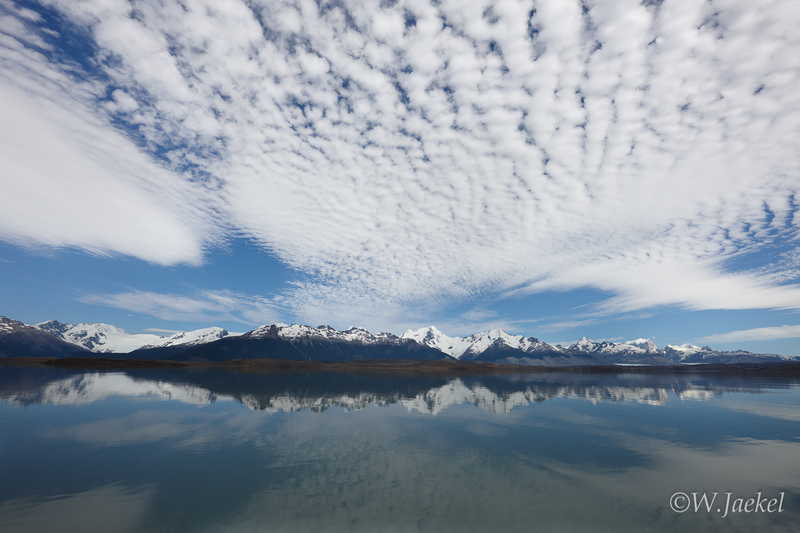 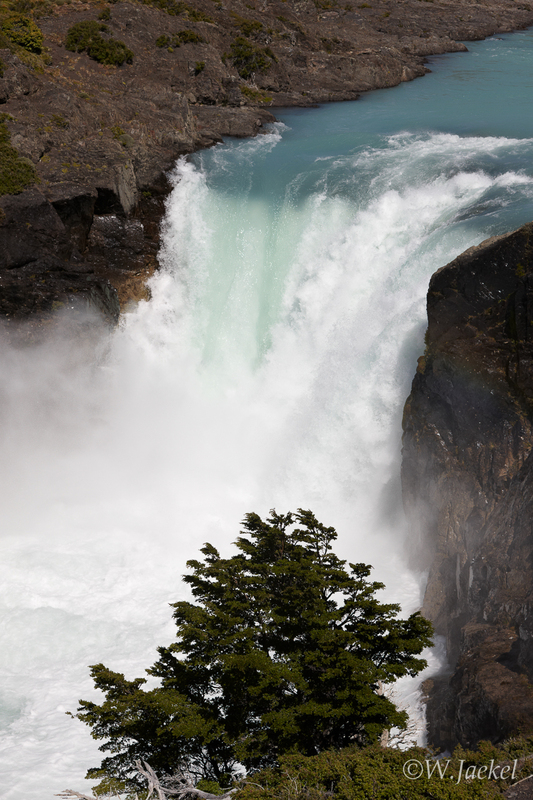 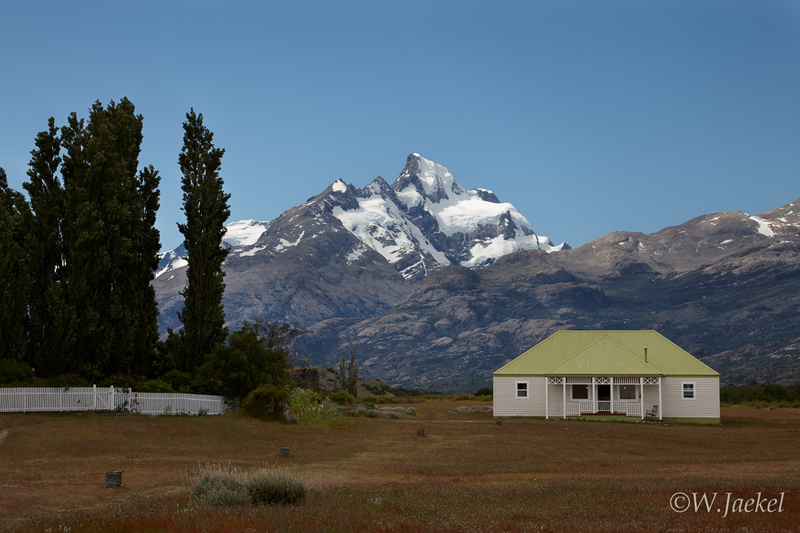 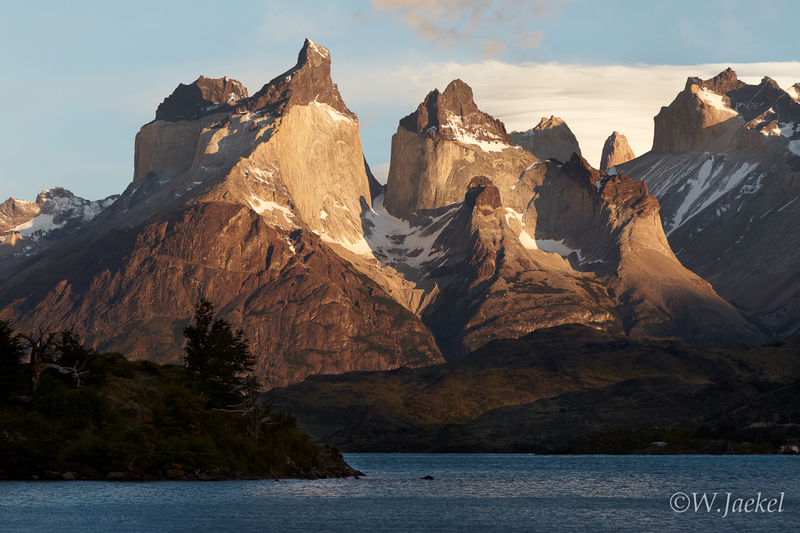 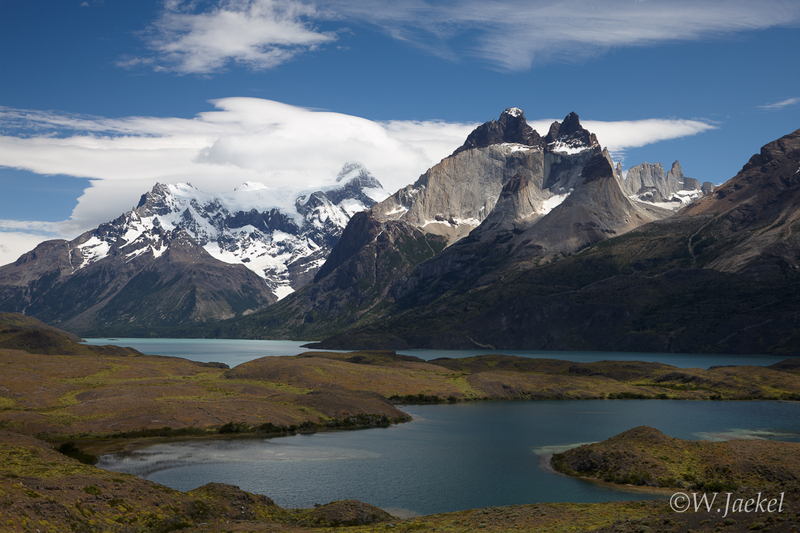 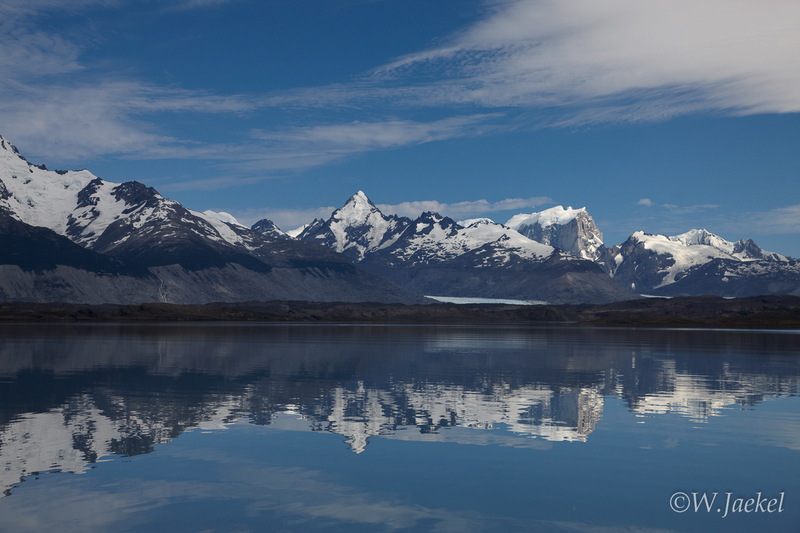 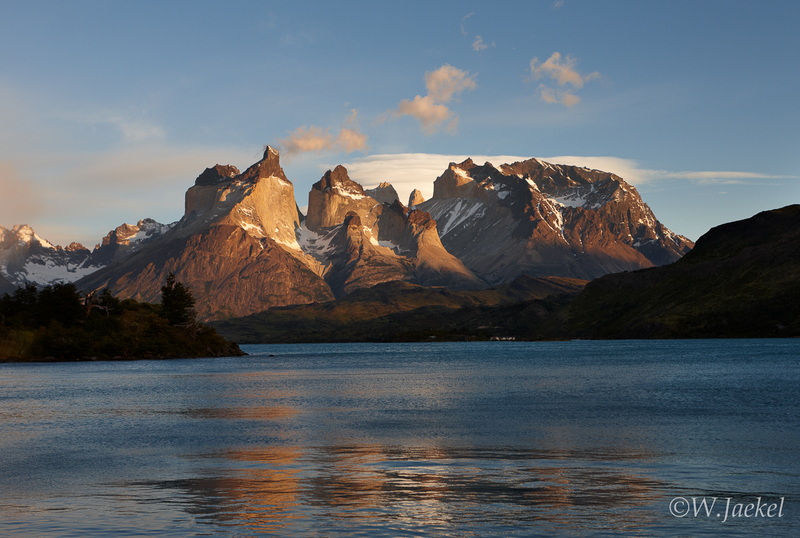 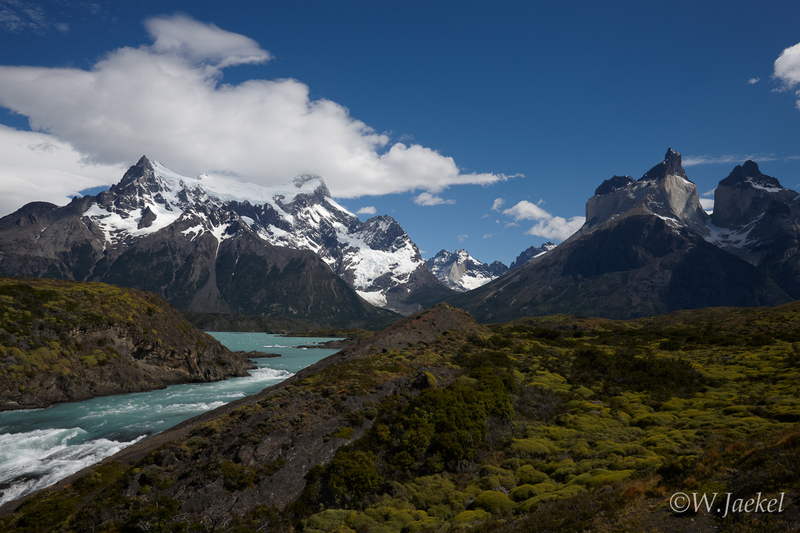 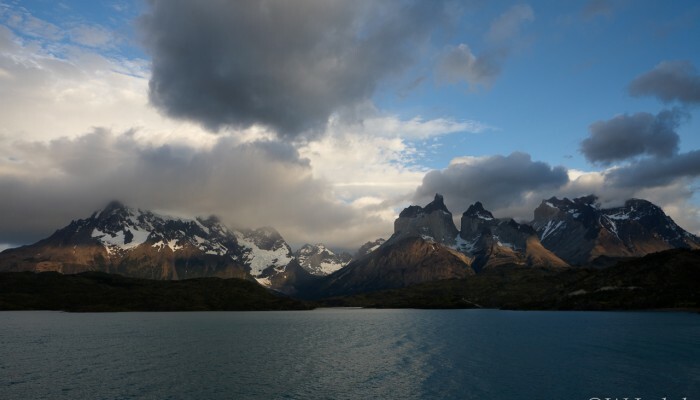 For many years, Patagonia has been top on the list of places to visit once in my lifetime. 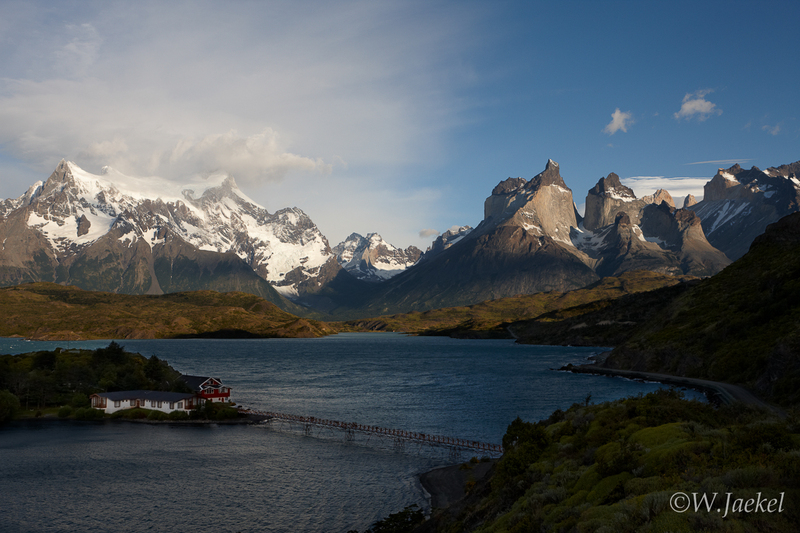 Around Christmas 2010 I finally could fulfill the dream and went on a private trip for 19 days. 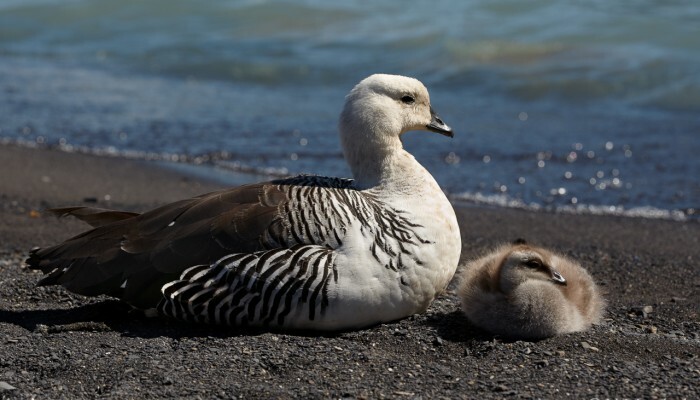 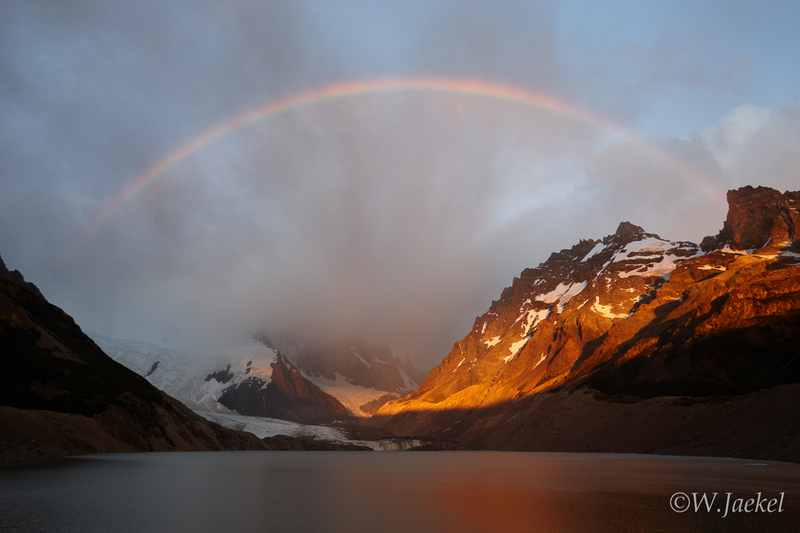 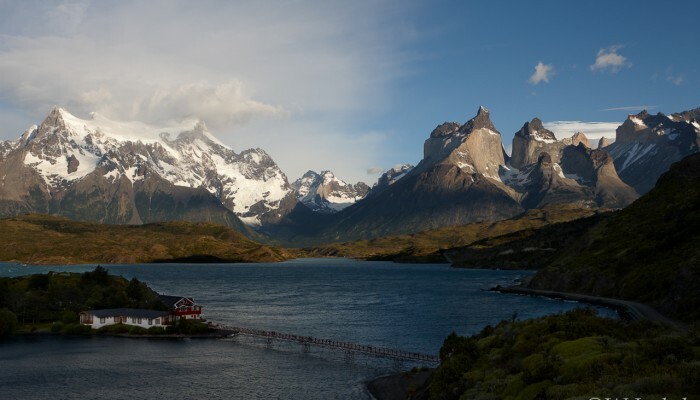 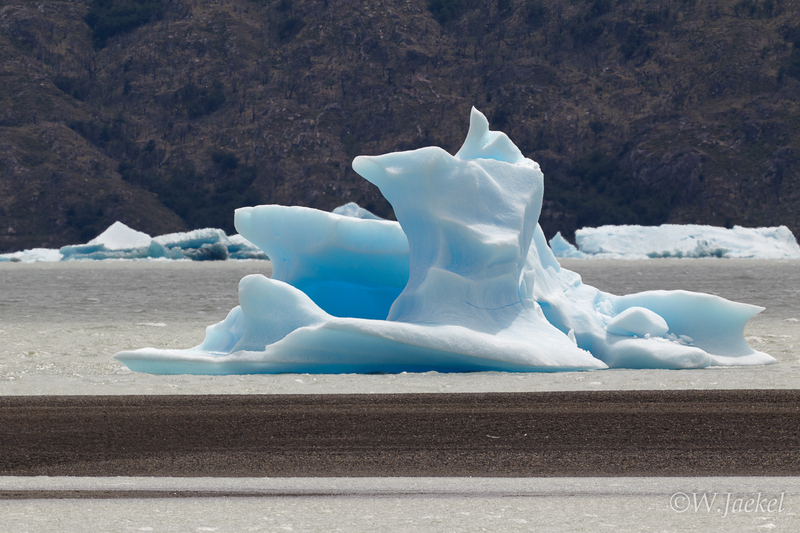 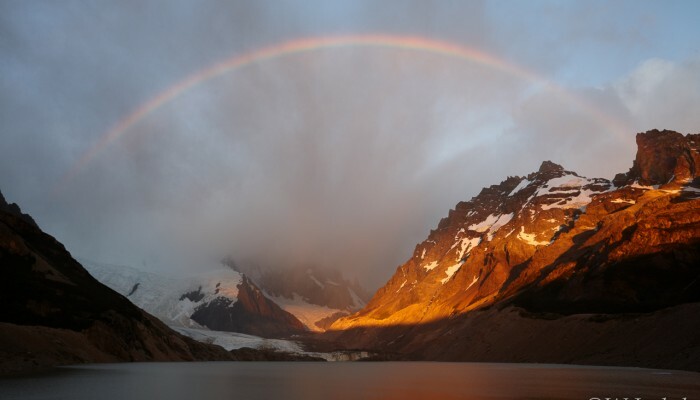 Located in the southern Andes mountain range straddling the border of Argentina and Chile, Patagonia’s breathtaking scenery of mountain icons, azure lakes and glaciers have attracted countless nature photographers. 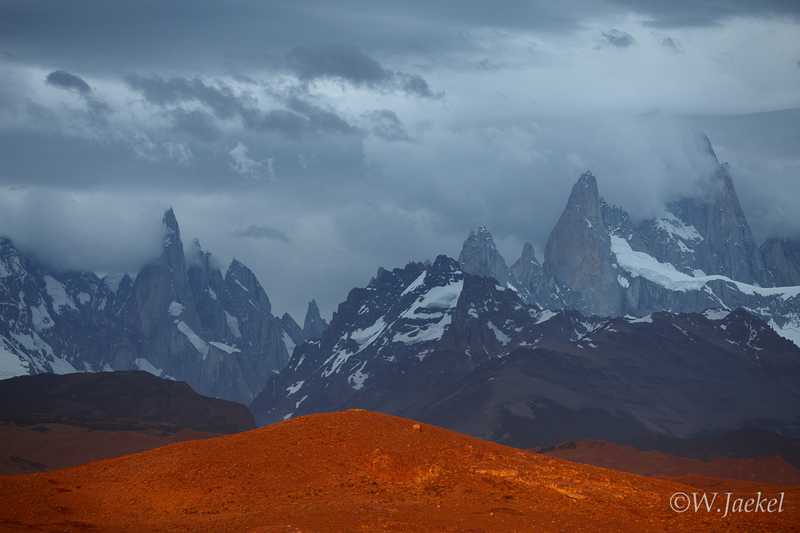 However, travellers can also face some of the worst and probably most variable weather in the world making photography potentially impossible – unless you like hiking and taking pictures in 90+ km/h wind and horizontal rain. 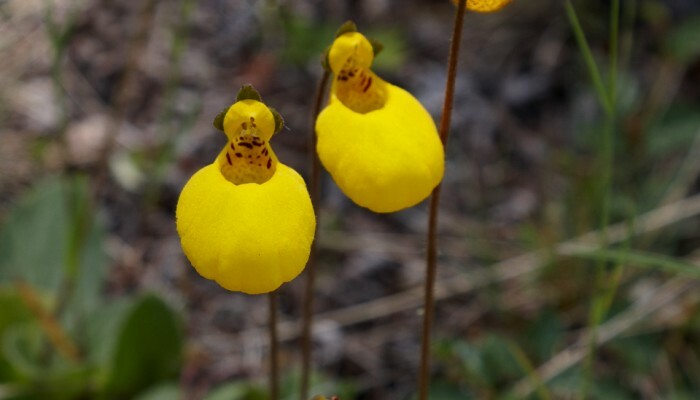 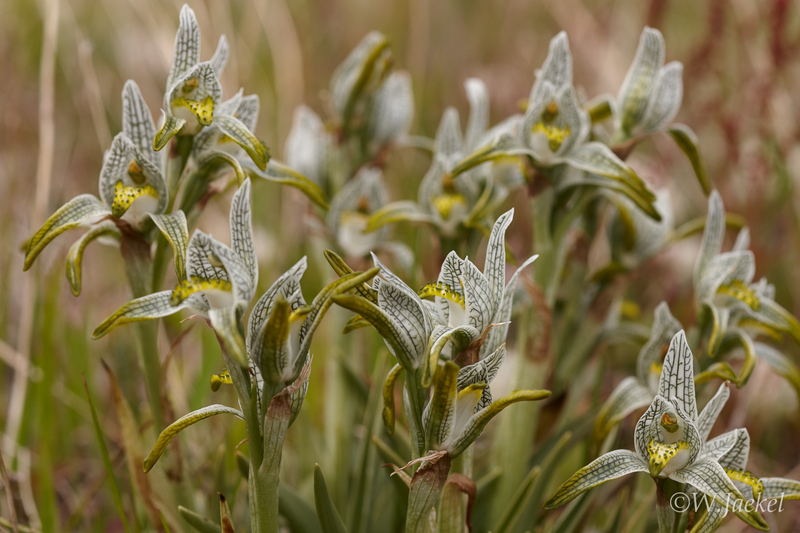 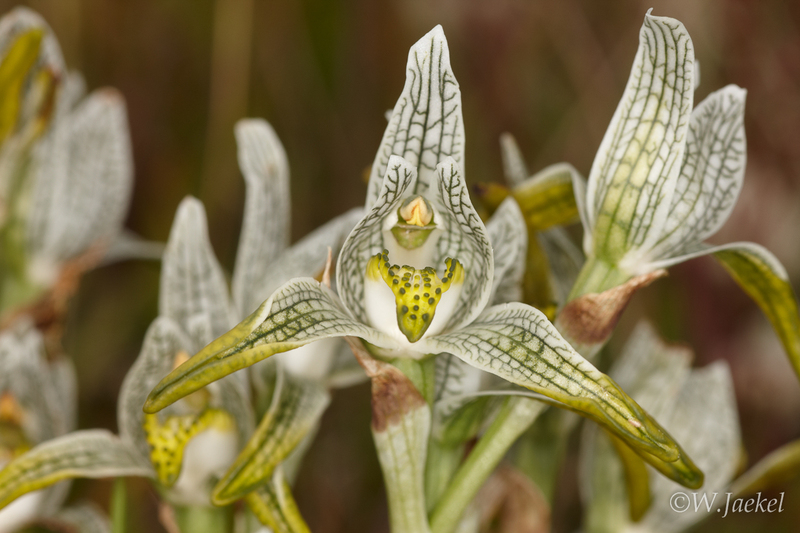 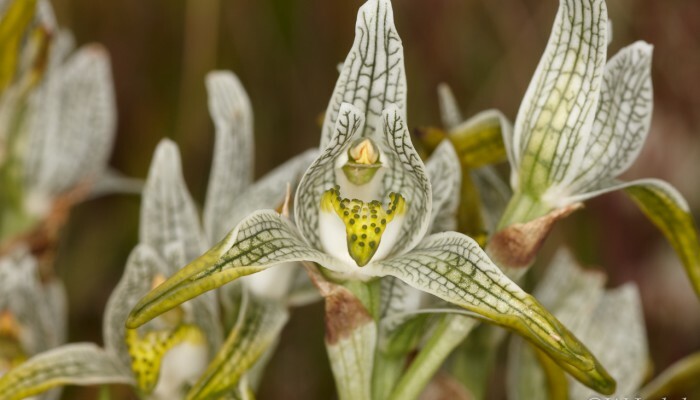 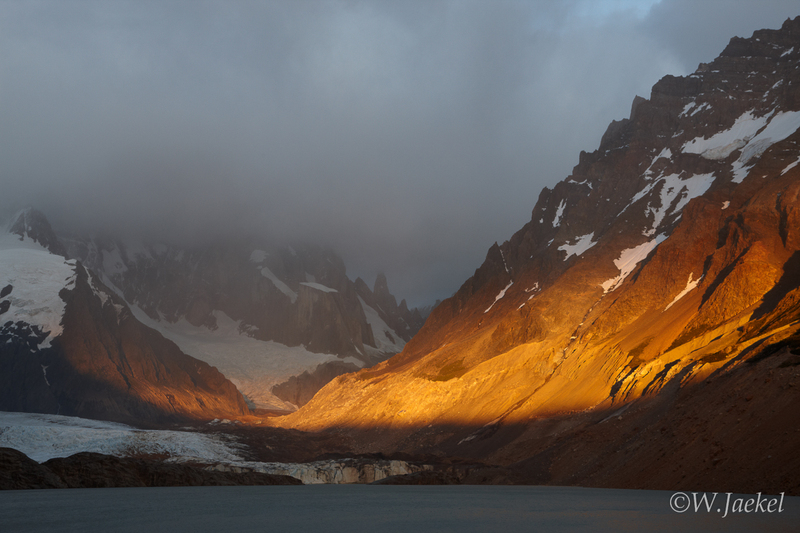 Quite a few photographers returned back home without having seen the motifs they had come for. 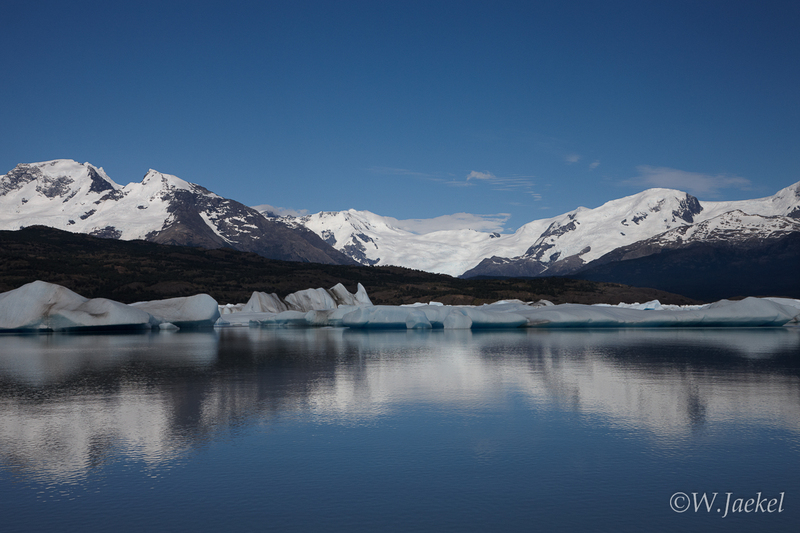 Therefore I was very lucky with the weather since it was sunny, very warm and pretty calm almost every day. 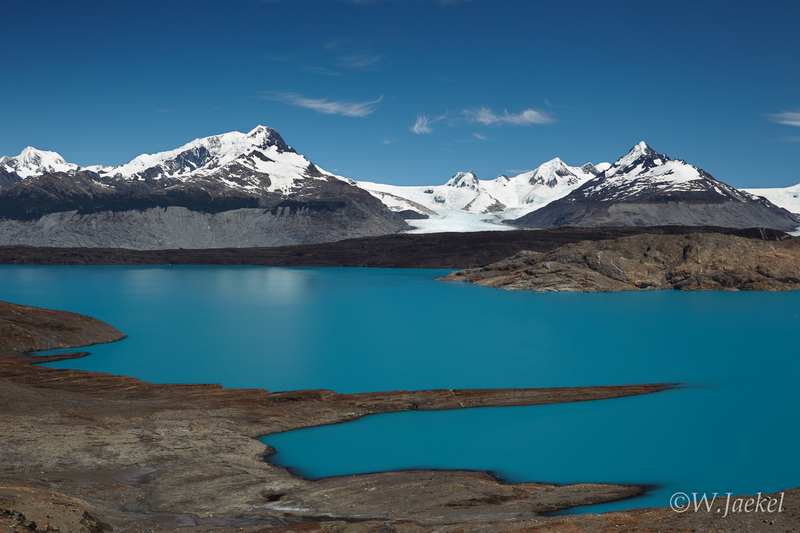 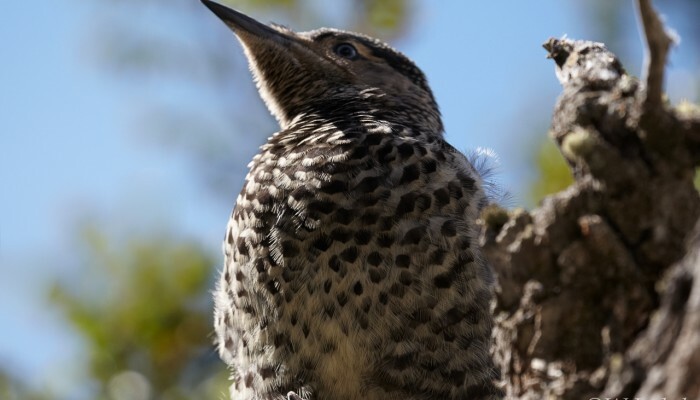 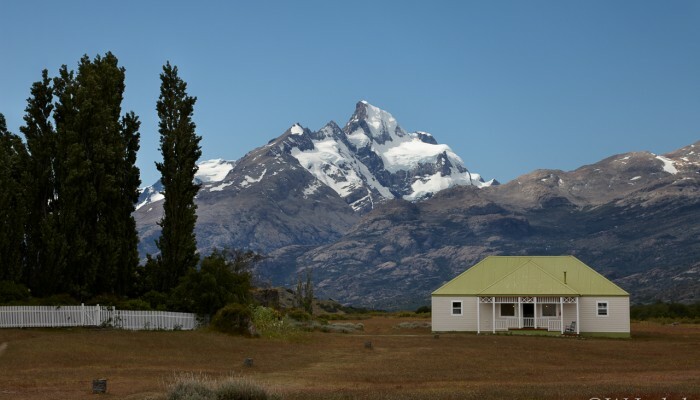 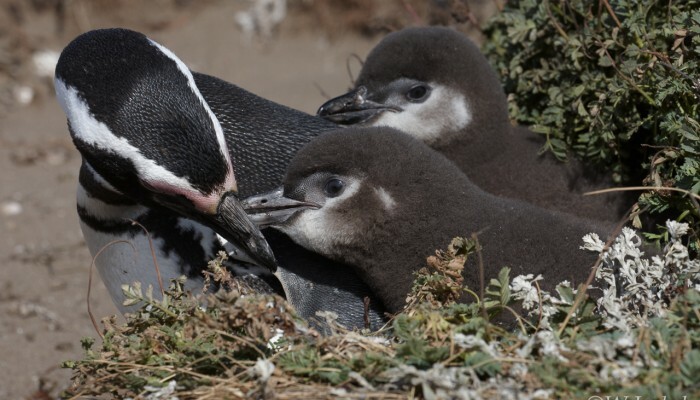 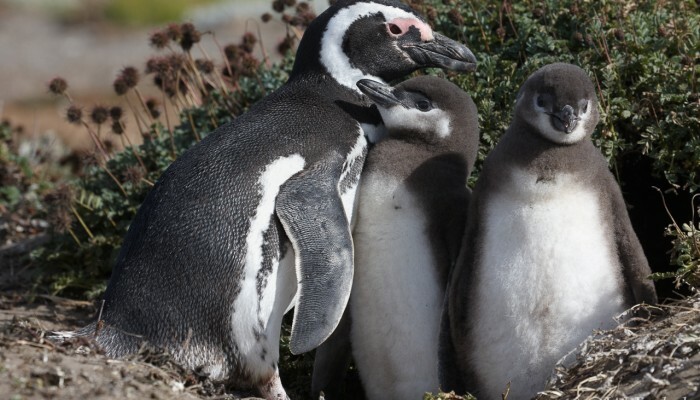 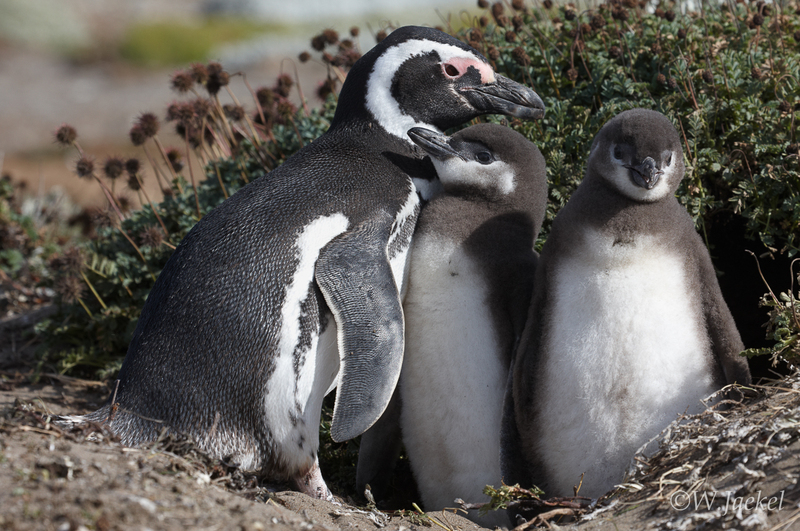 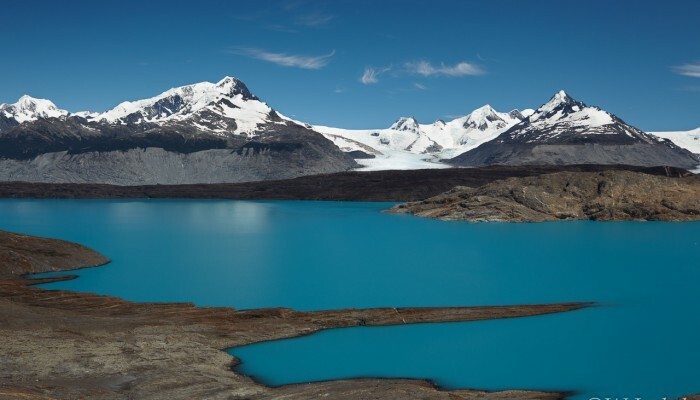 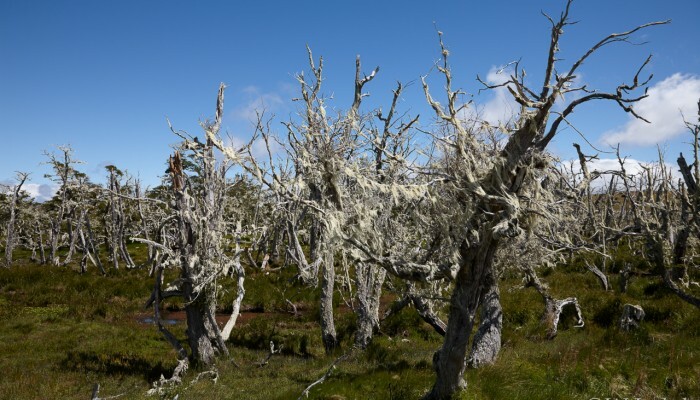 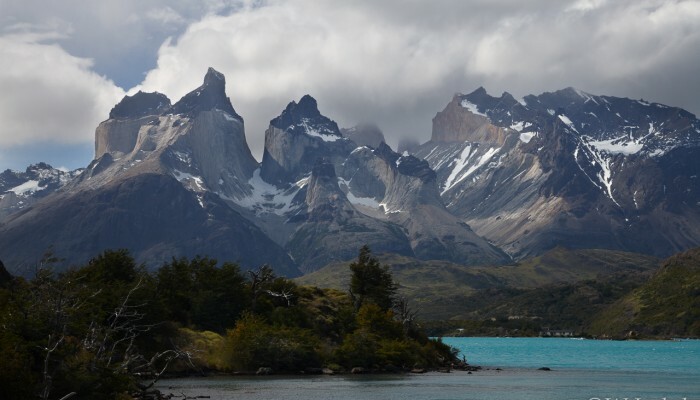 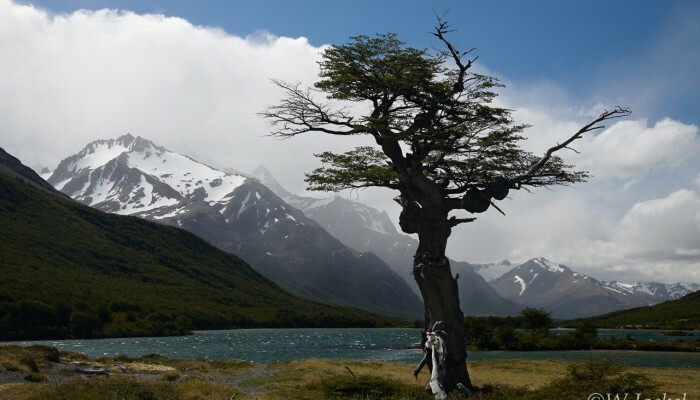 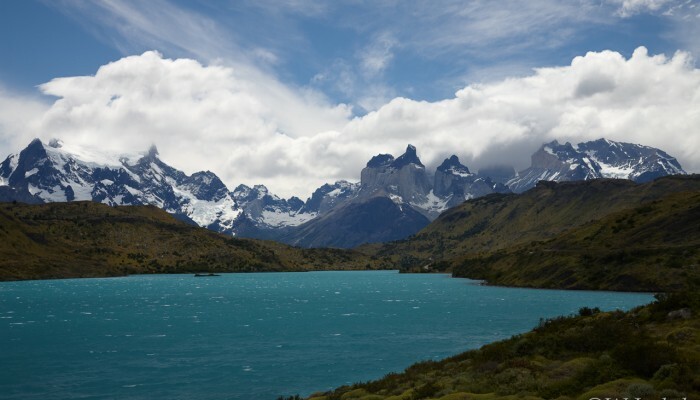 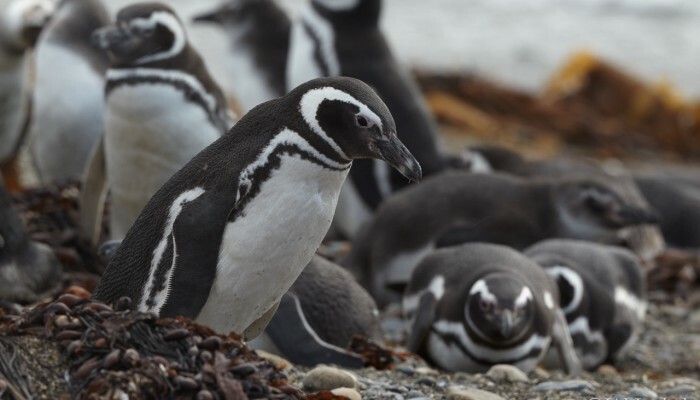 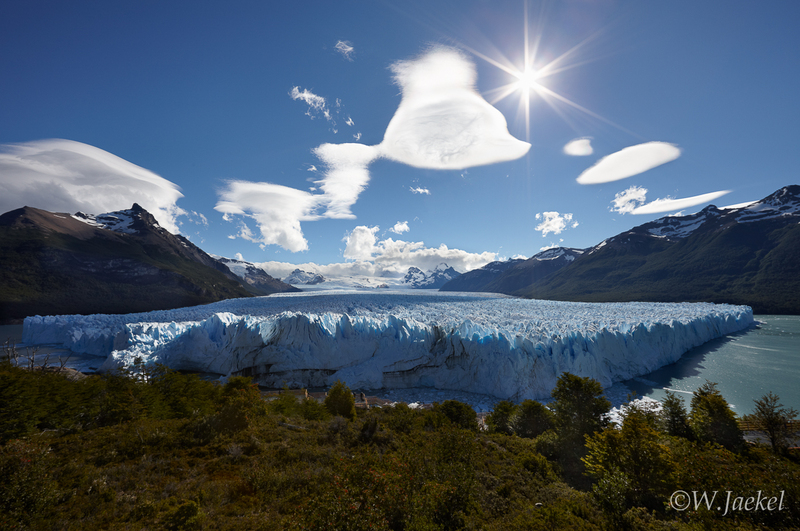 Within the limited time available, the trip was primarily focused on the three famous highlights of southern Patagonia: Torres del Paine NP in Chile and Los Glaciares NP including Perito Moreno Glacier, located in Argentina. 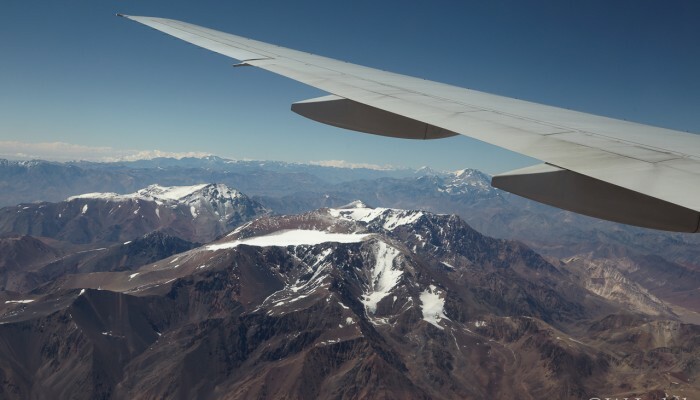 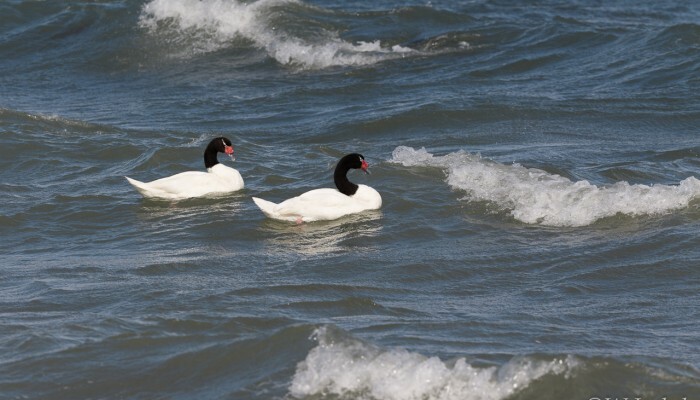 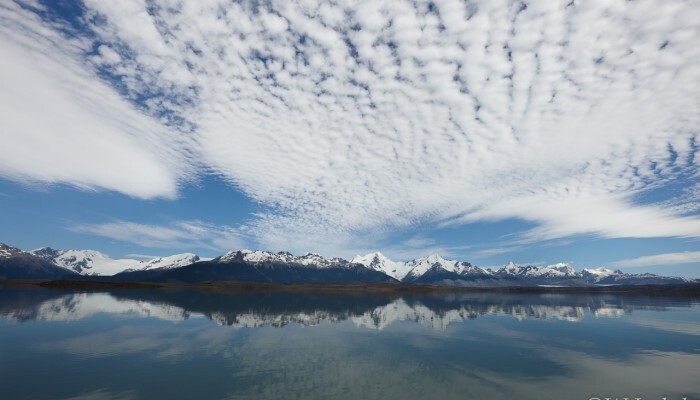 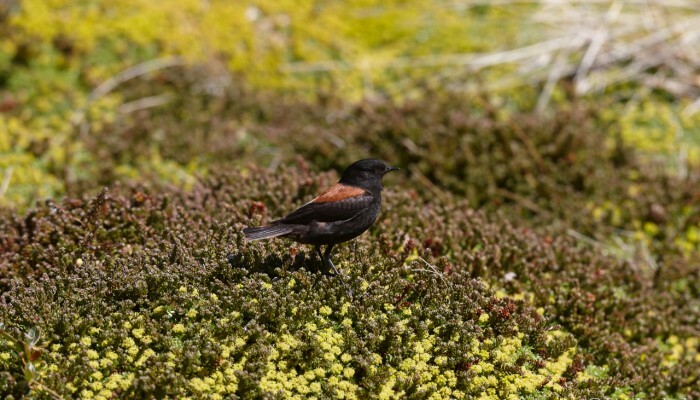 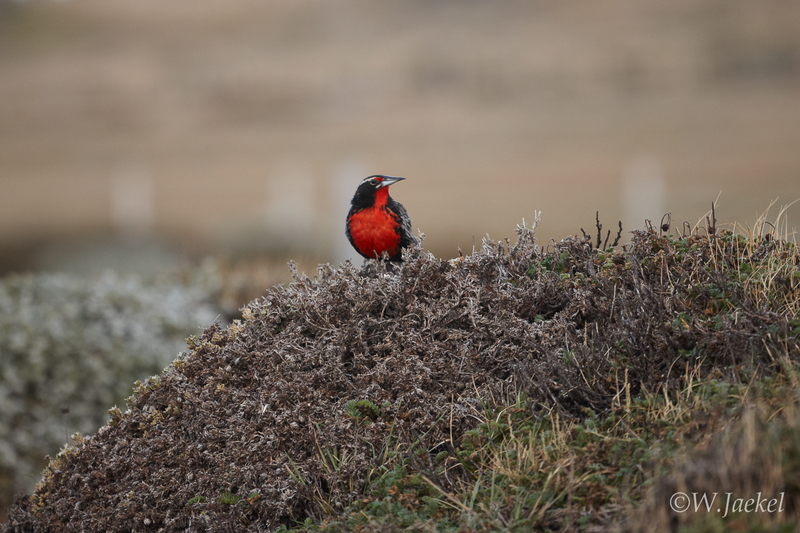 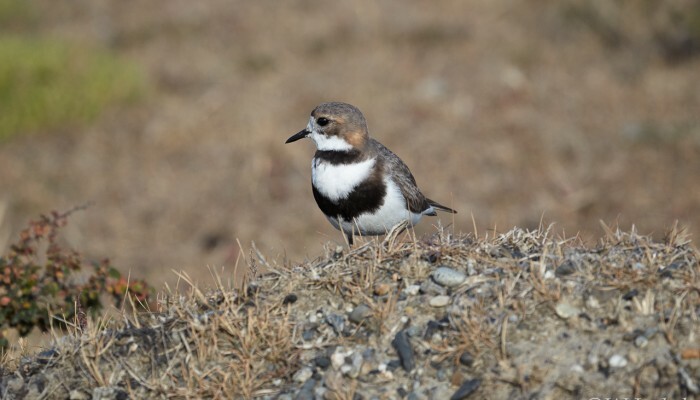 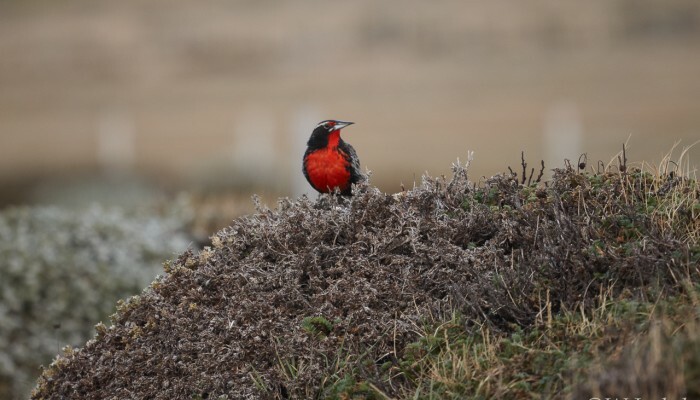 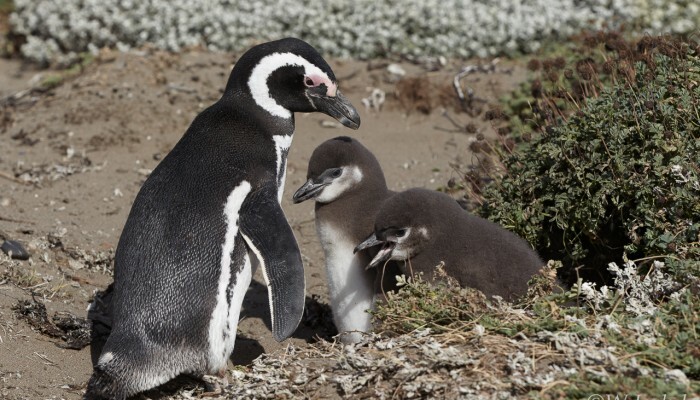 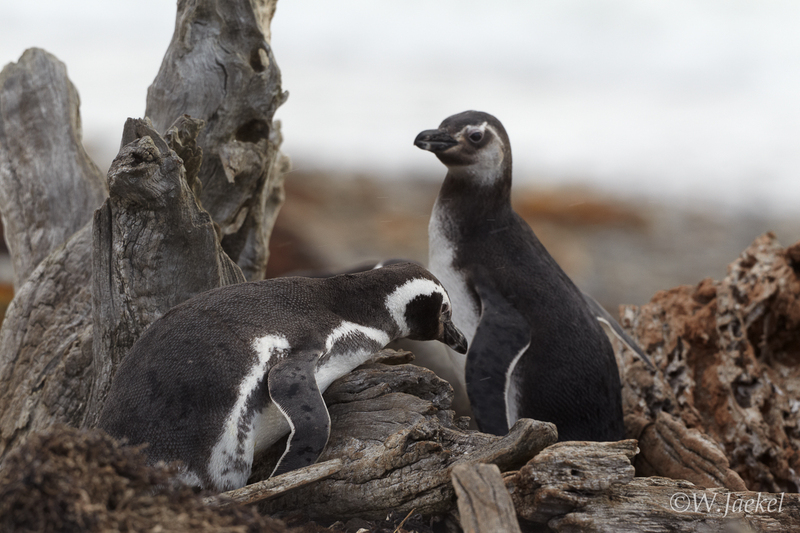 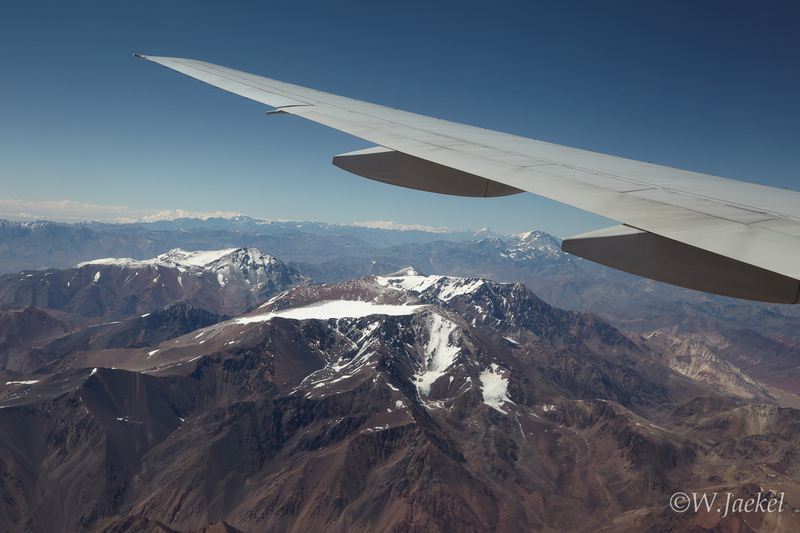 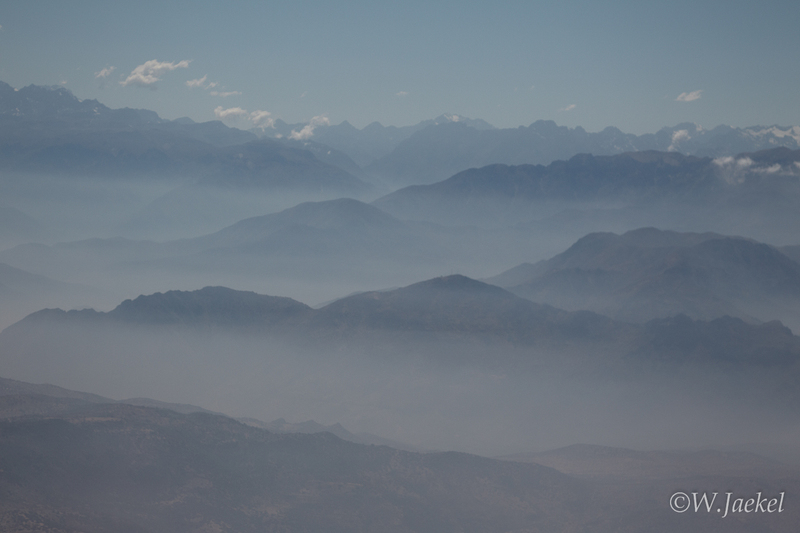 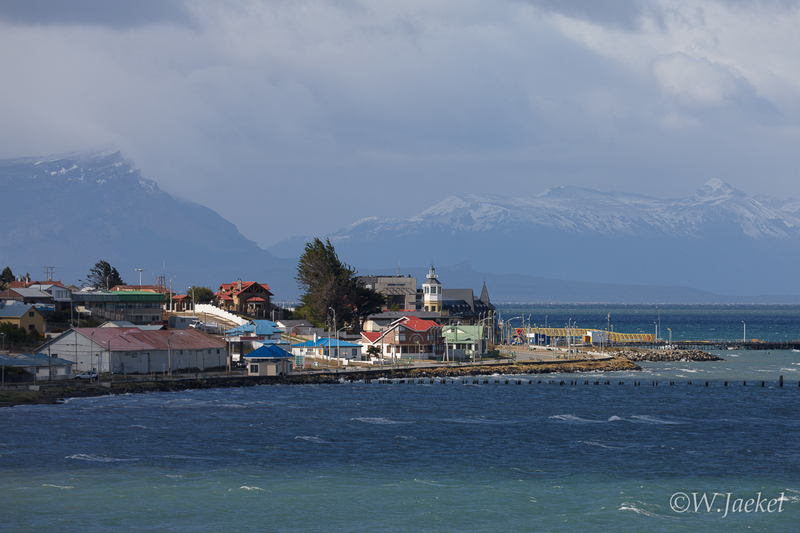 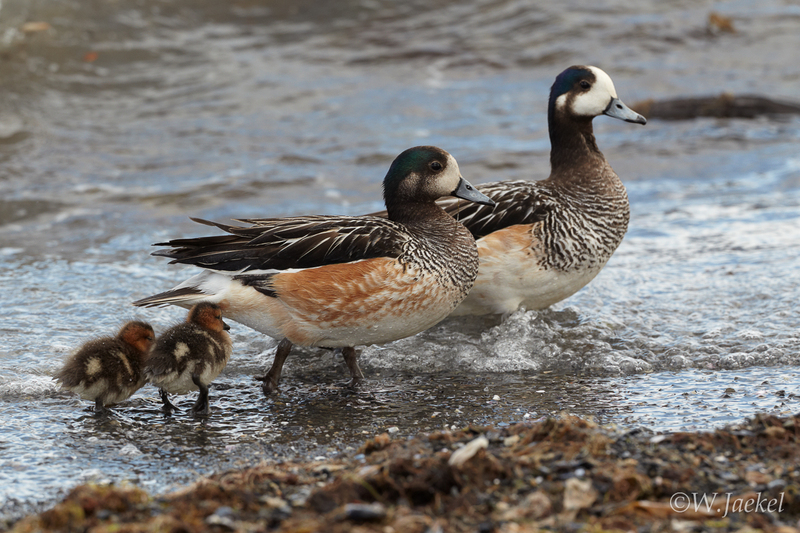 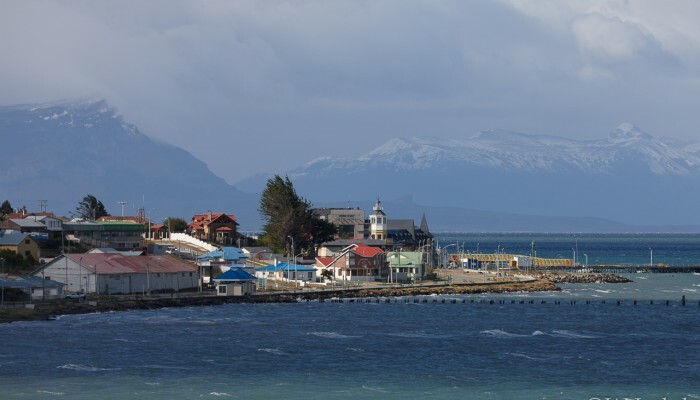 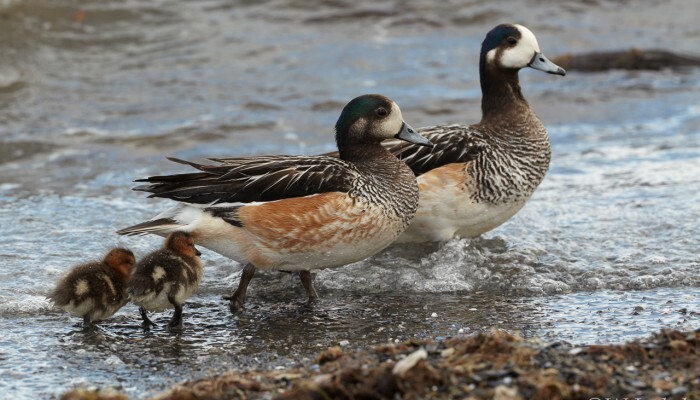 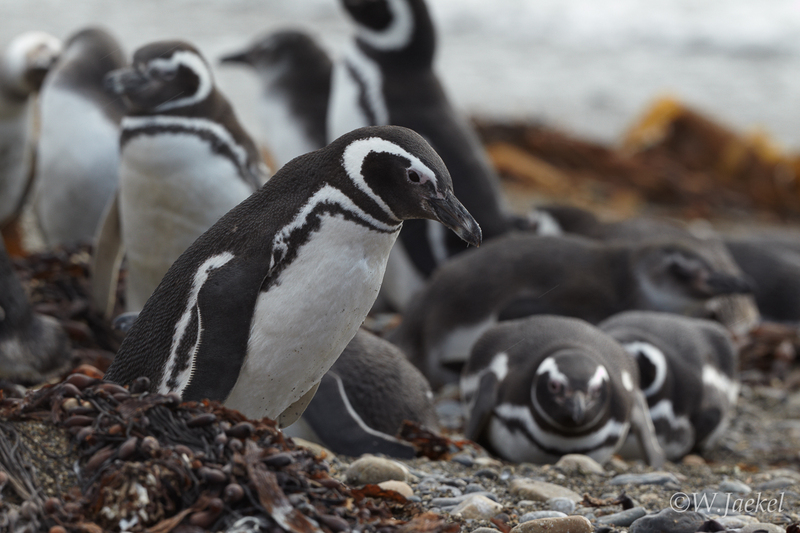 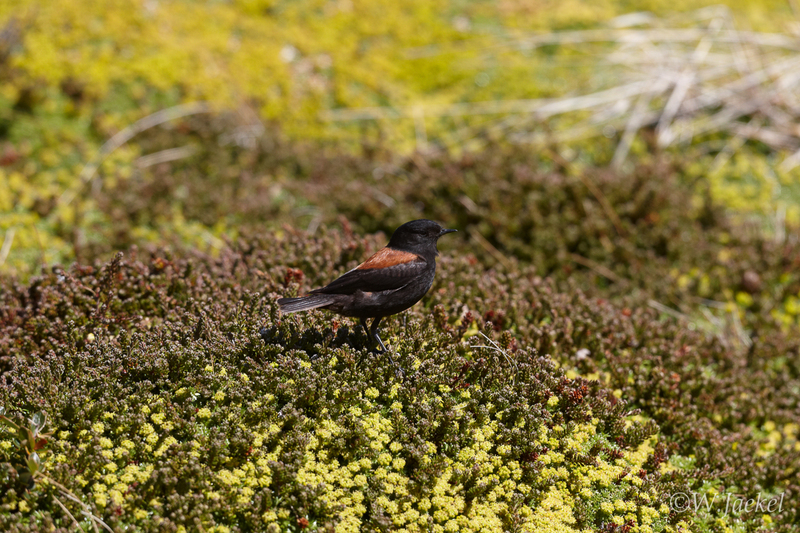 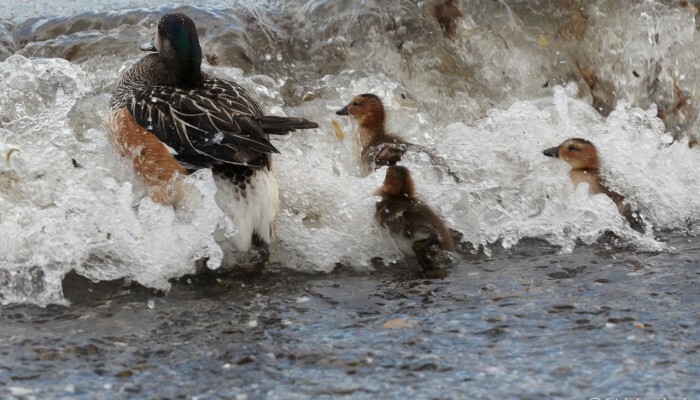 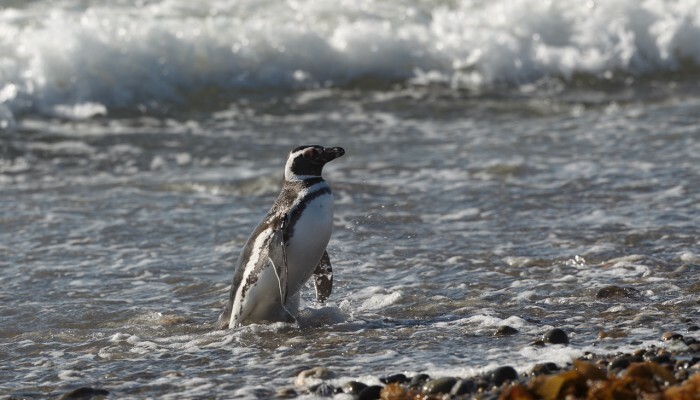 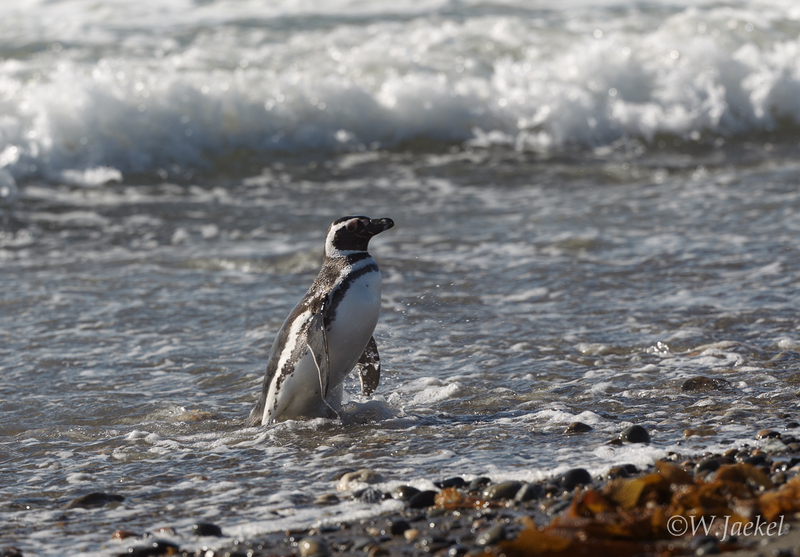 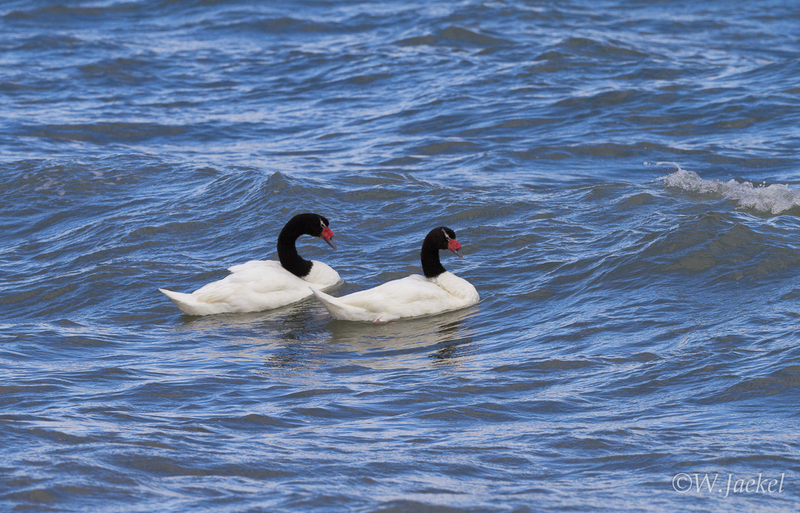 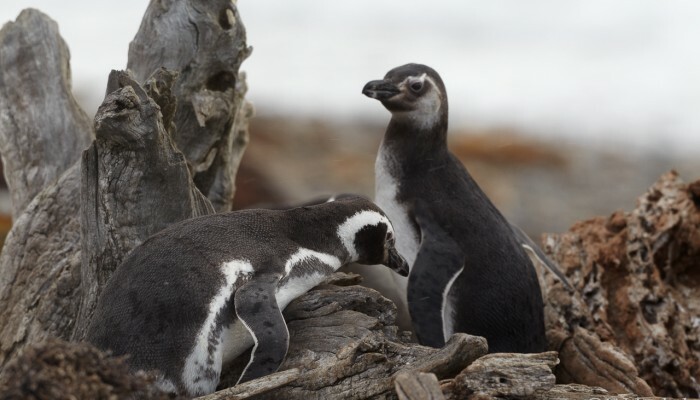 Flying in from Santiago the Chile I arrived in Punta Arenas on Christmas Eve and drove to Puerto Natales which is situated 250 km northwest of Punta Arenas and is the gateway to TDP. 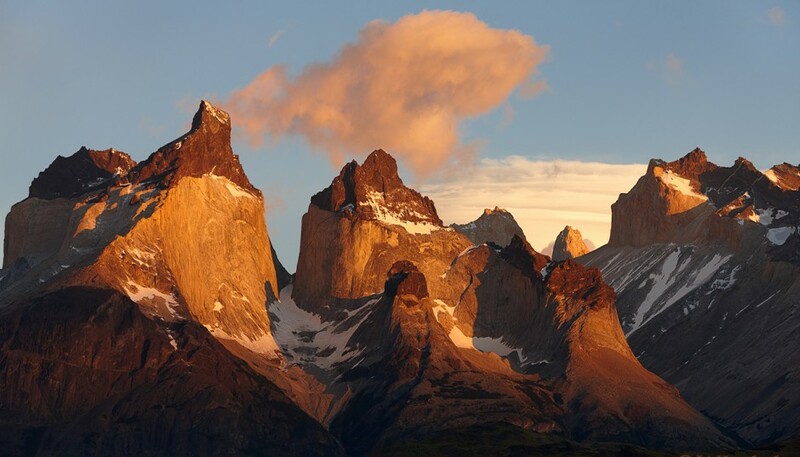 Parque National de Torres Del Paine with its array of world renowned granite Torres and Cuernos peaks, glacier-fed turquoise lakes, meadows, Magellanic forests, rivers and waterfalls was declared an UNESCO Biosphere Reserve in 1978 and offers a gentler experience than Los Glaciares NP, also for those not willing or capable of backpacking and overnight camping. 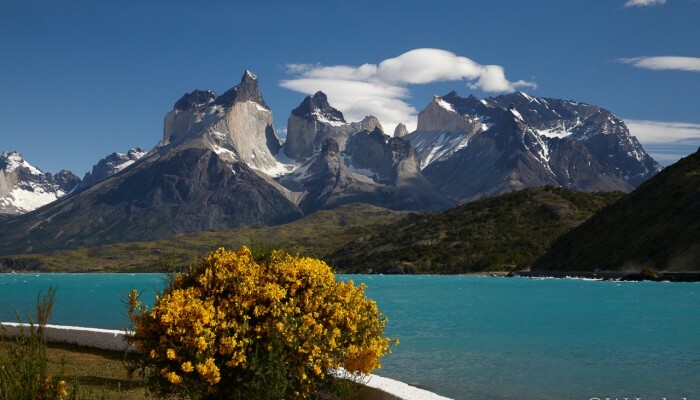 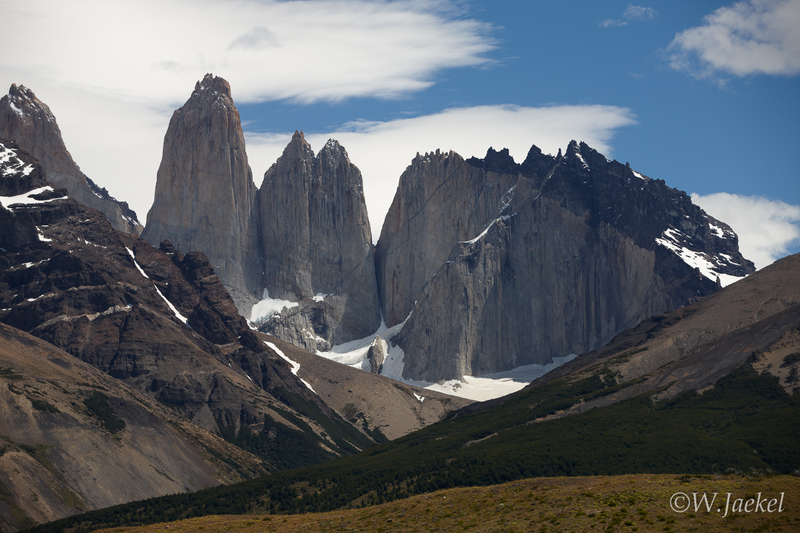 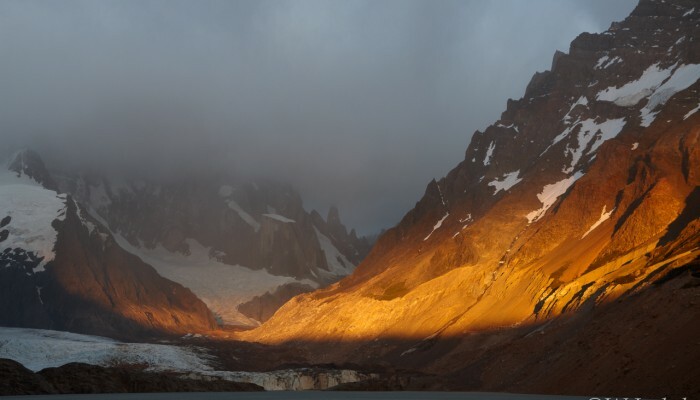 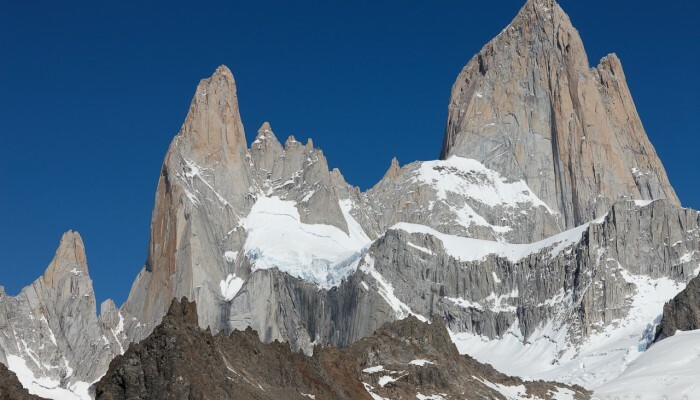 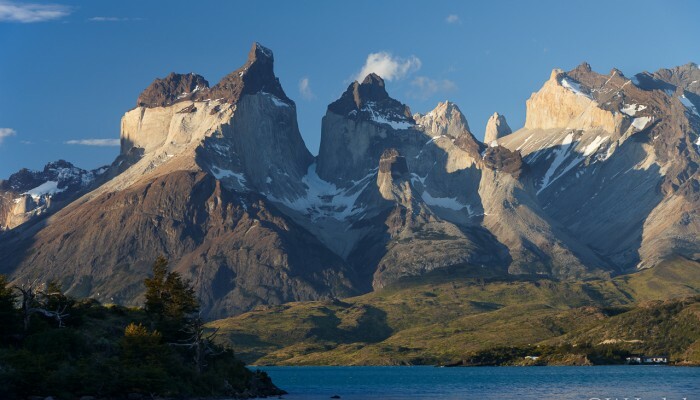 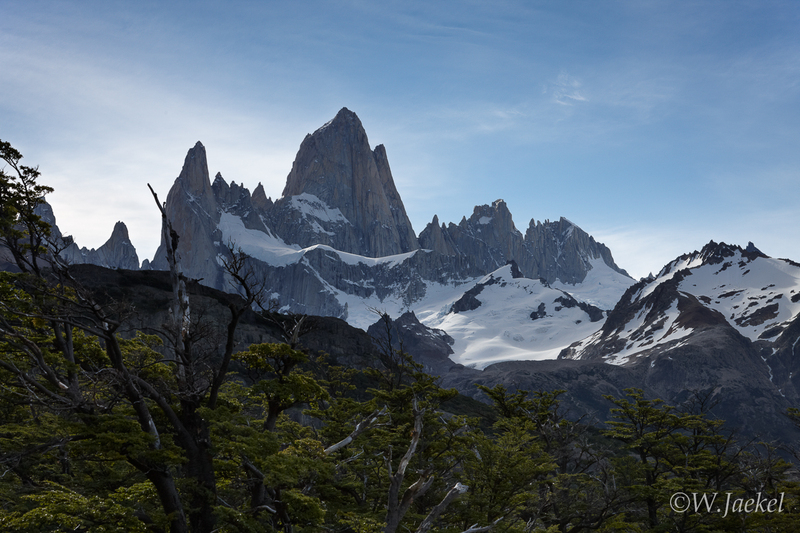 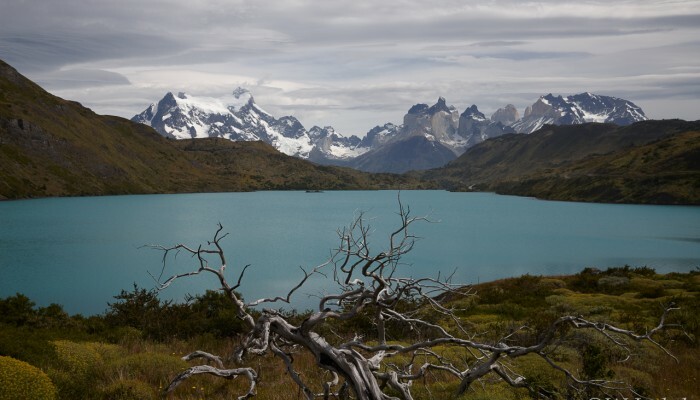 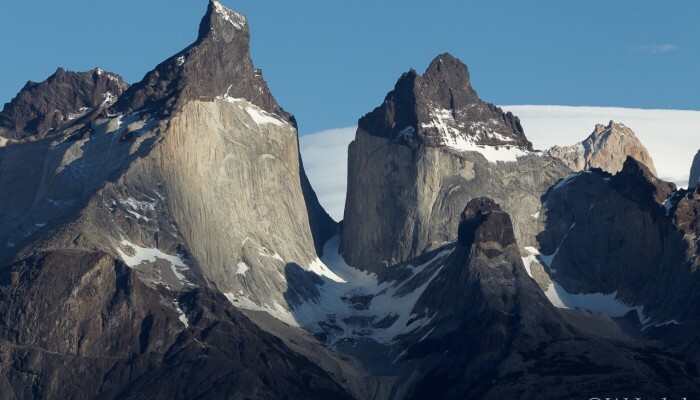 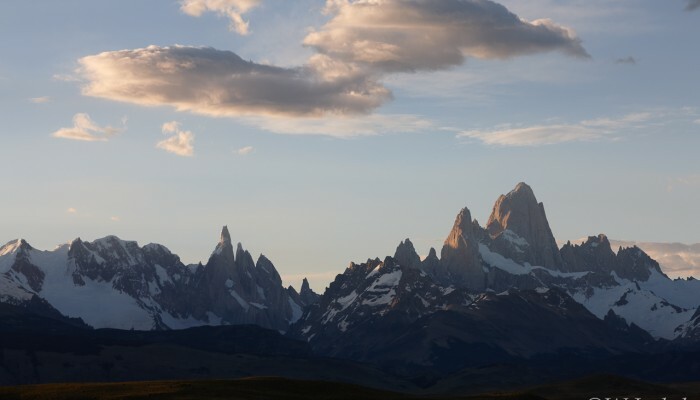 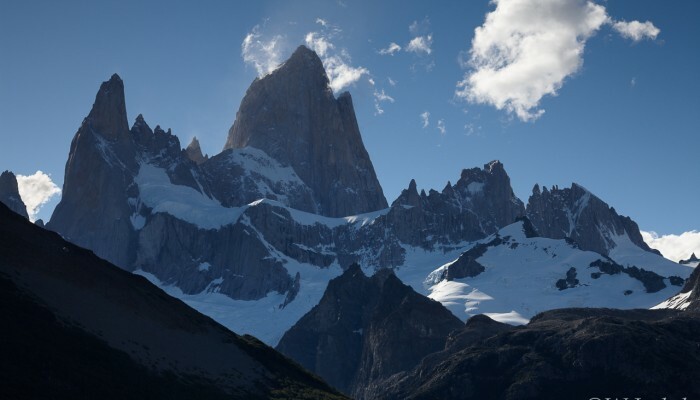 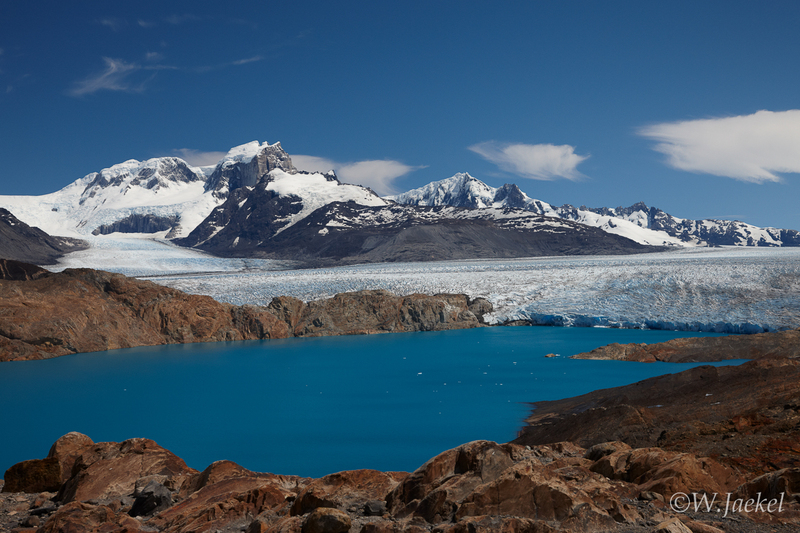 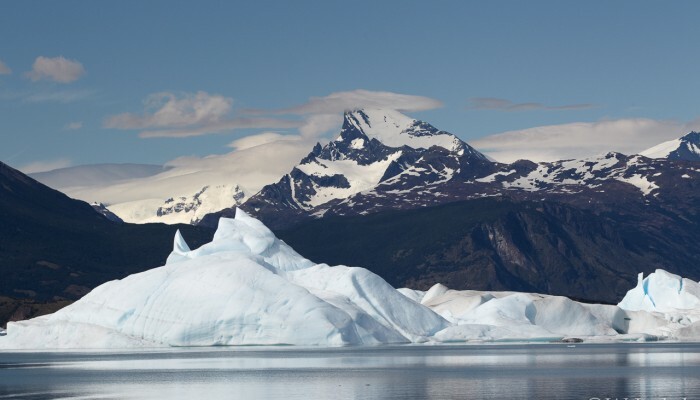 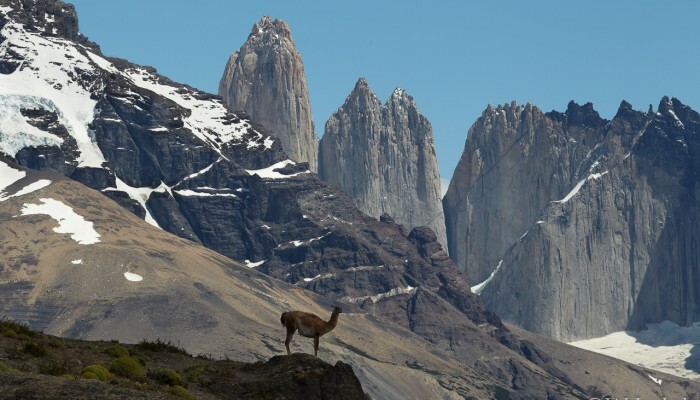 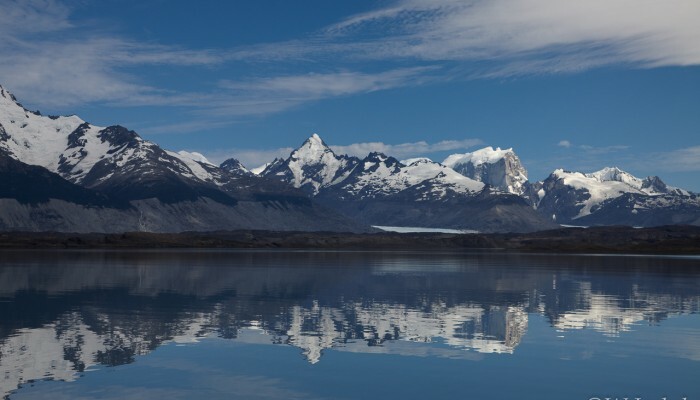 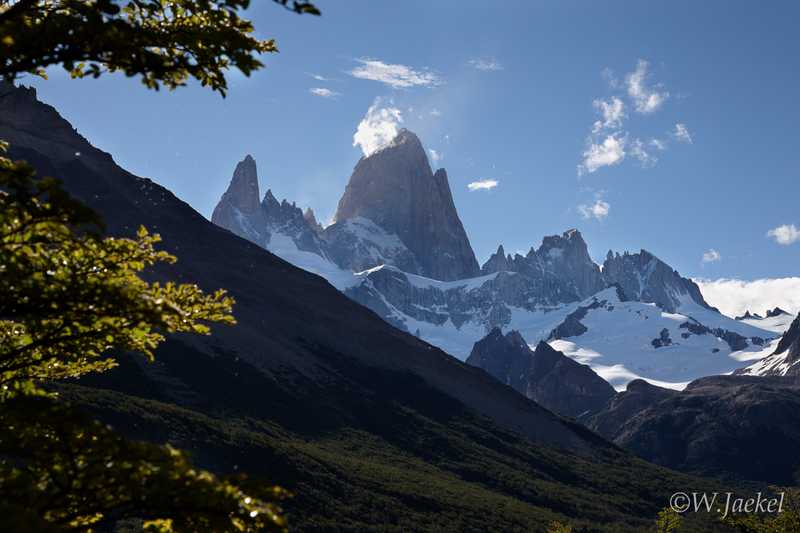 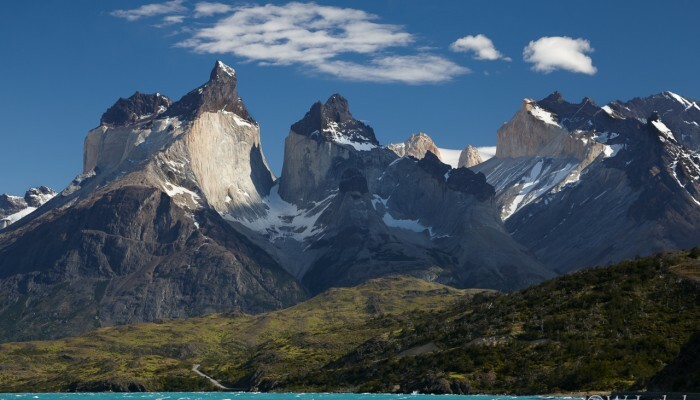 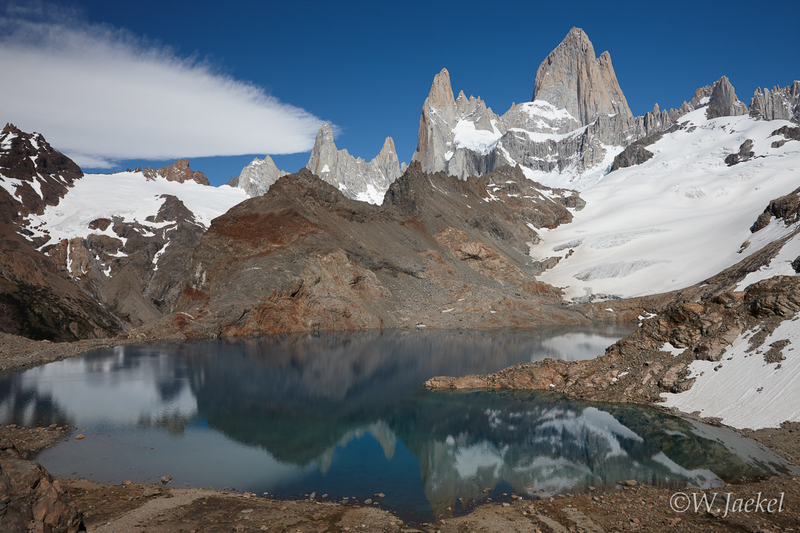 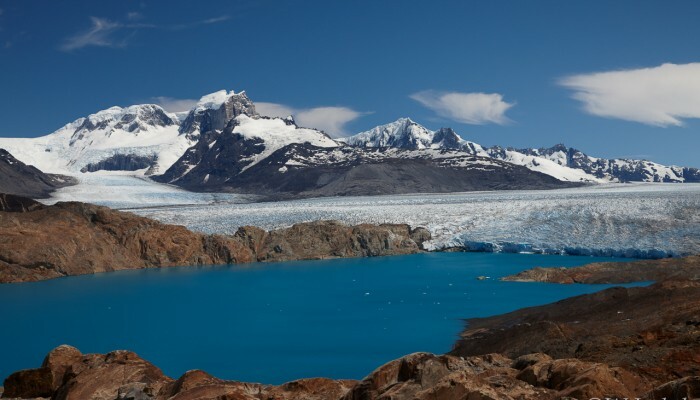 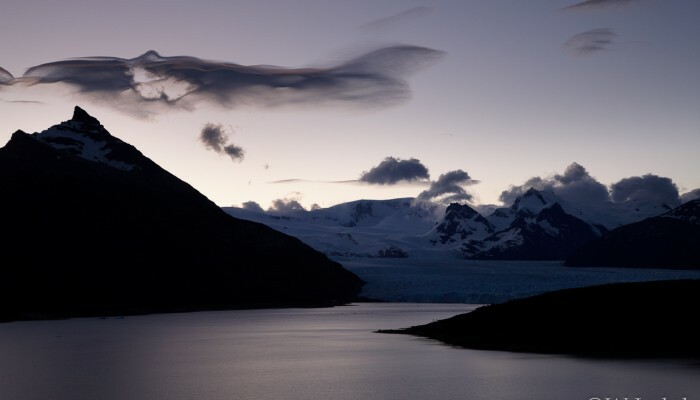 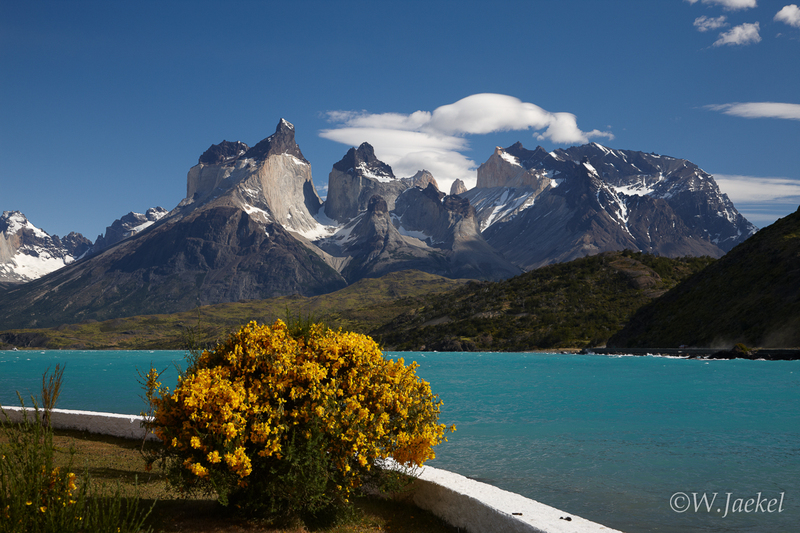 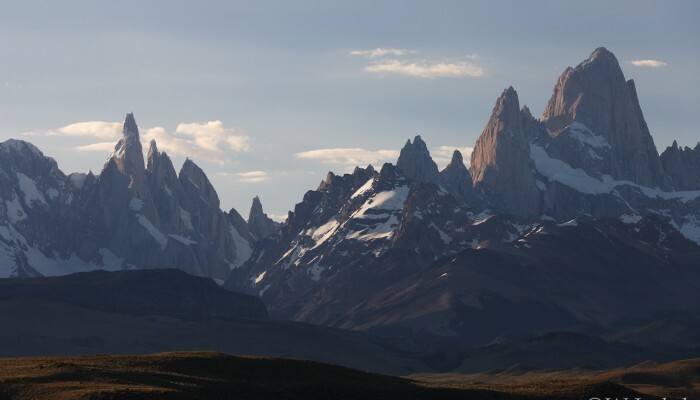 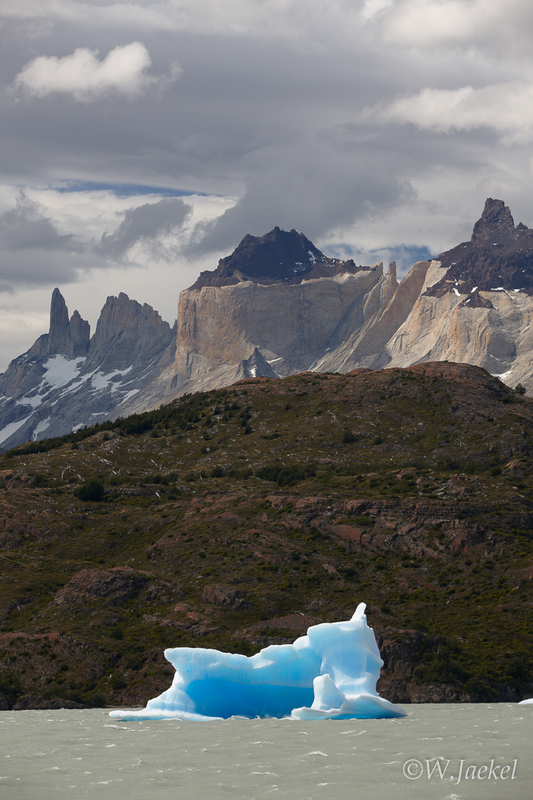 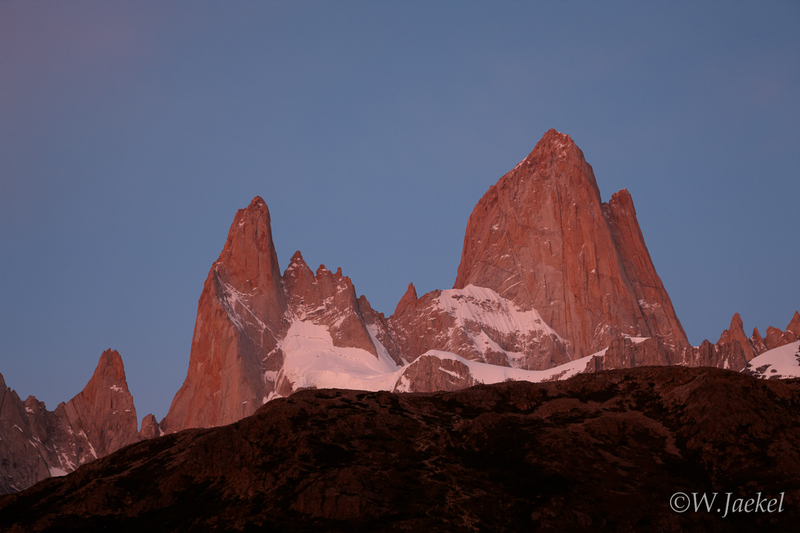 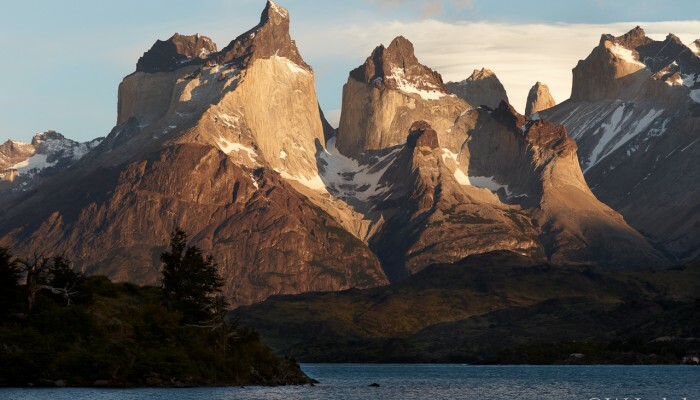 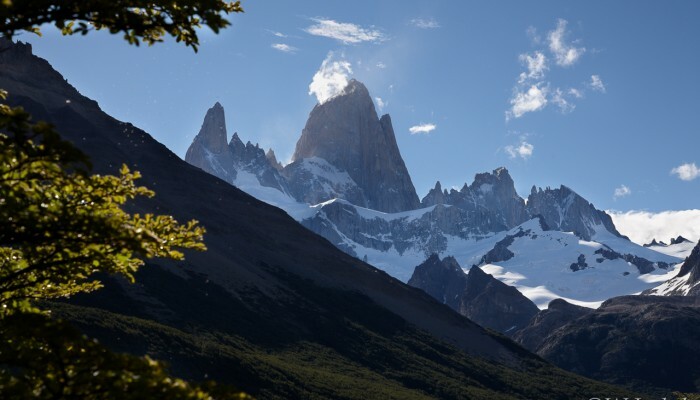 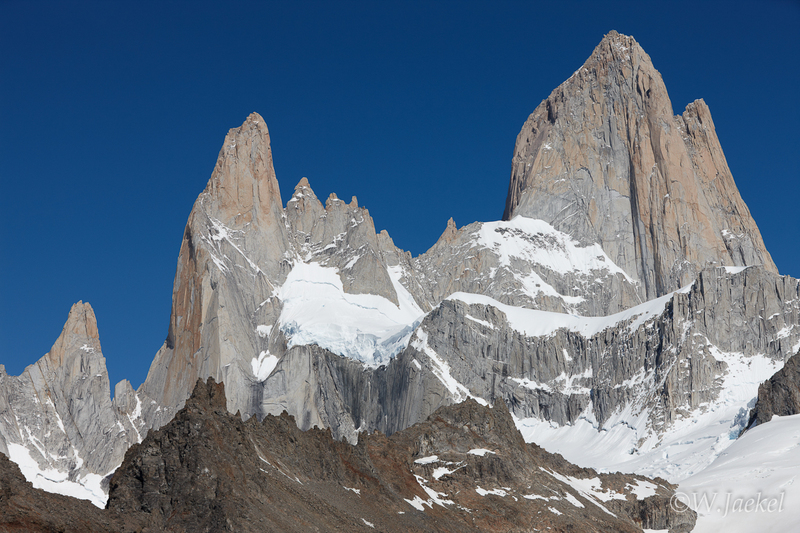 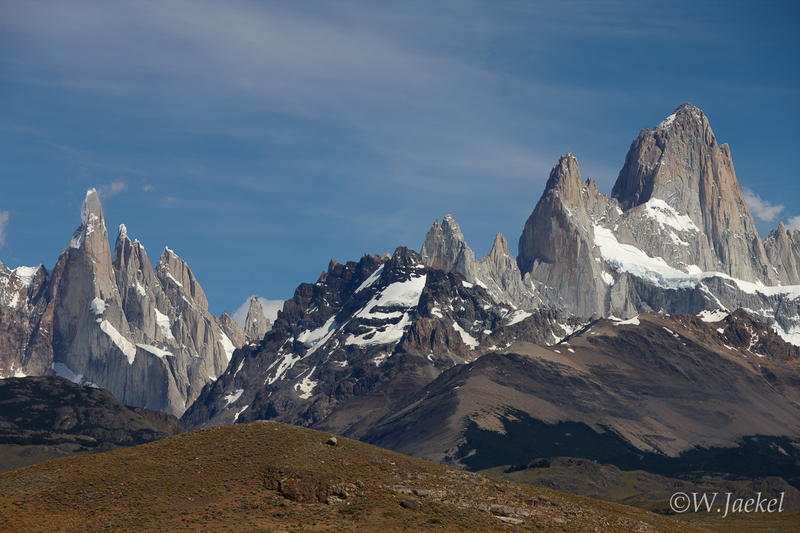 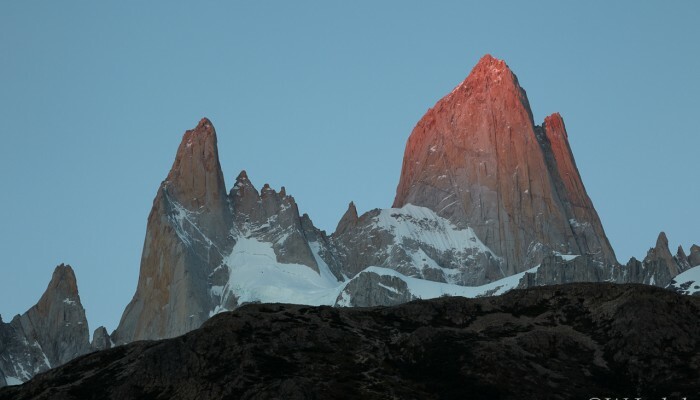 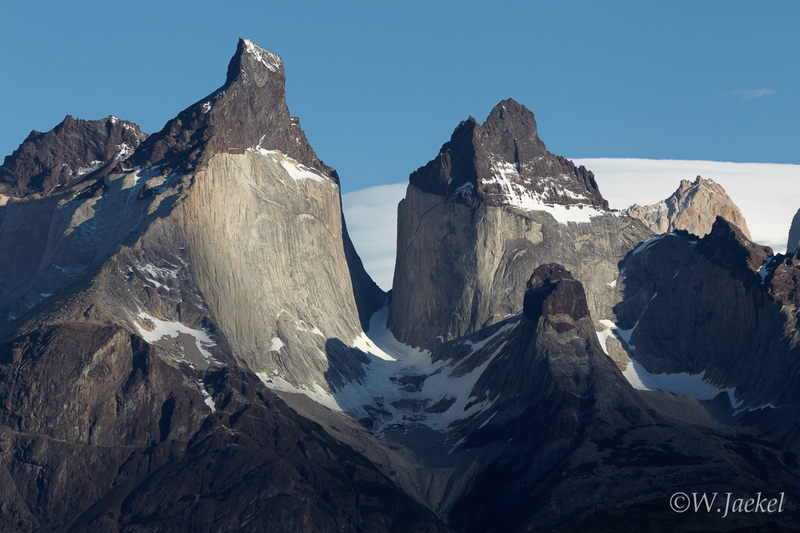 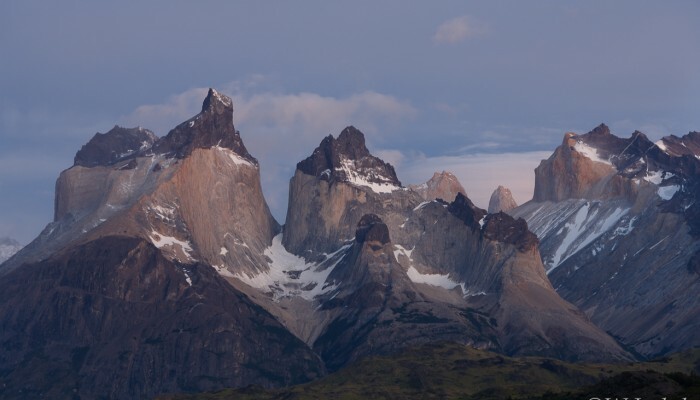 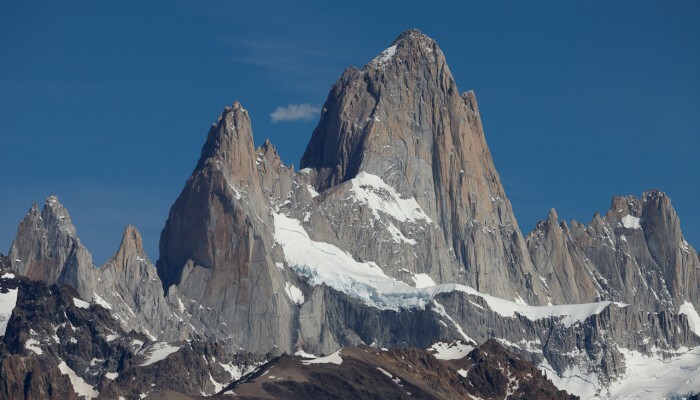 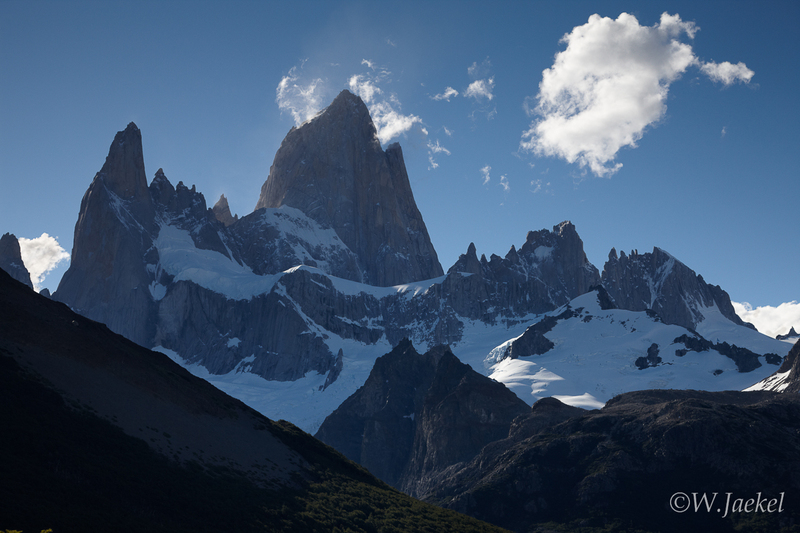 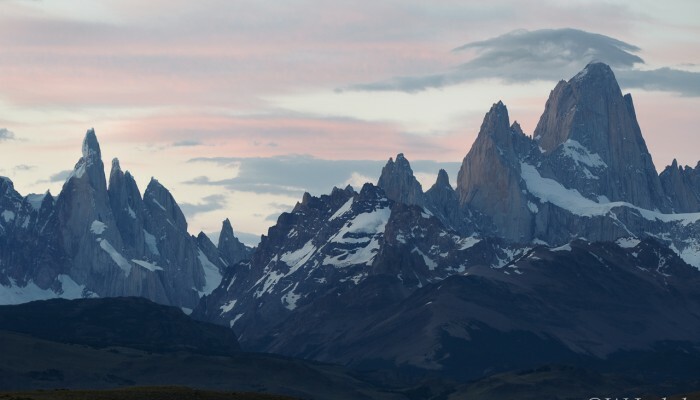 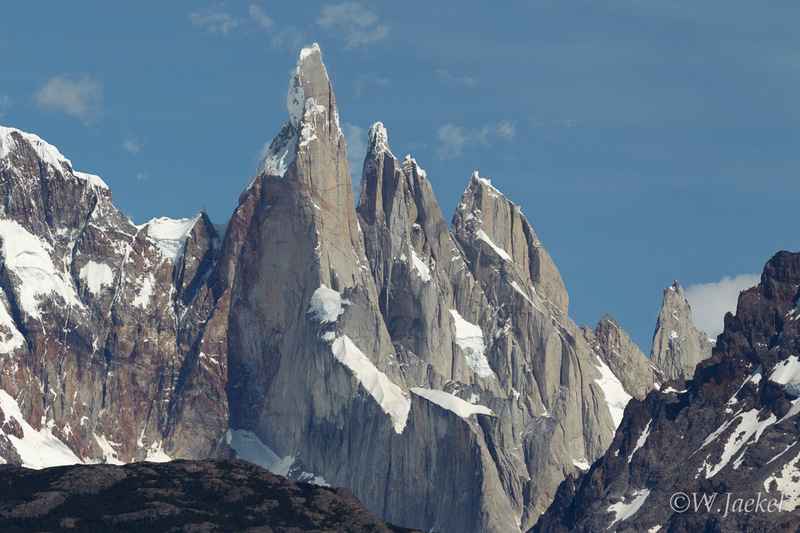 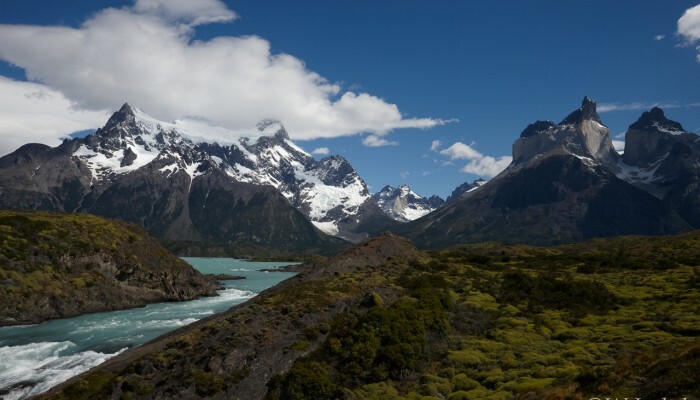 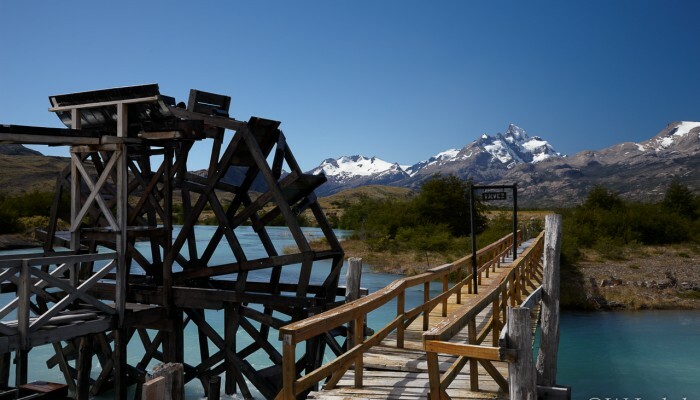 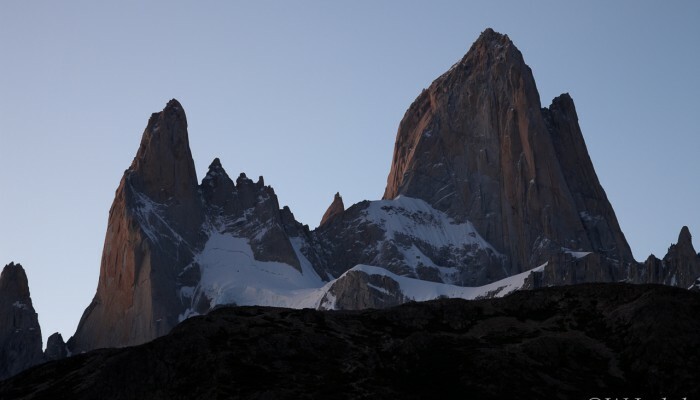 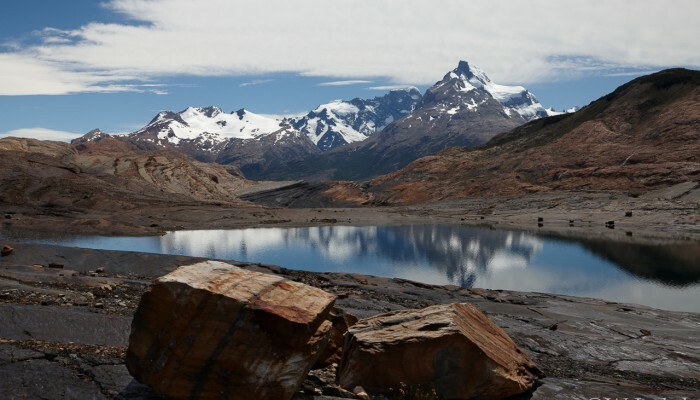 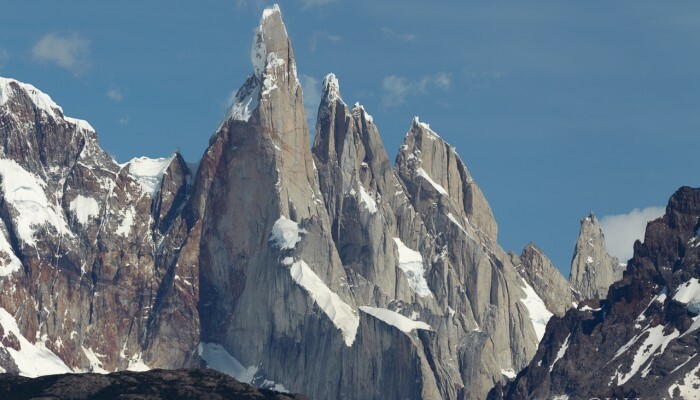 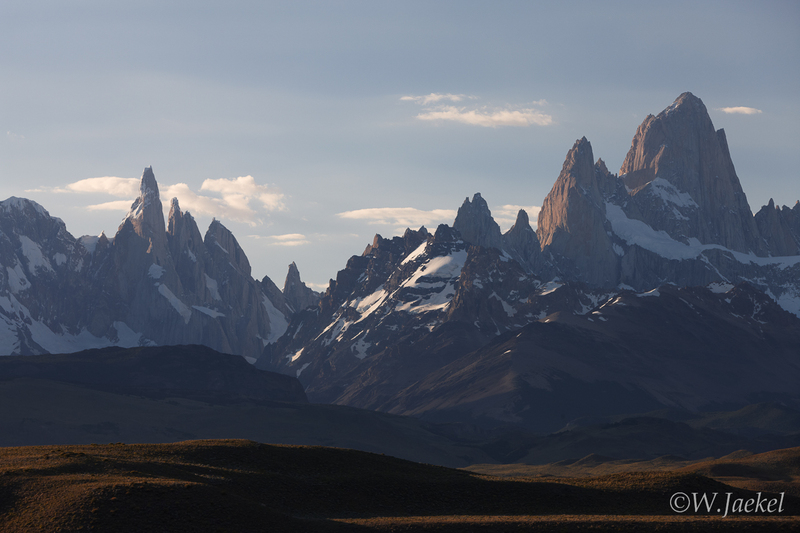 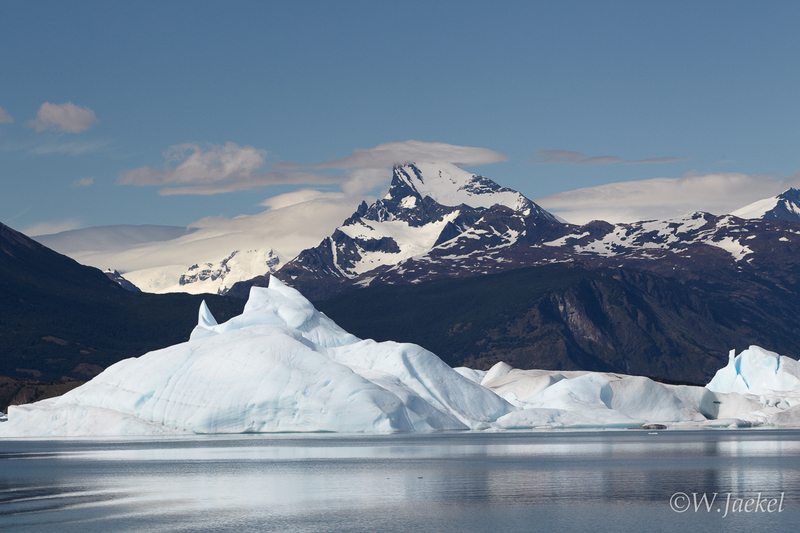 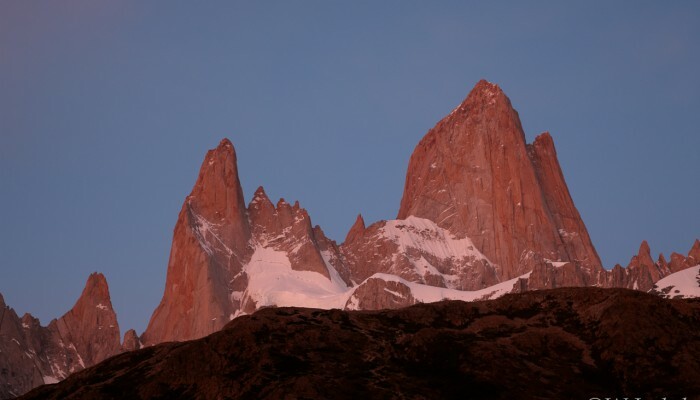 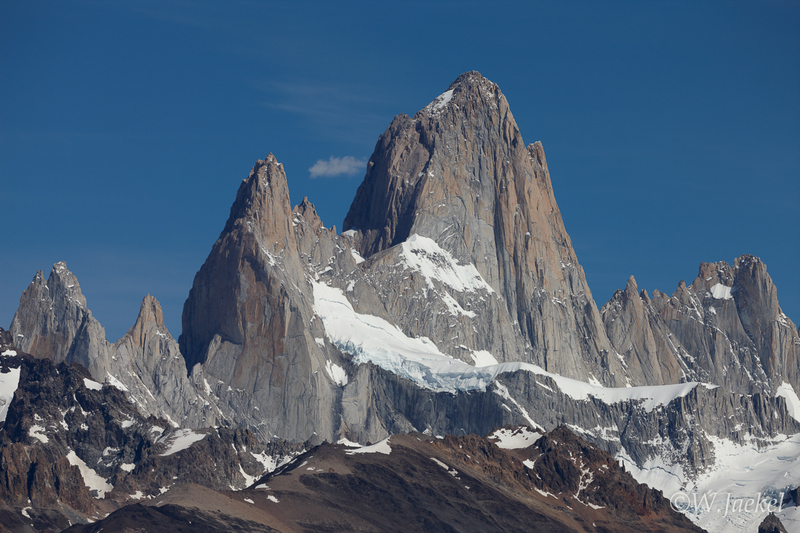 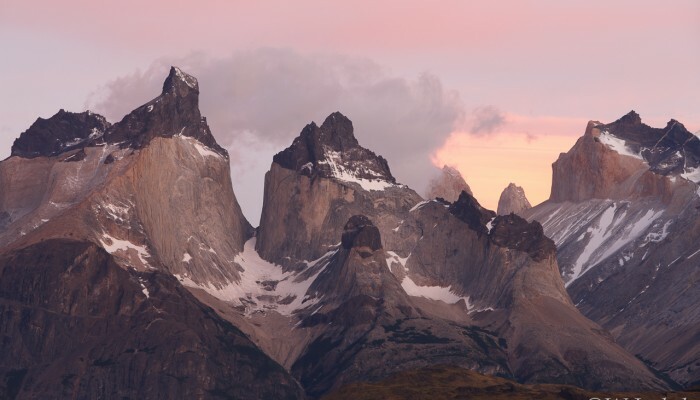 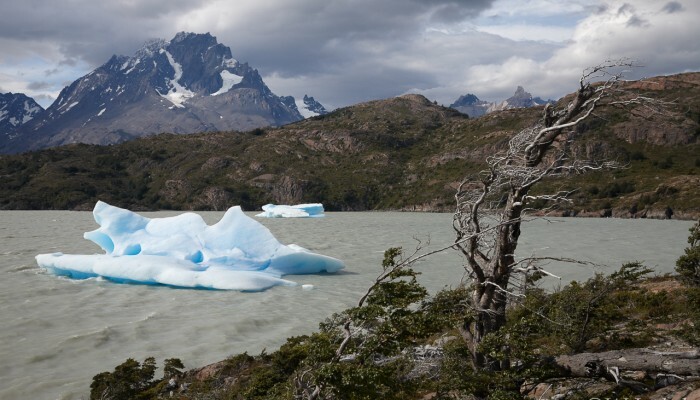 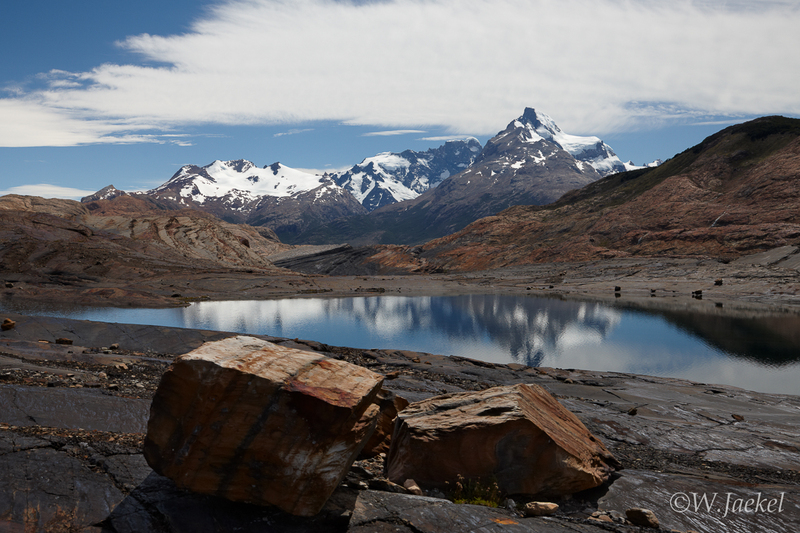 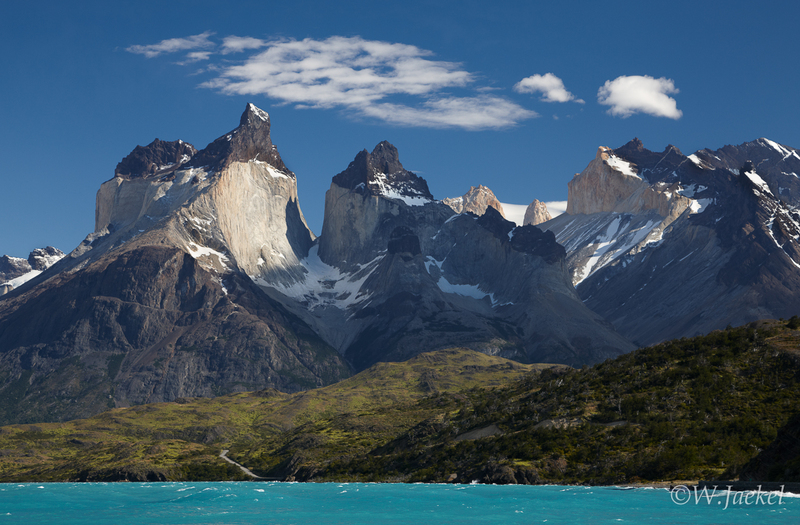 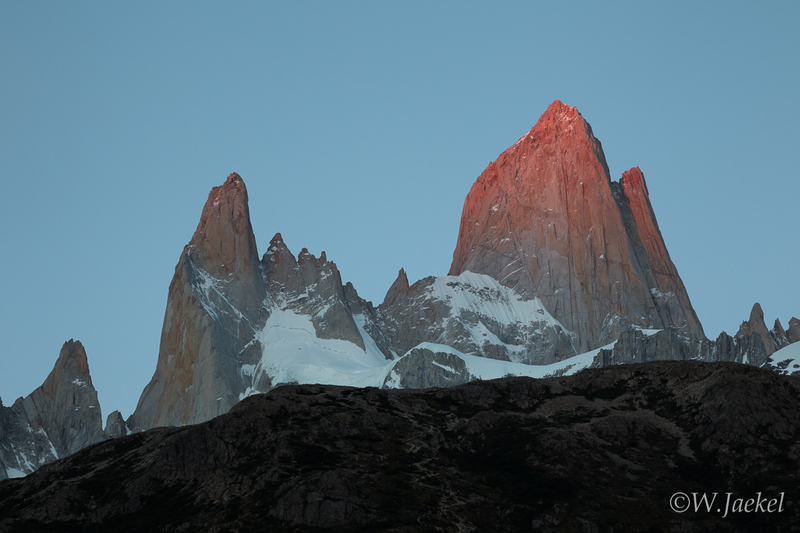 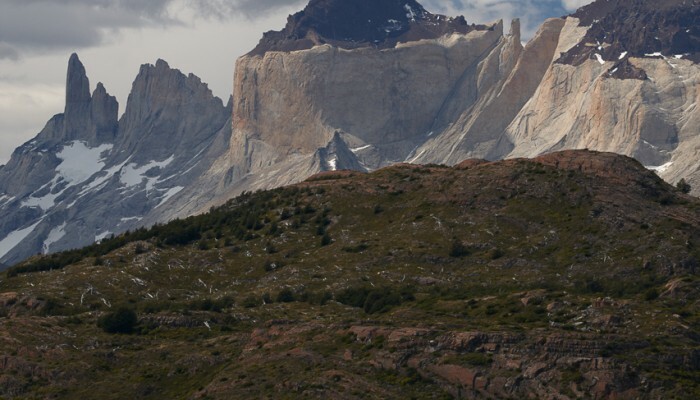 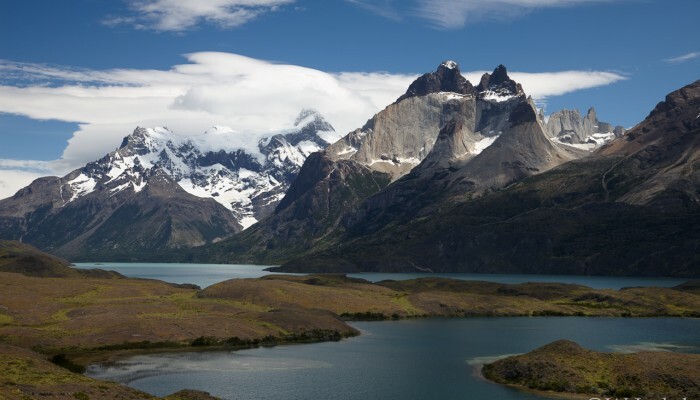 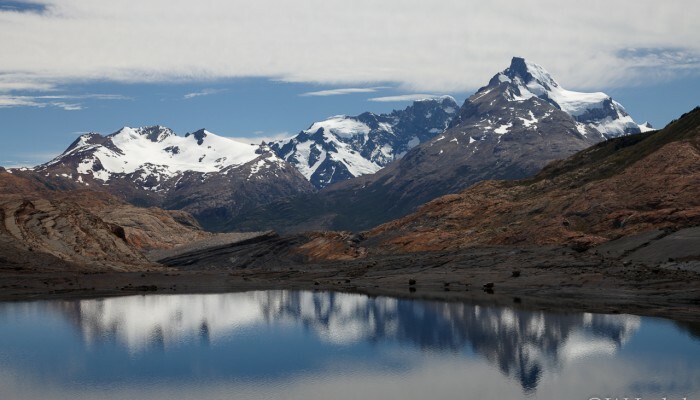 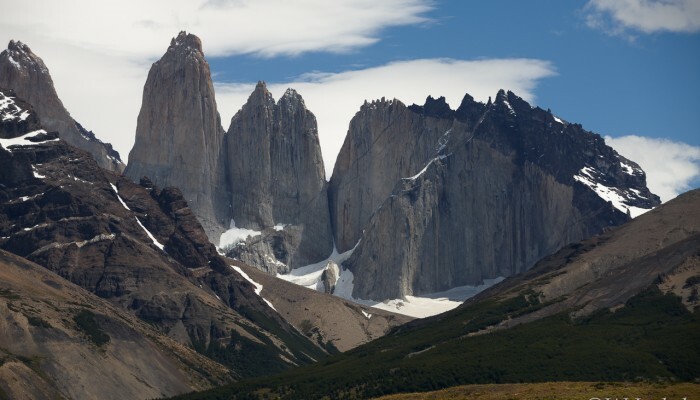 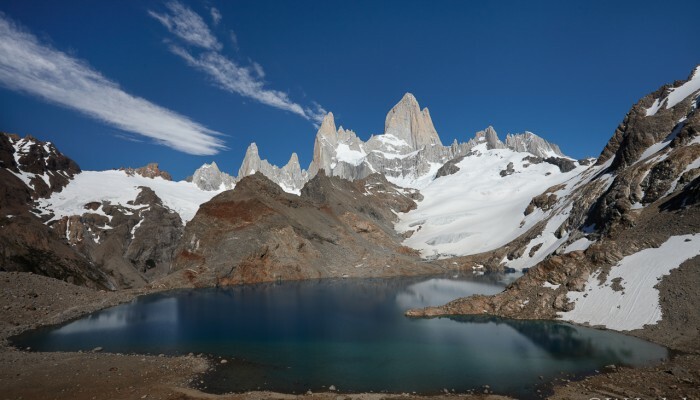 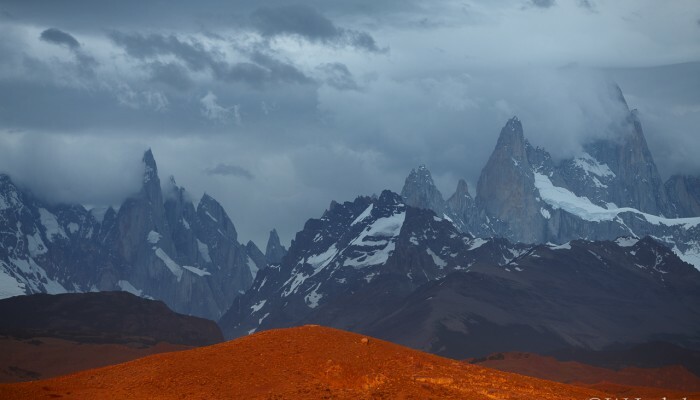 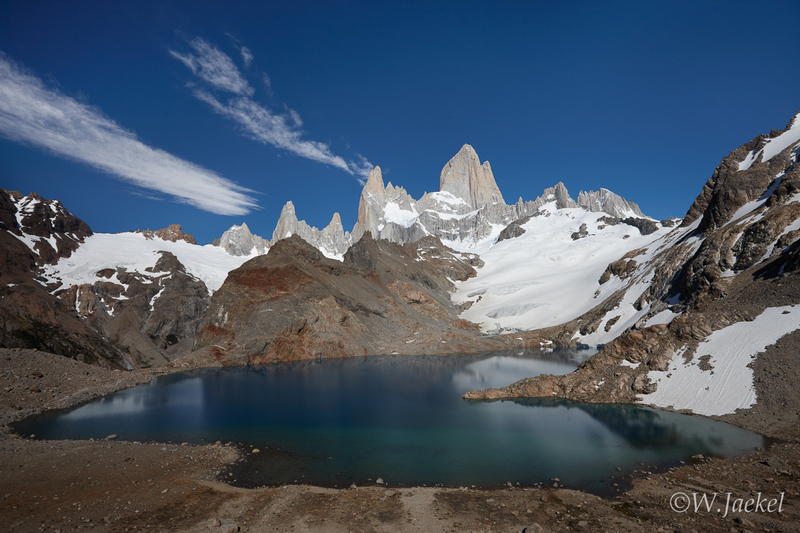 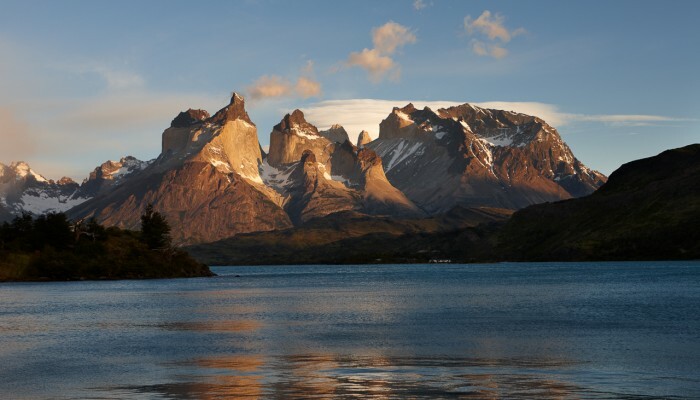 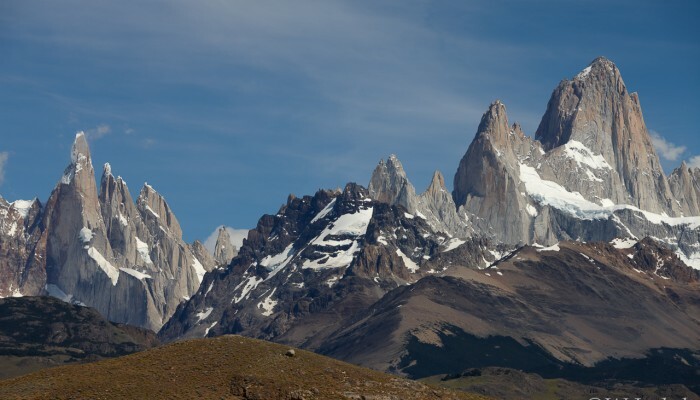 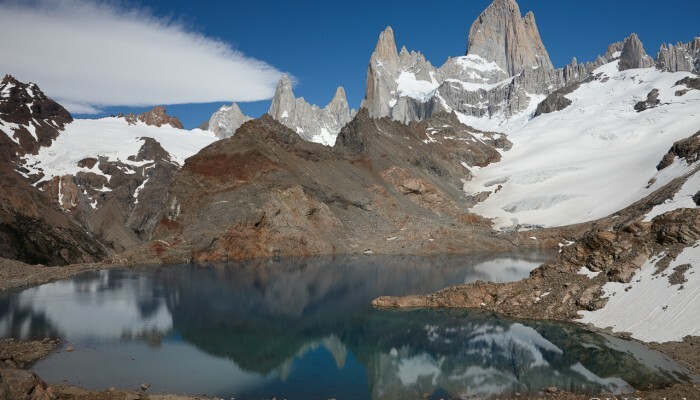 Parque National de Los Glaciares with the panoramic Fitz Roy and Cerro Torre massif forming shark-tooth summits is also included on UNESCO’s Biosphere List and is the mountaineering mecca of Patagonia. 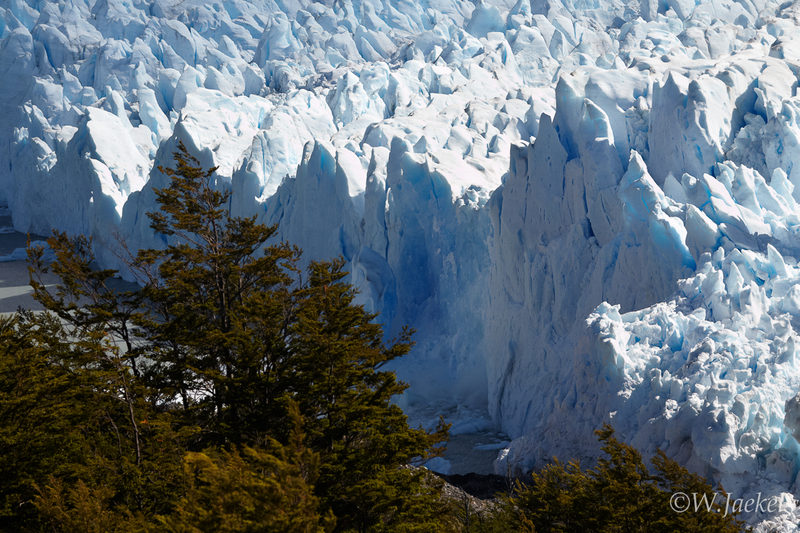 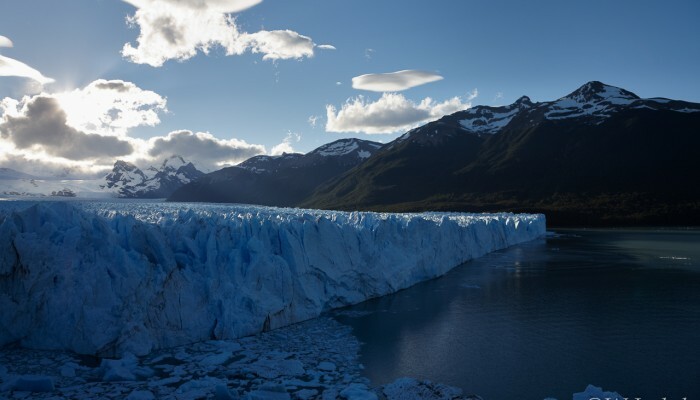 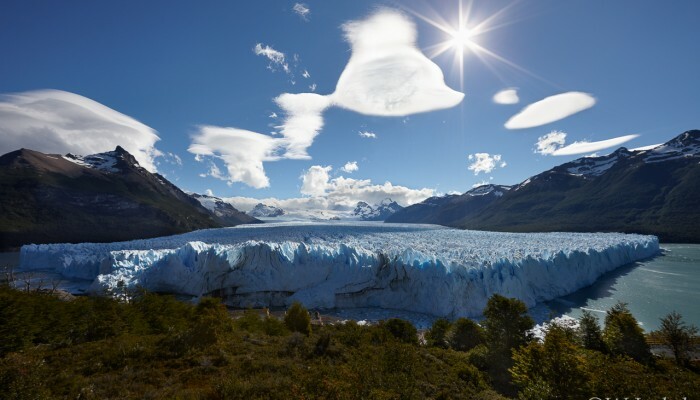 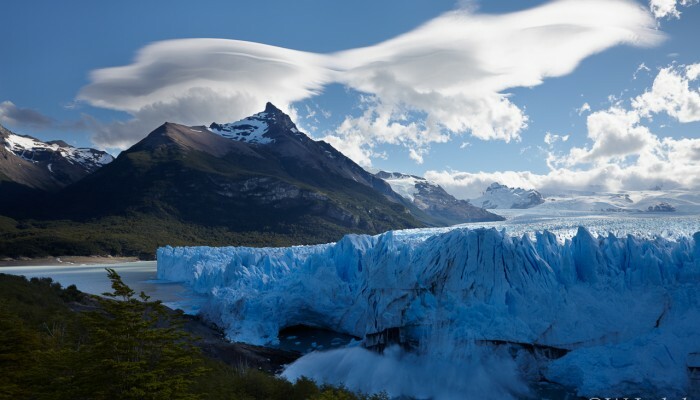 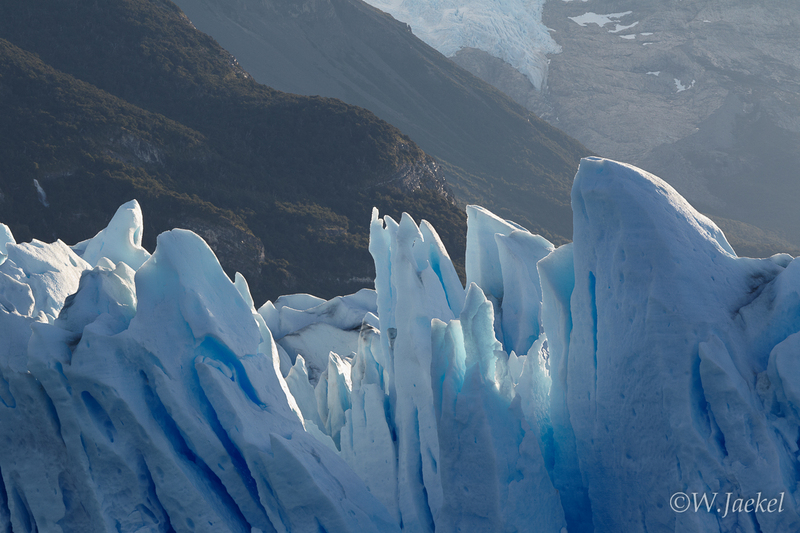 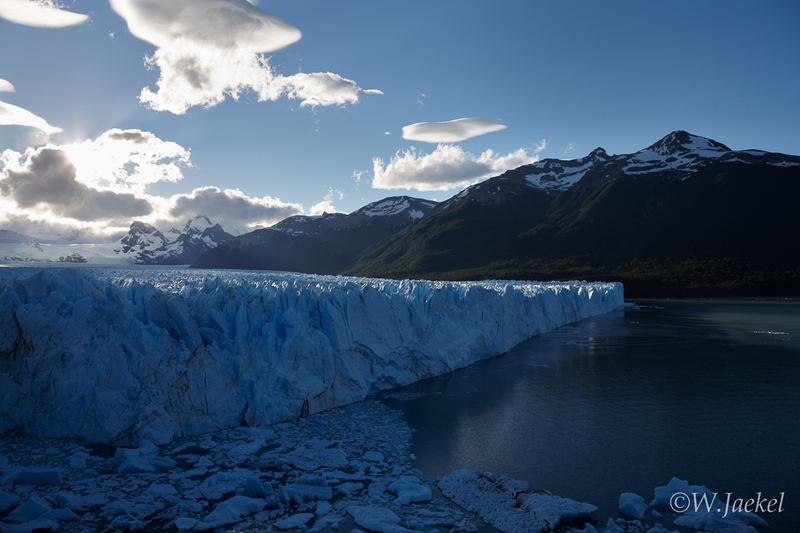 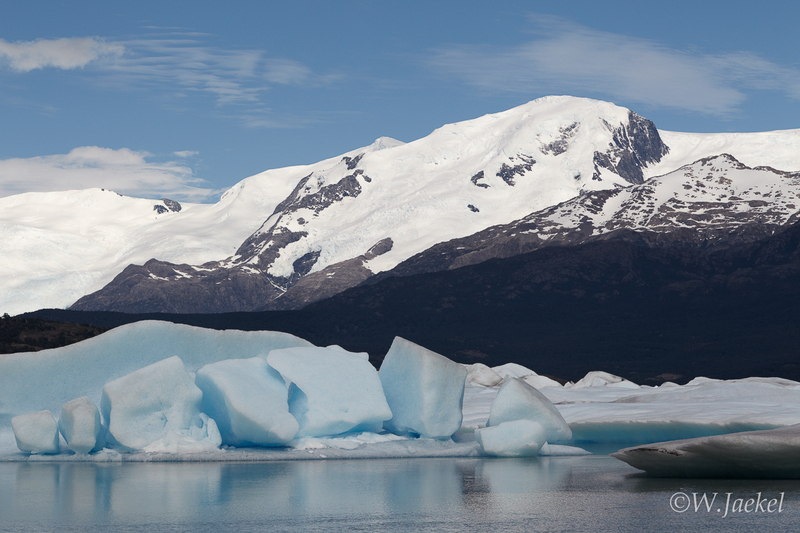 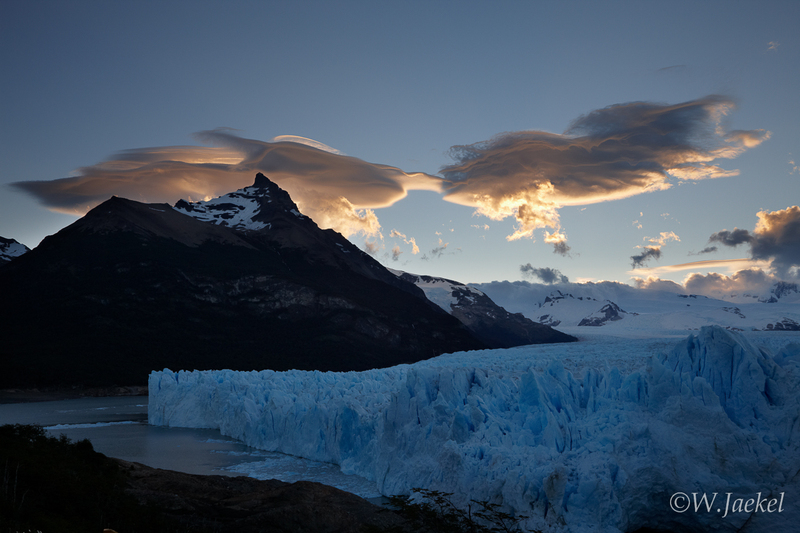 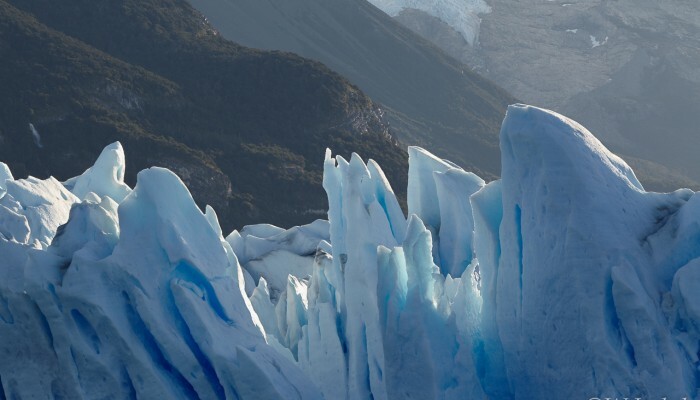 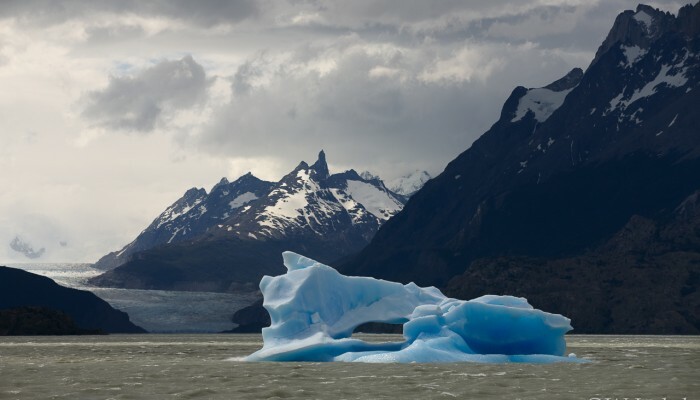 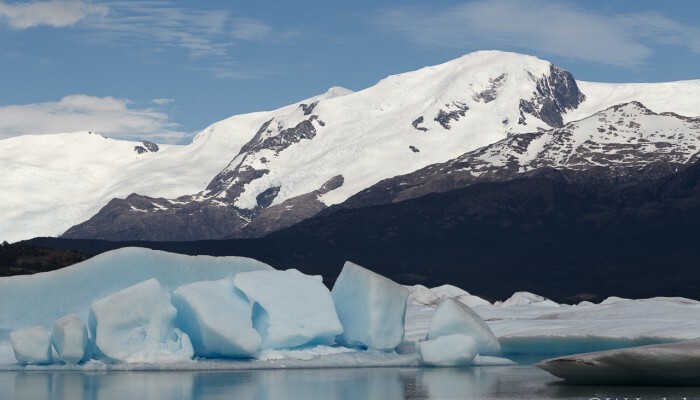 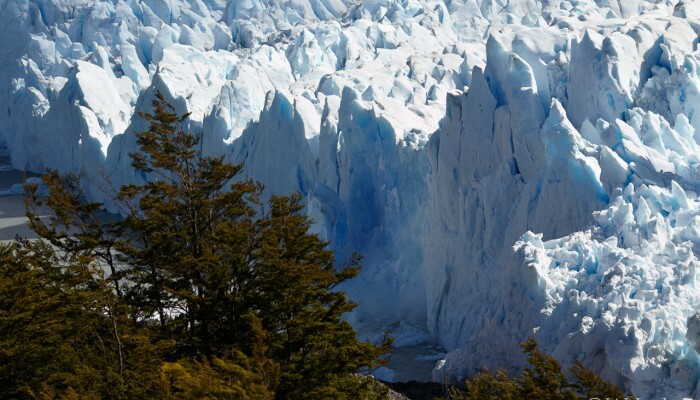 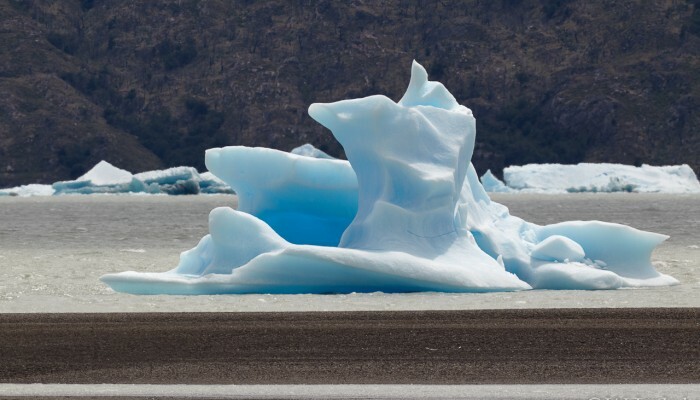 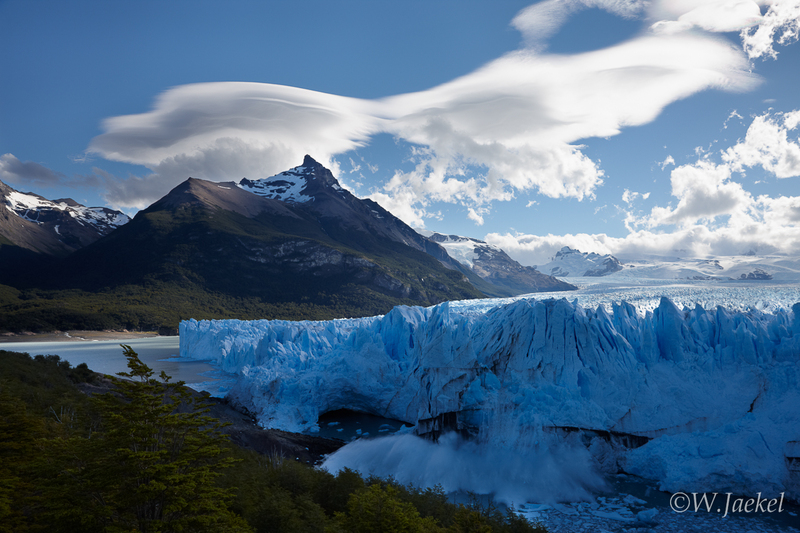 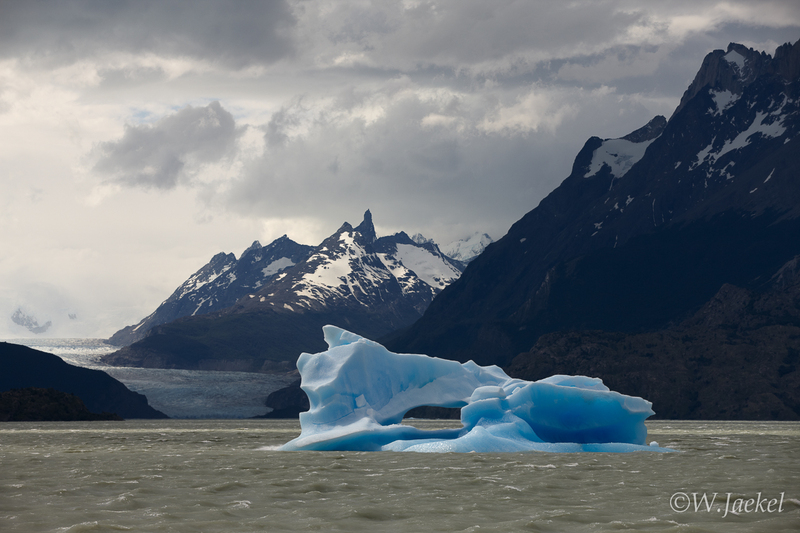 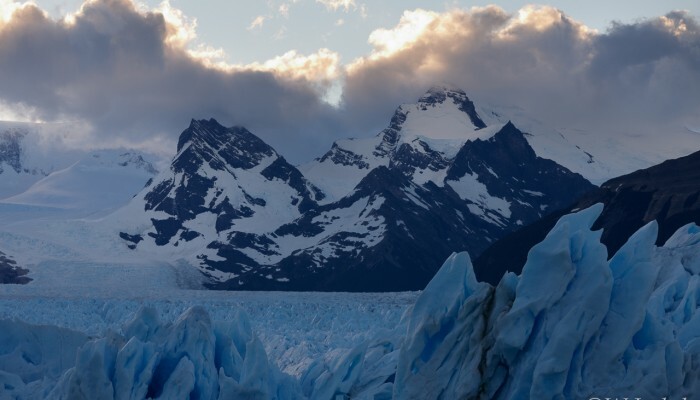 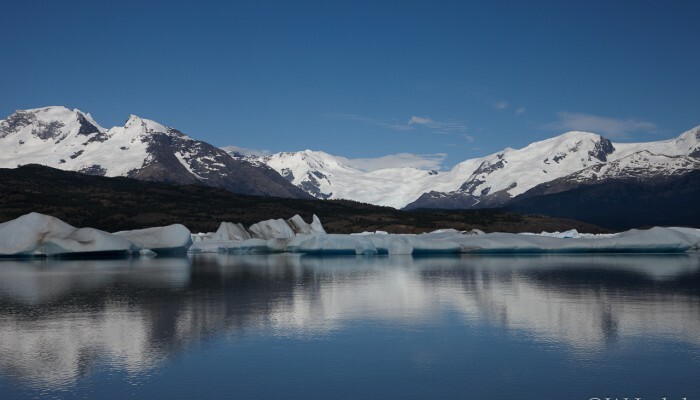 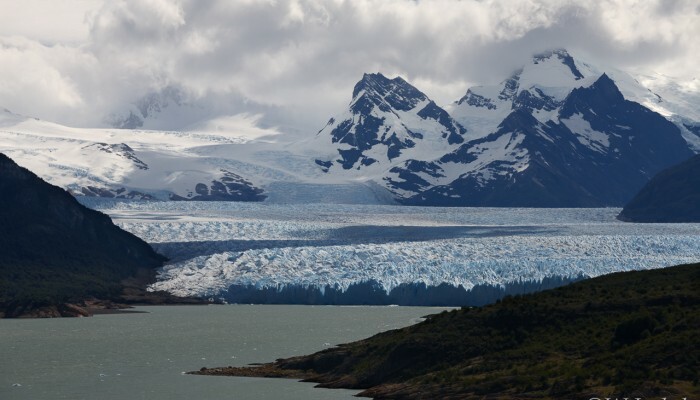 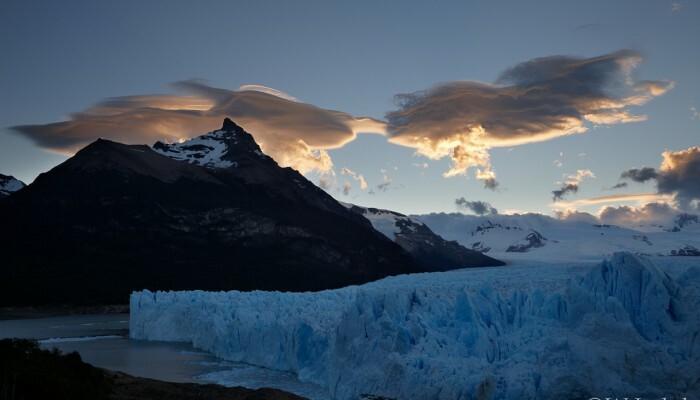 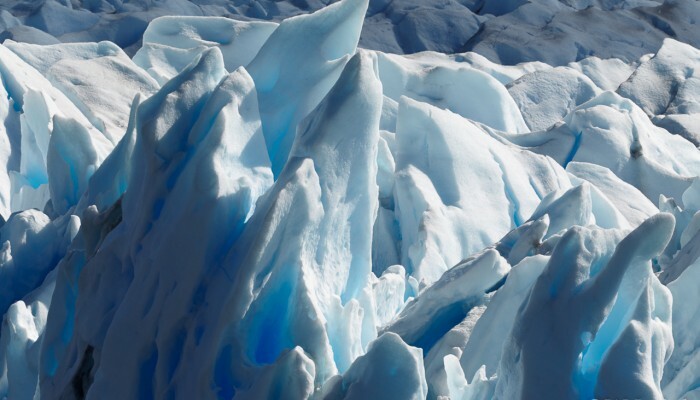 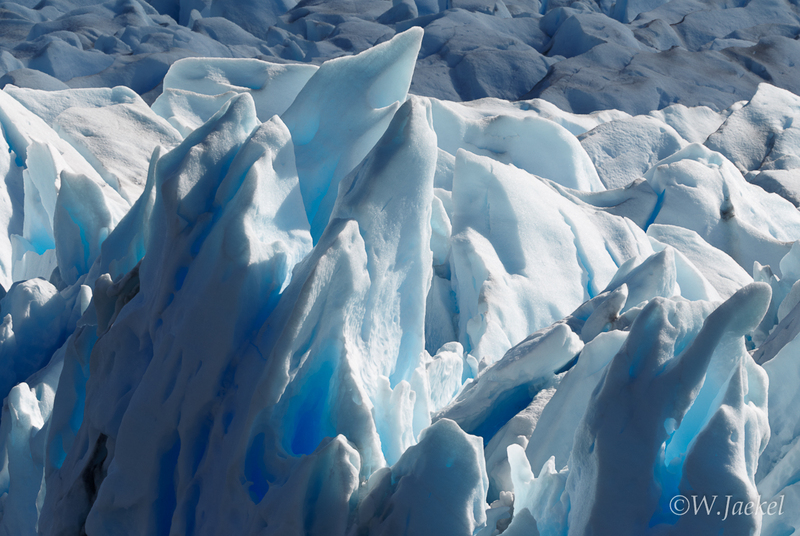 In the southern sector of the park and among the earth’s most dynamic and largest icefield outside the polar regions, the famous 30km long Glaciar Perito Moreno is one of only a few advancing glaciers in the world and the main tourist attraction. 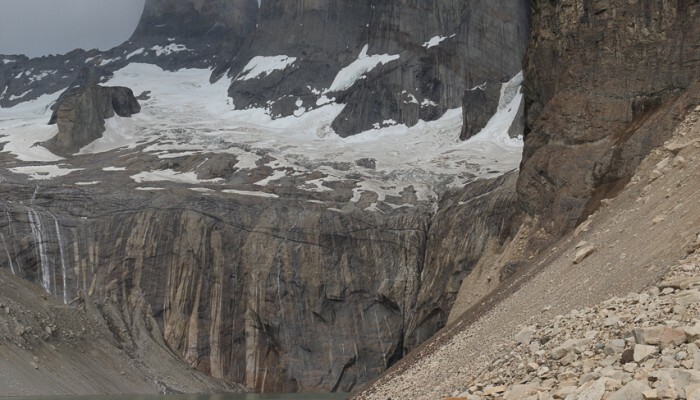 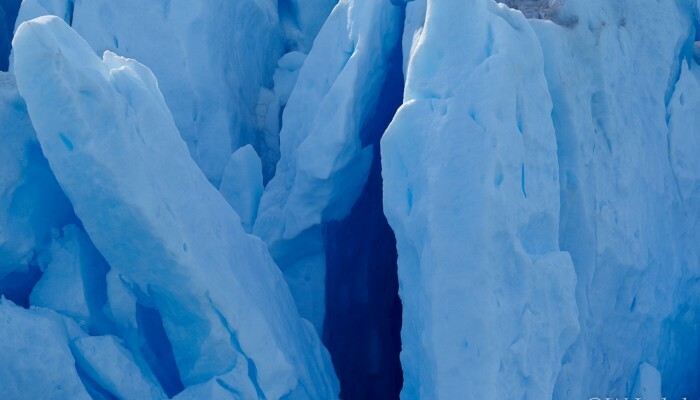 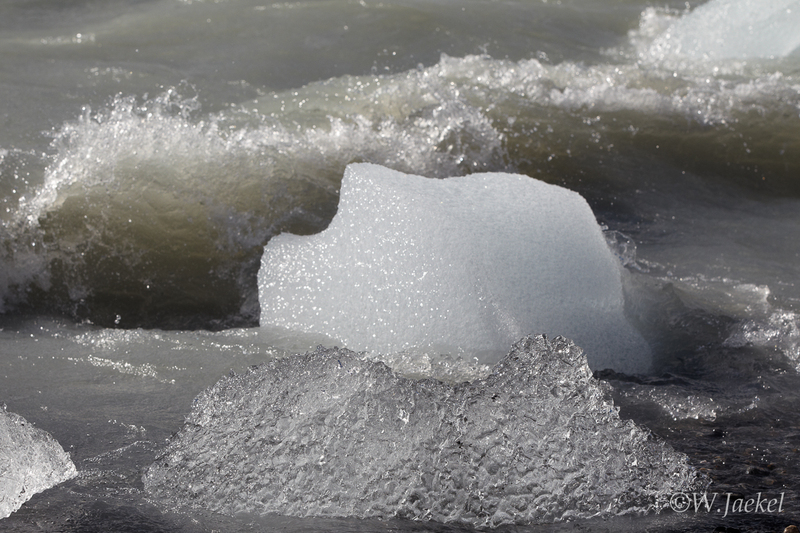 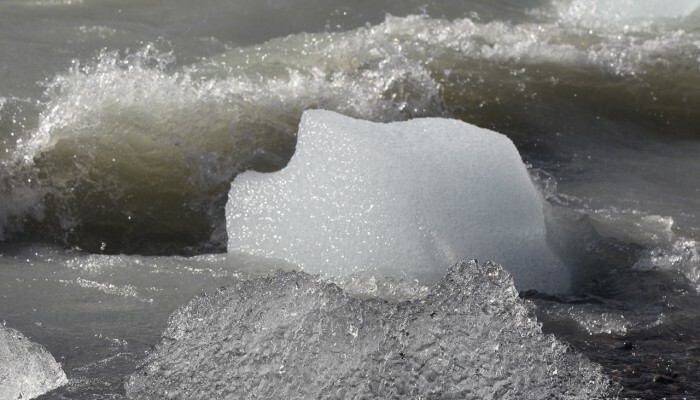 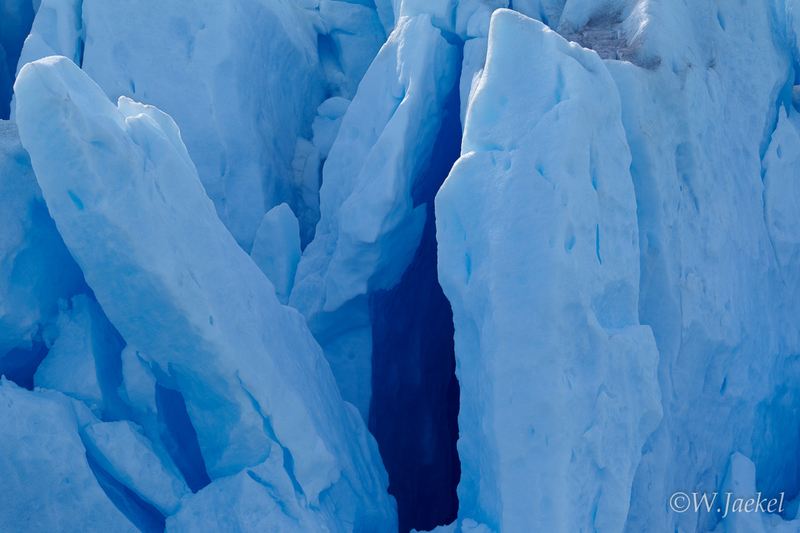 Proceeding up to 2m a day and rising 60m above the level of water, the 5km long glacier front offers outstanding views of the ice towers collapsing from time to time. 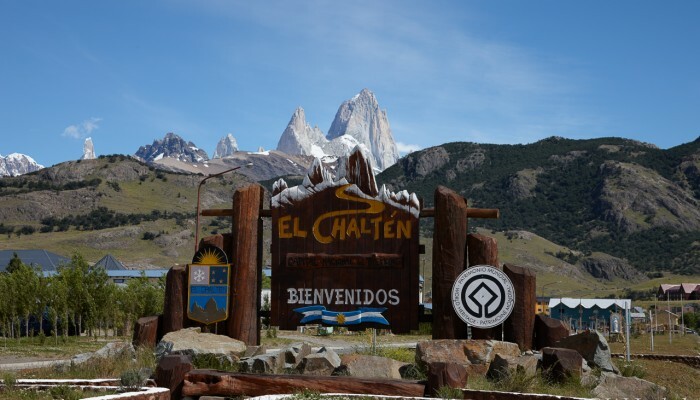 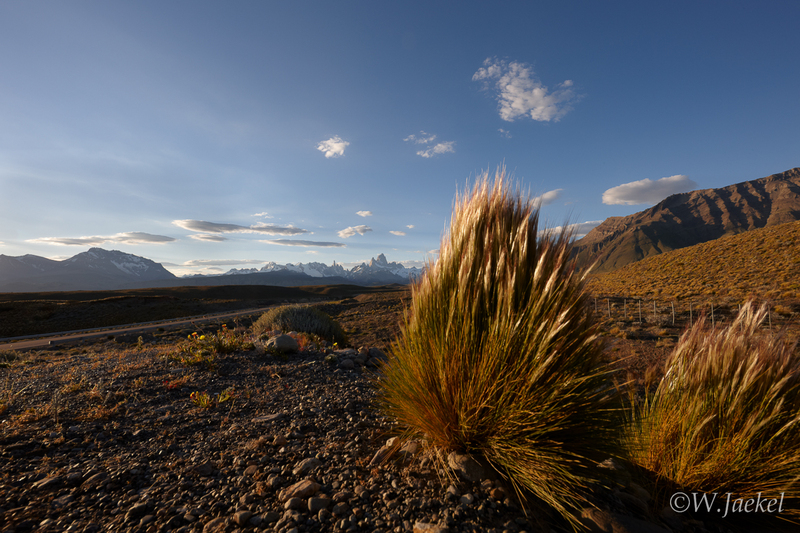 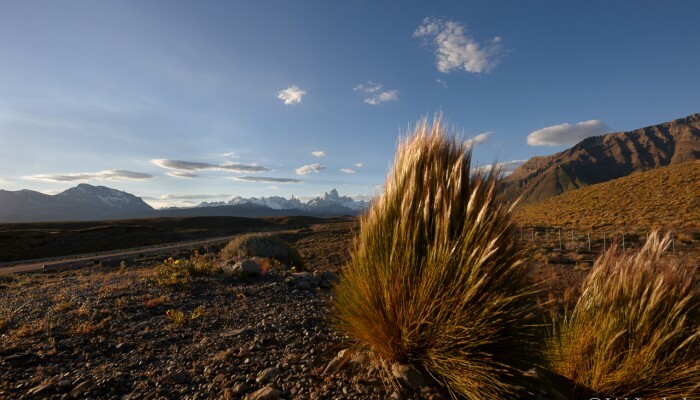 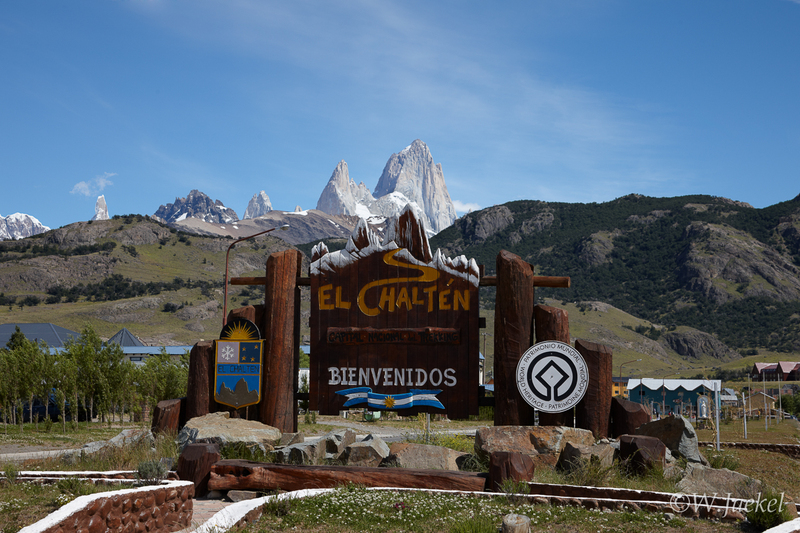 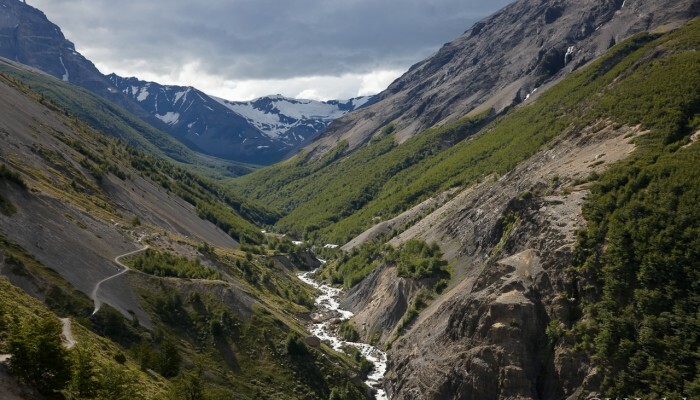 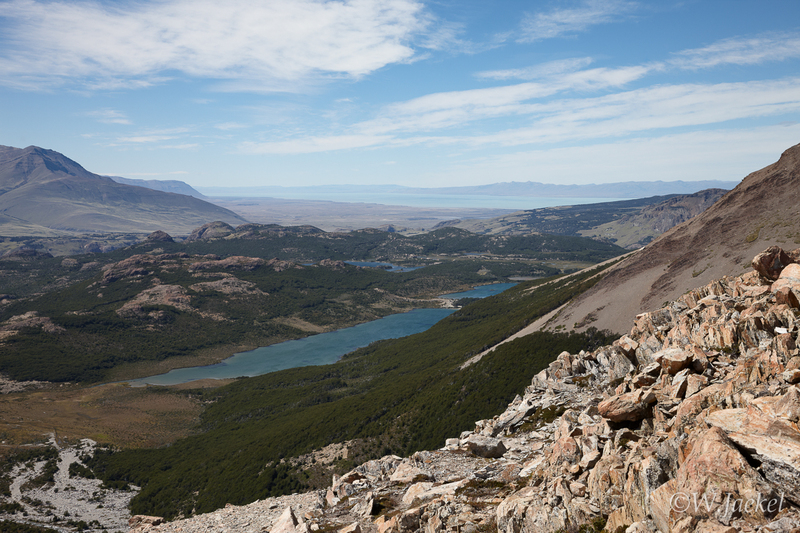 Patagonia is a famous place for hiking and trekking with EL Calafate and especially EL Chalten often named the hiking capitals of the world. 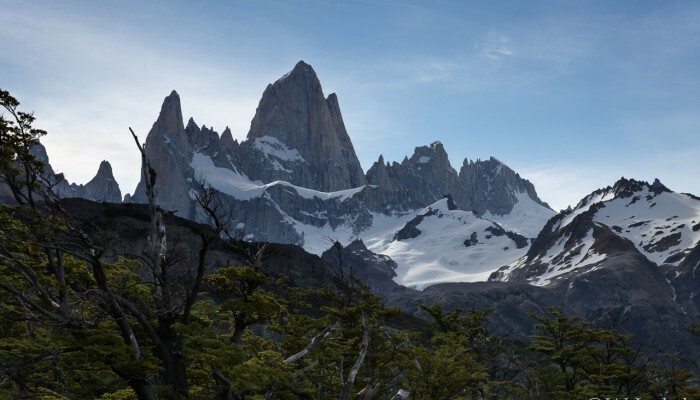 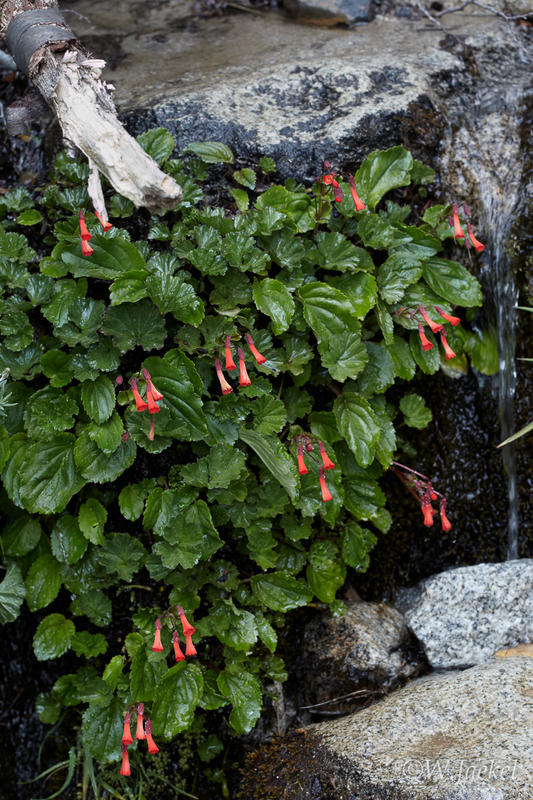 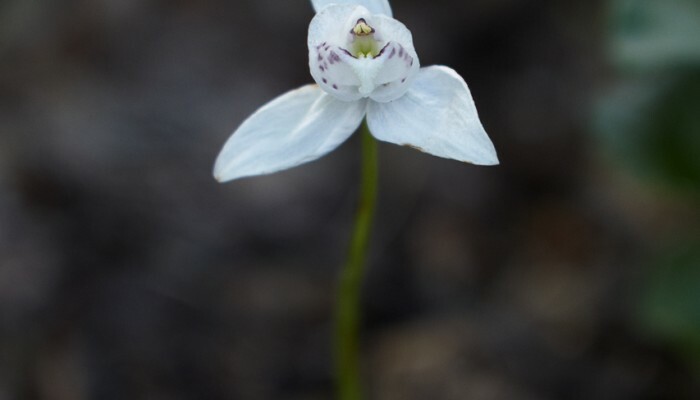 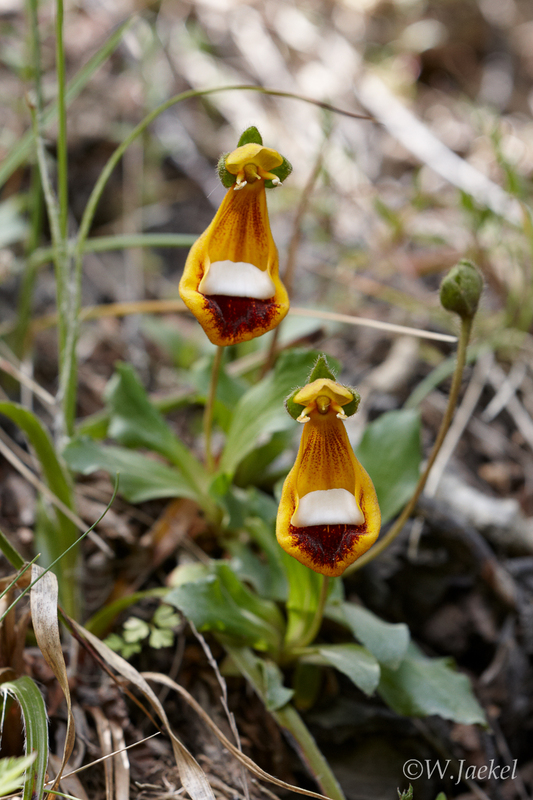 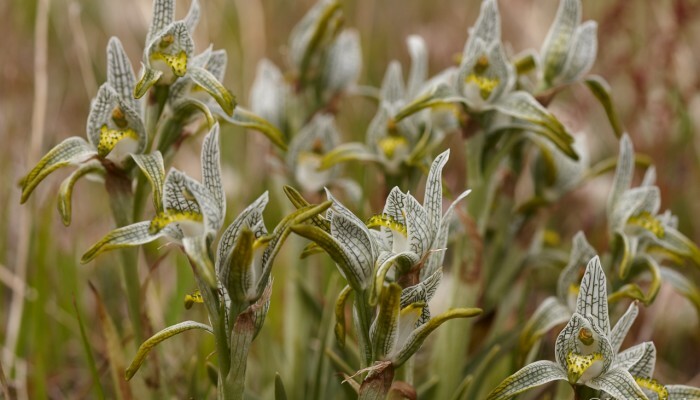 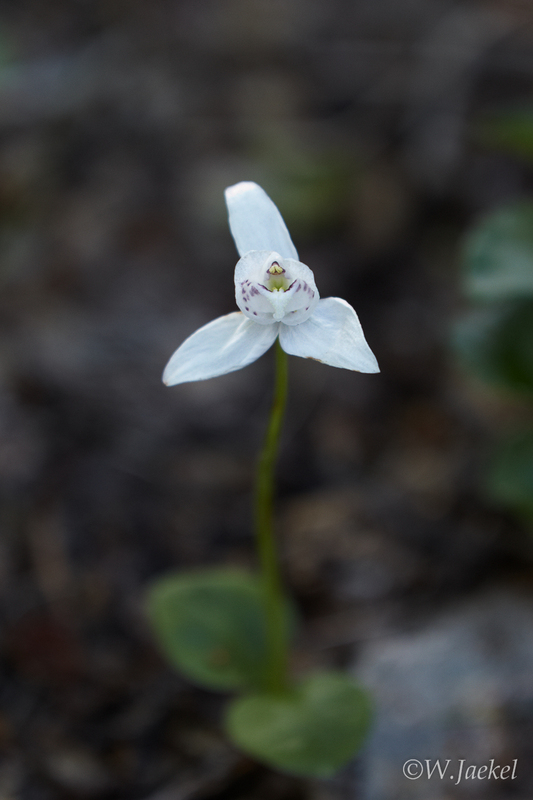 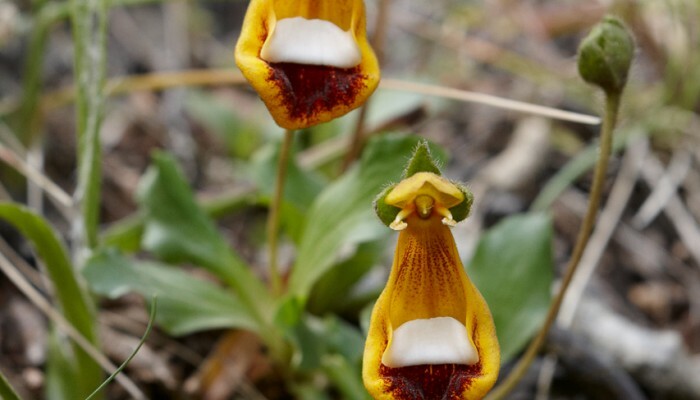 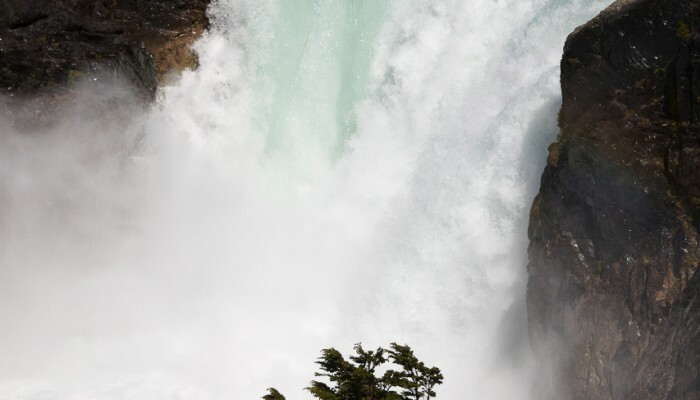 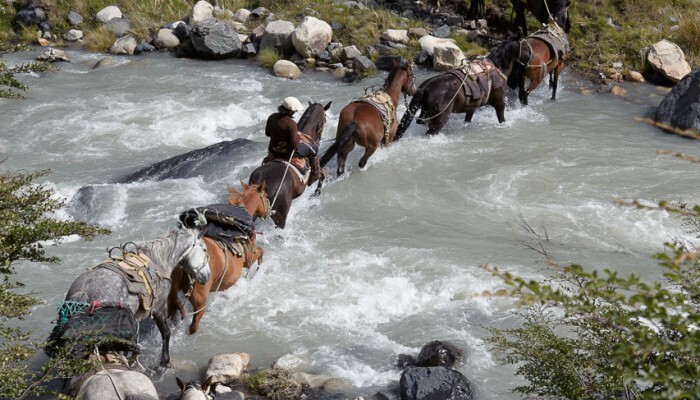 Though trekking with heavy gear and overnight camping in unpredictable weather is not everyone’s passion, some of the most popular highlights and spectacular viewpoints require long hikes. 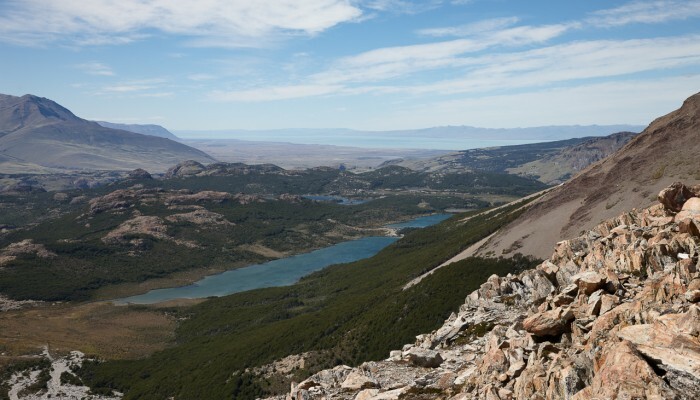 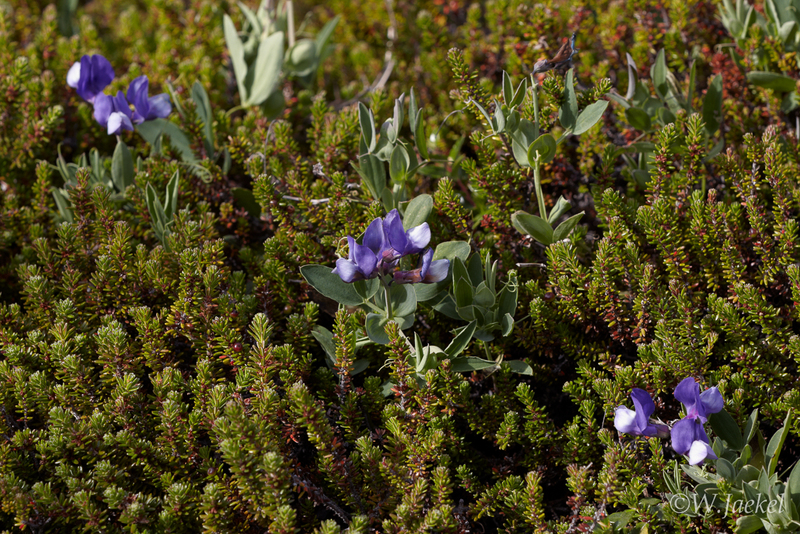 Apart from the need to scale steep moraine fields in the last section, most mountain trails are not difficult, though. 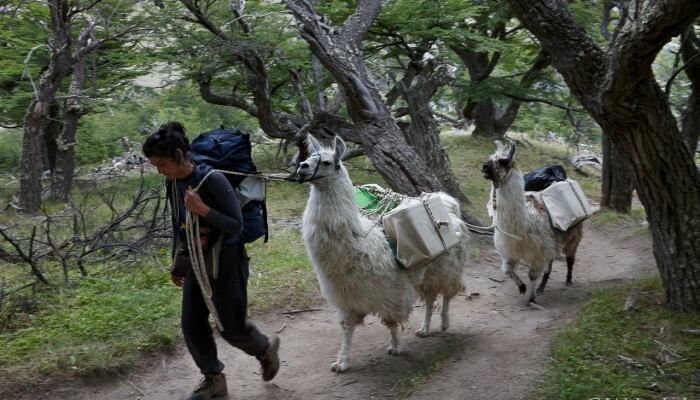 But the mileage can easily amount to 10+ kilometers one way, depending on the specific route. 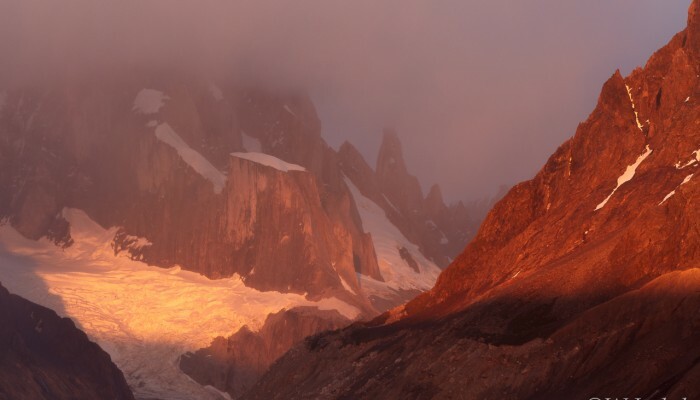 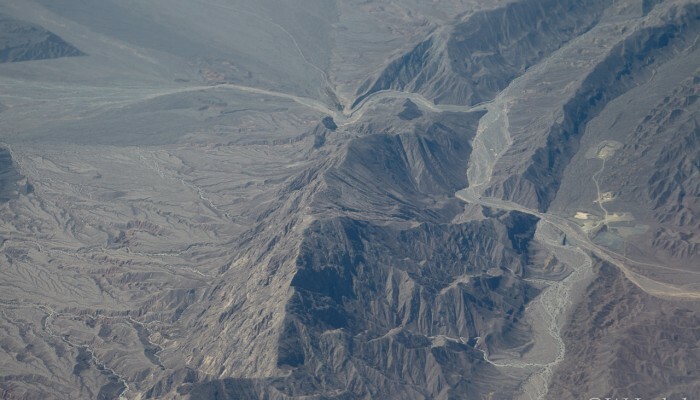 However, getting to the viewpoints in early morning light – preferably at sunrise in order to catch the fantastic Alpenglow – requires tough hikes in the dark for several hours on some places unless you’re planning on camping. 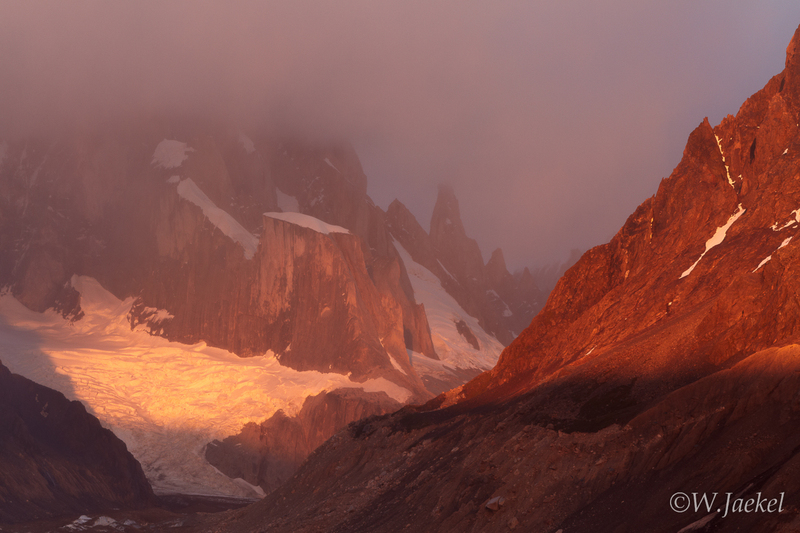 Even if you decide upon an overnight backpacking trip you still have to ascend the moraine fields before sunrise. 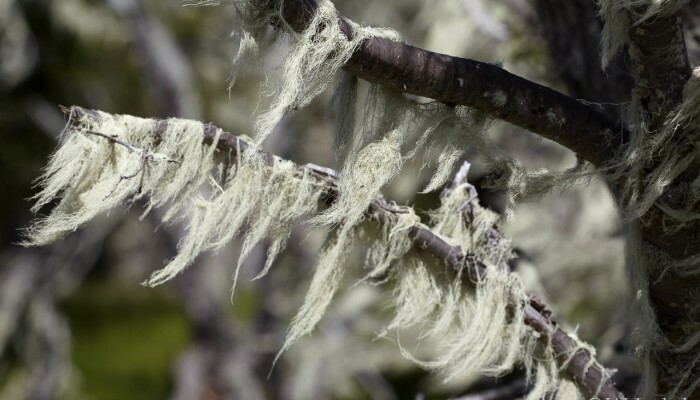 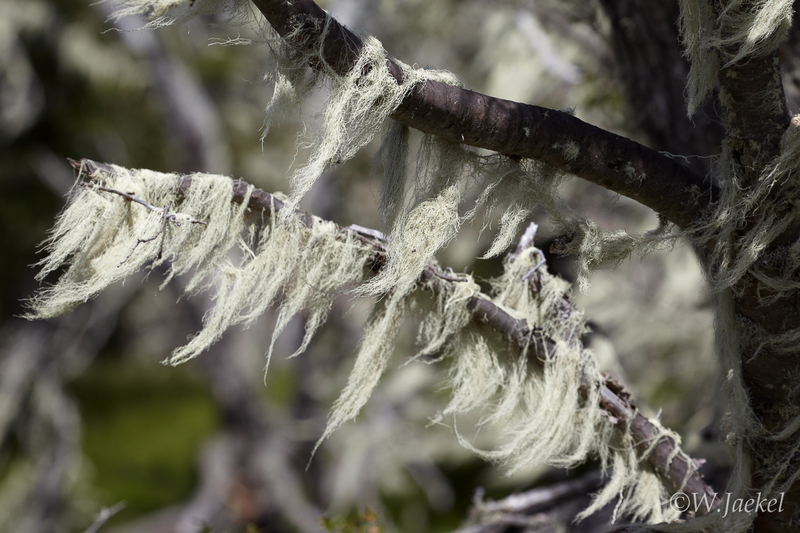 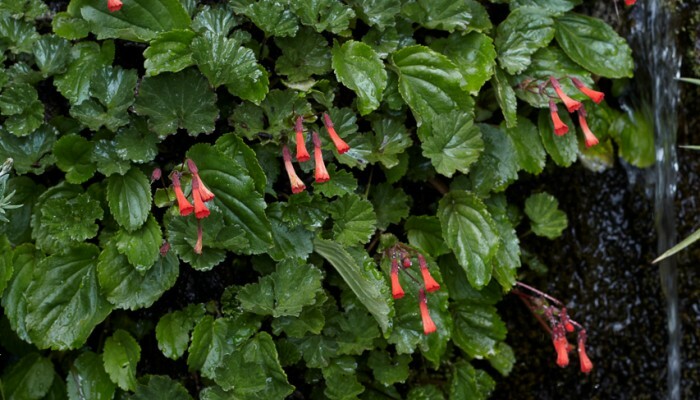 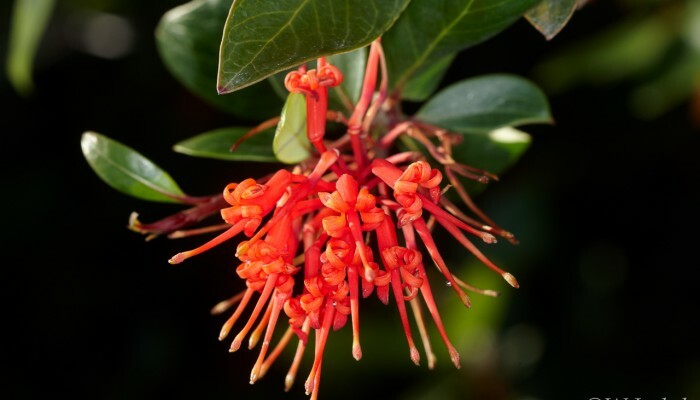 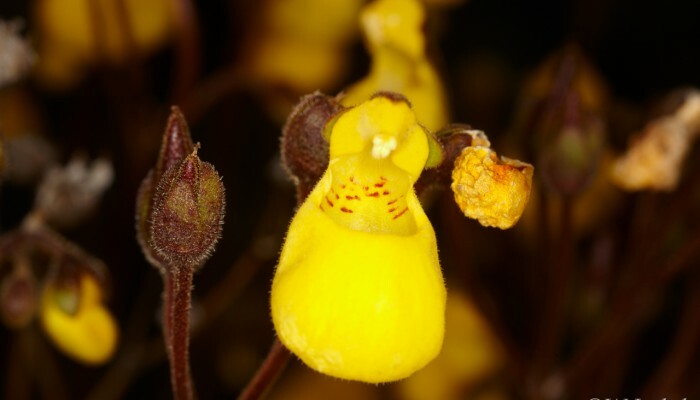 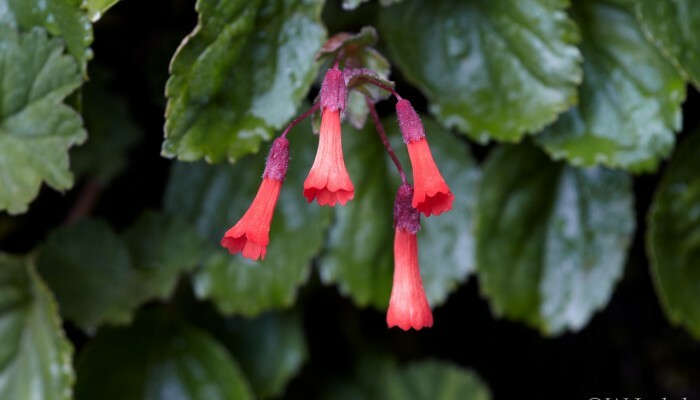 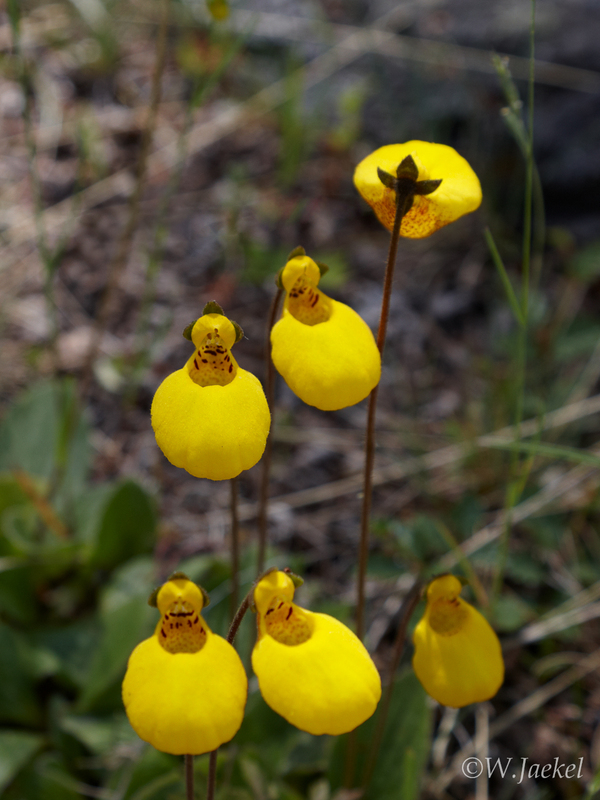 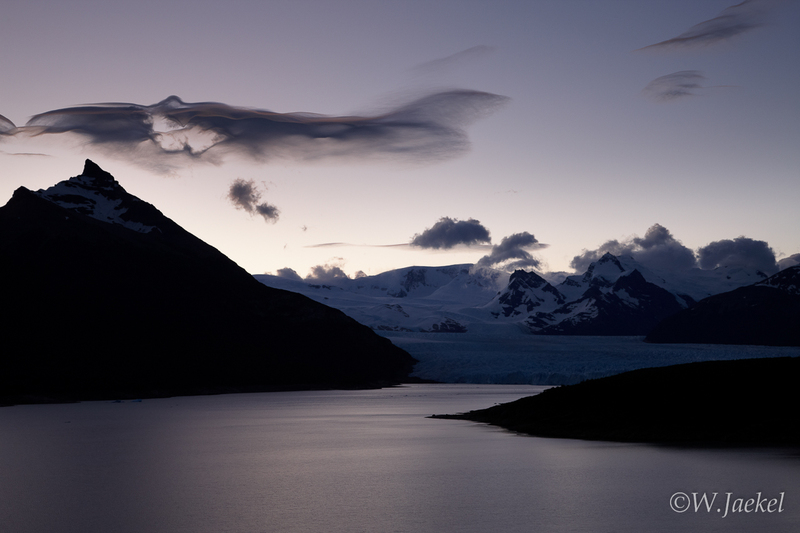 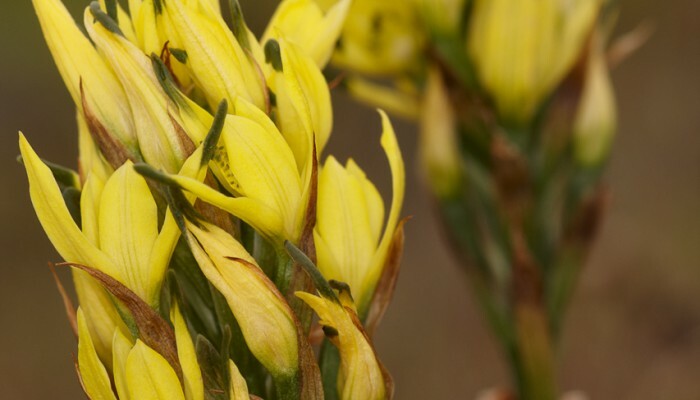 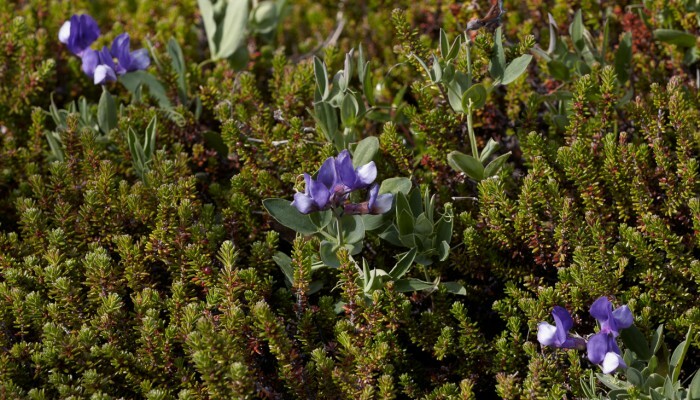 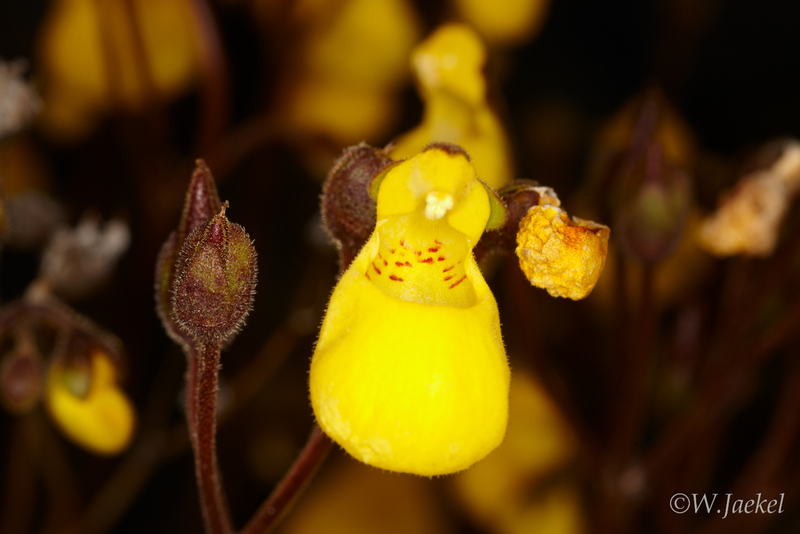 Considering the fact, that the night is pretty short during the Patagonian midsummer, a very early start in the dark is required on some places. 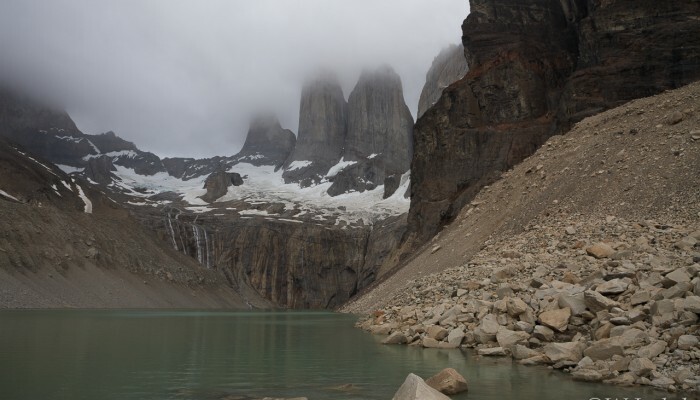 Since I wanted to make the most of the trip respecting photography, I had to schedule the whole tour and overnight stays carefully, also taking possible bad weather conditions into account. 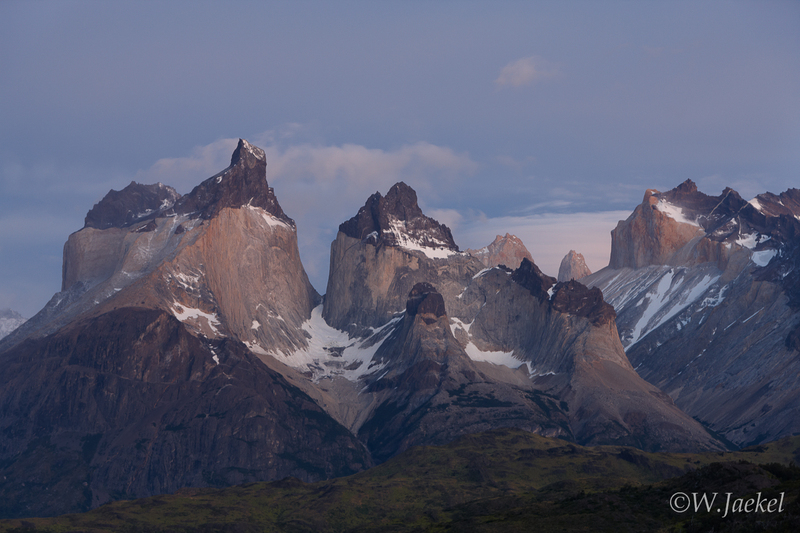 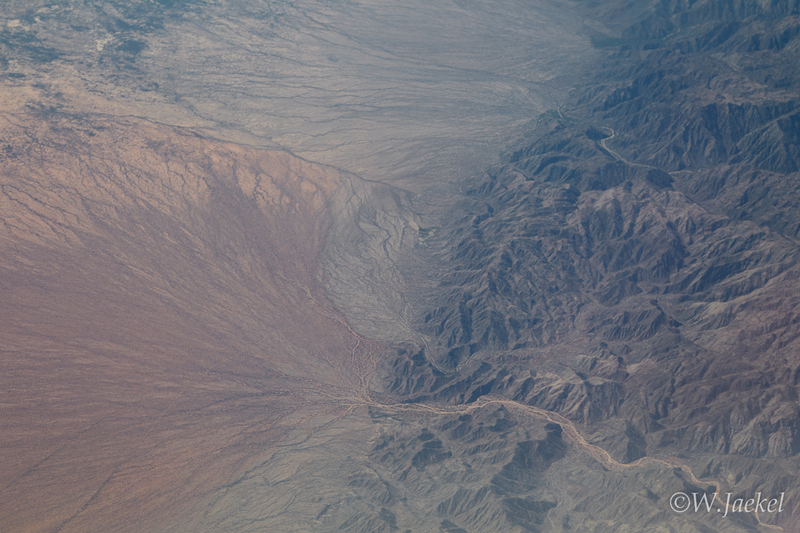 In the end, I could do predawn hikes on most but not on all the locations originally intended. 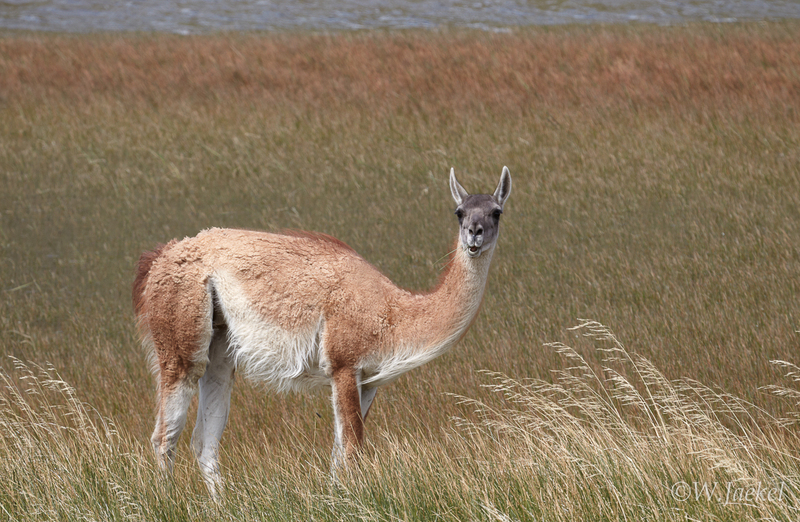 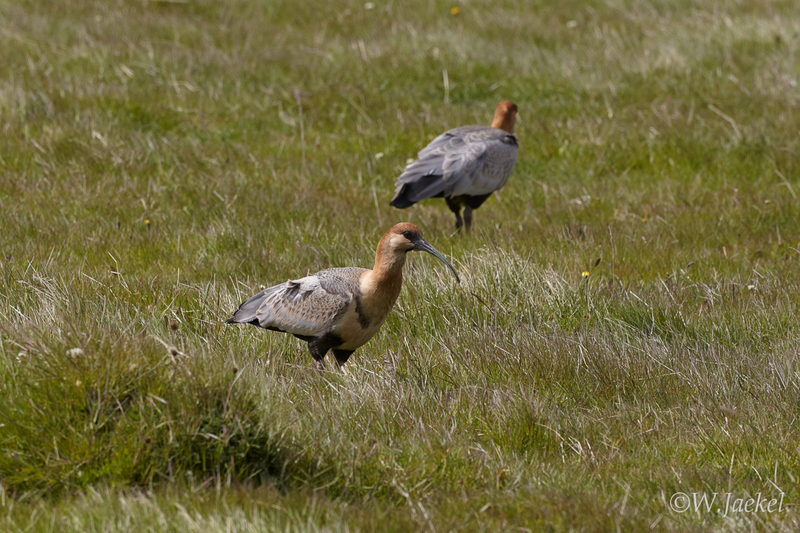 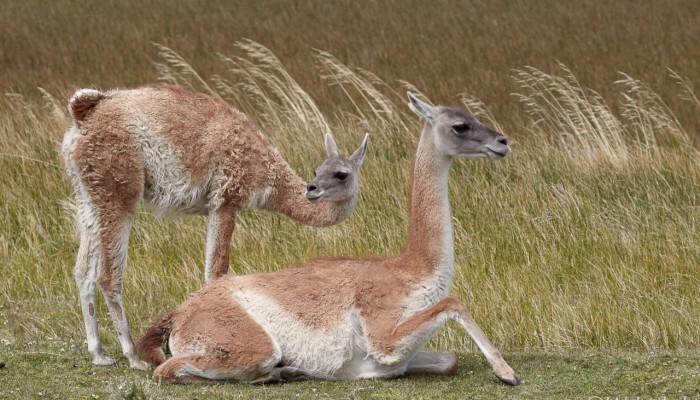 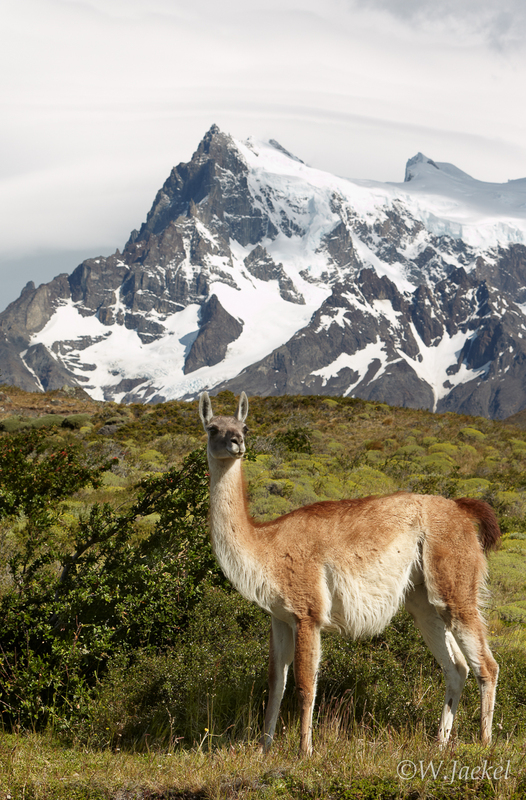 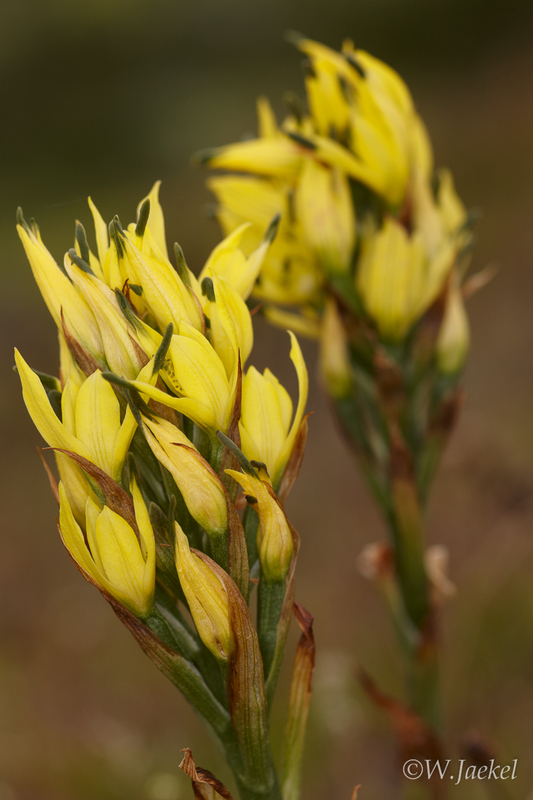 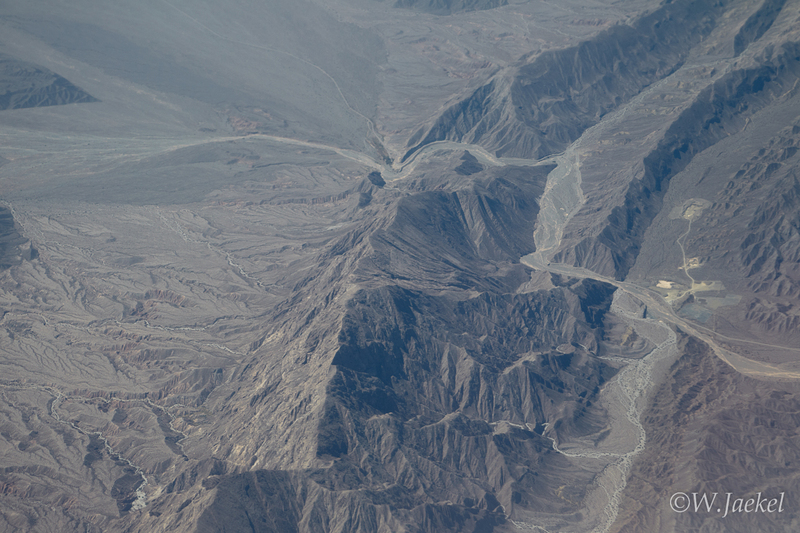 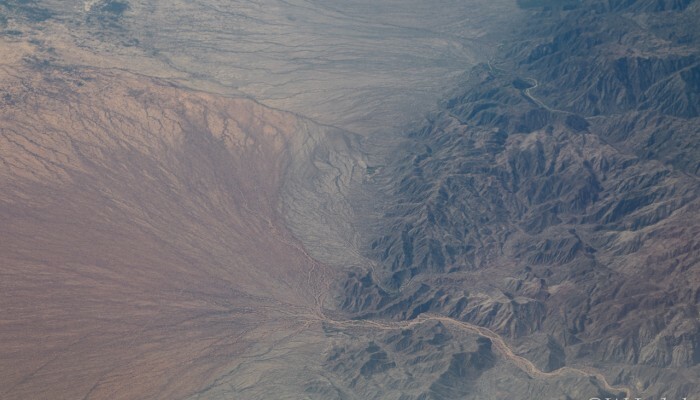 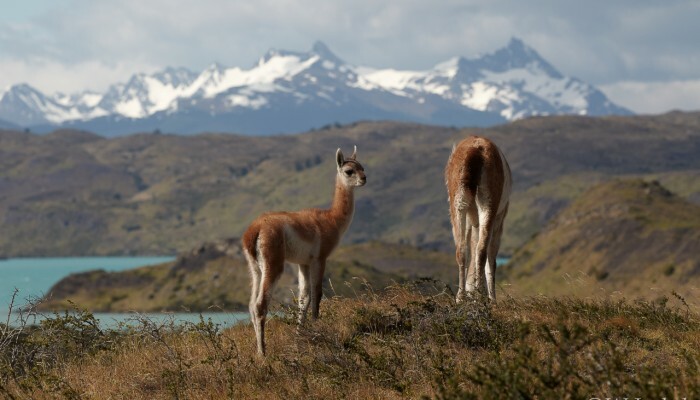 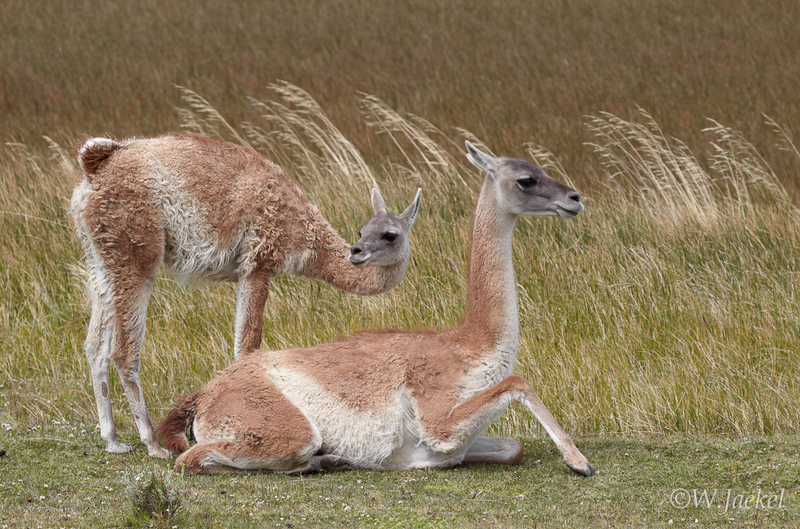 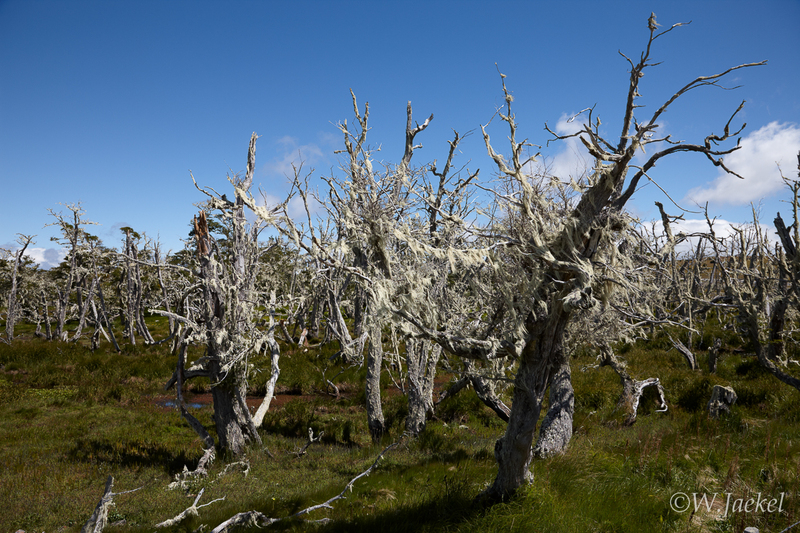 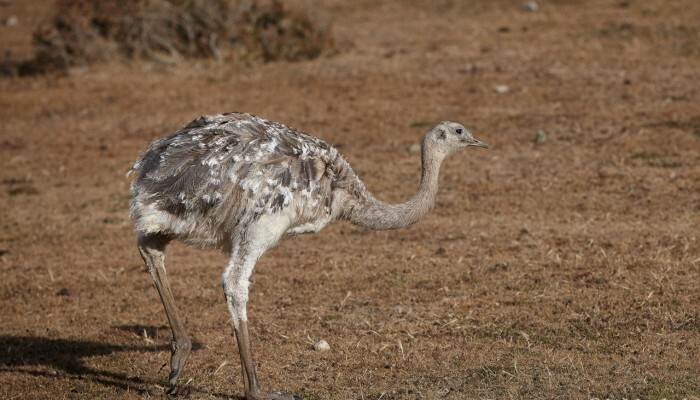 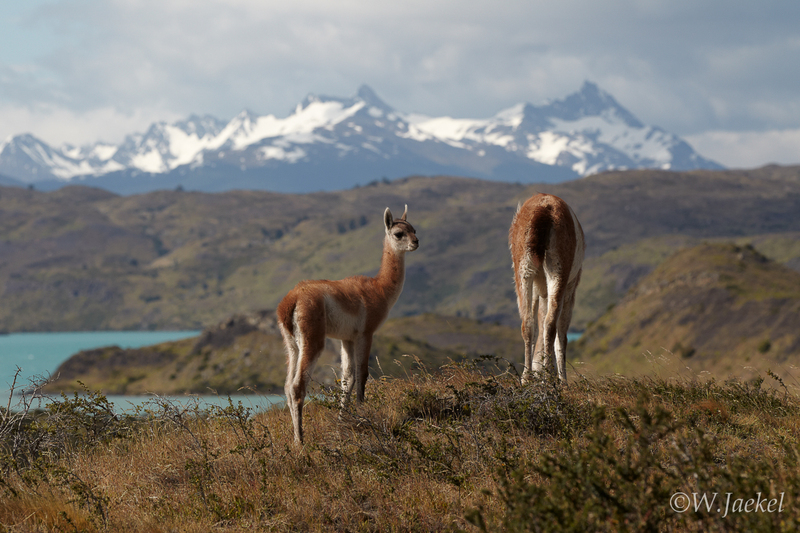 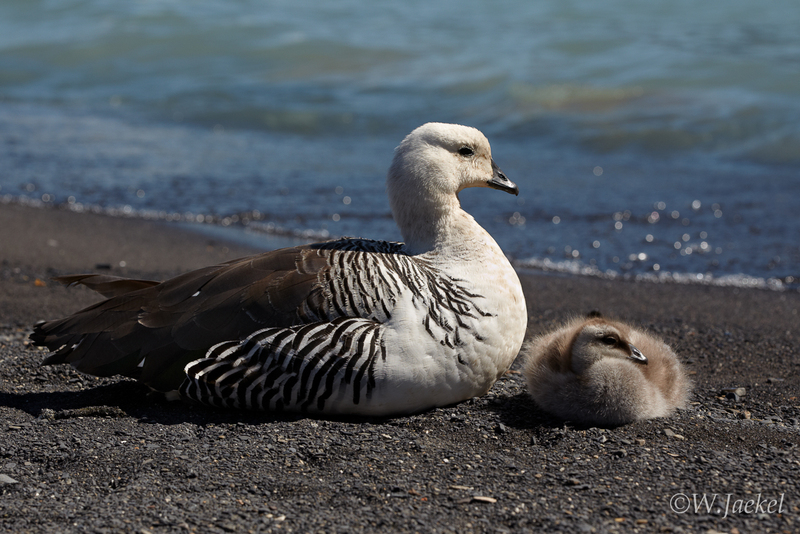 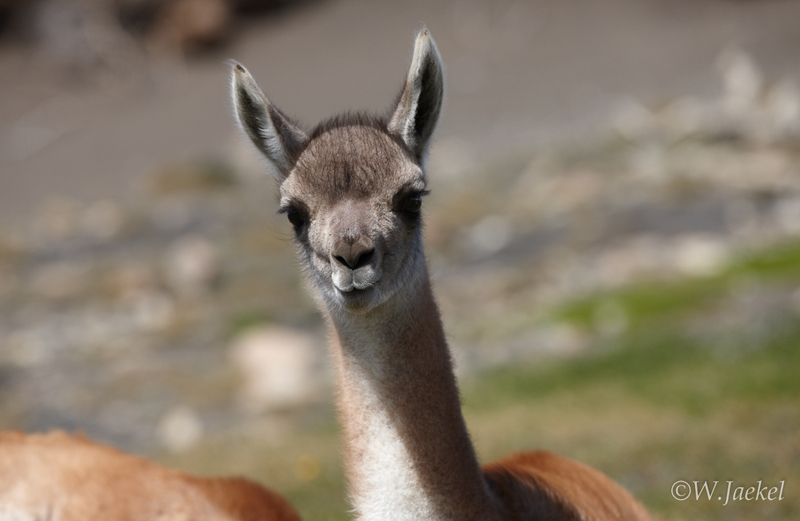 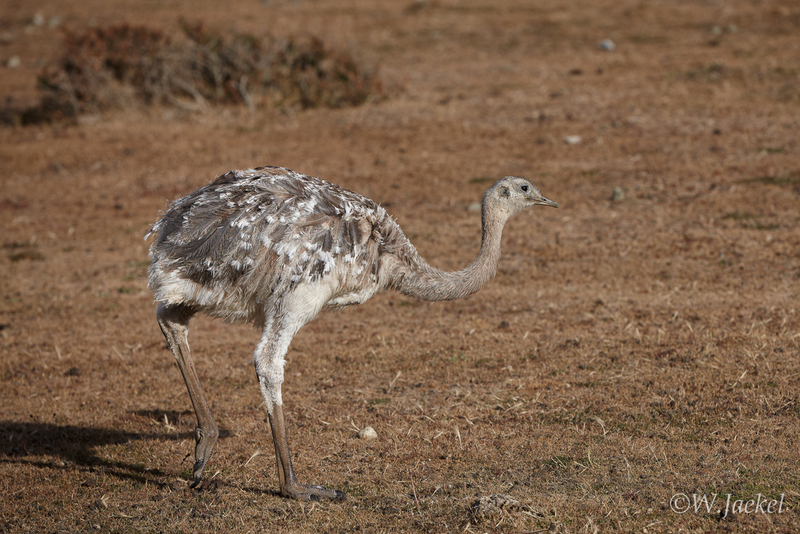 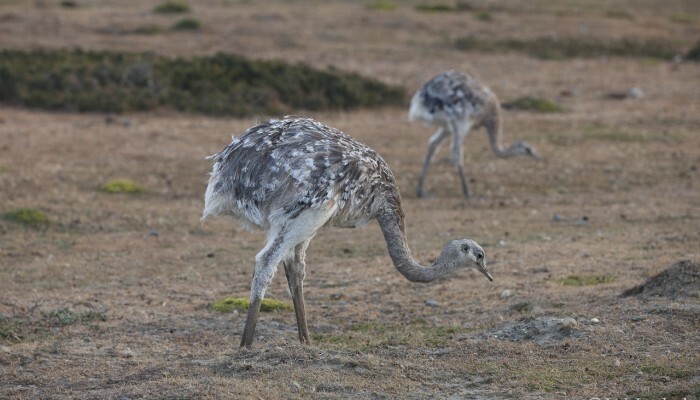 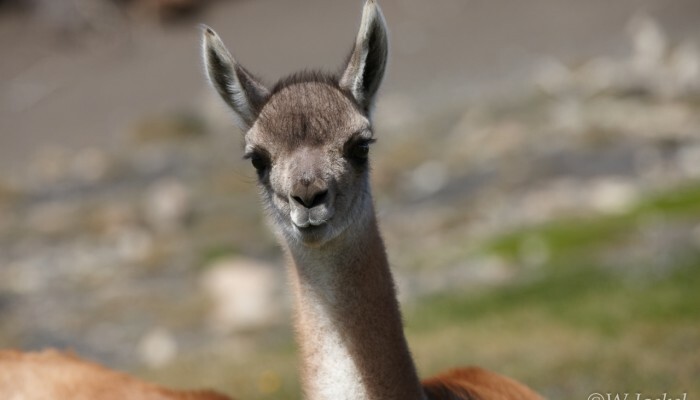 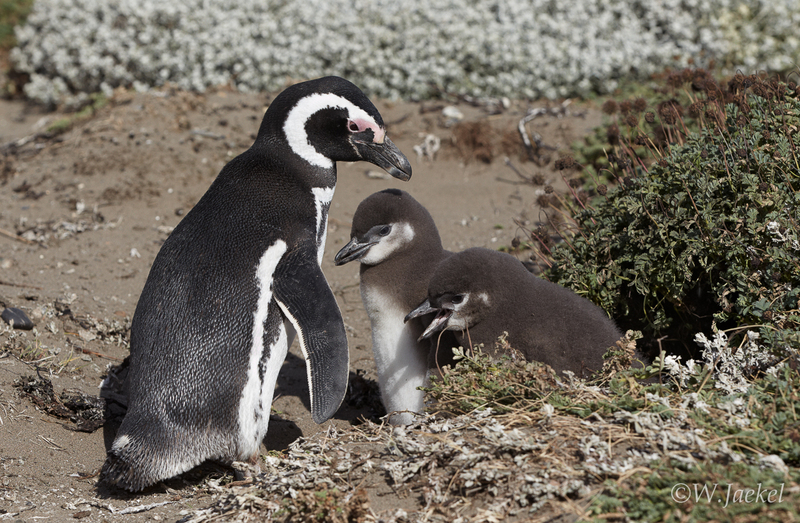 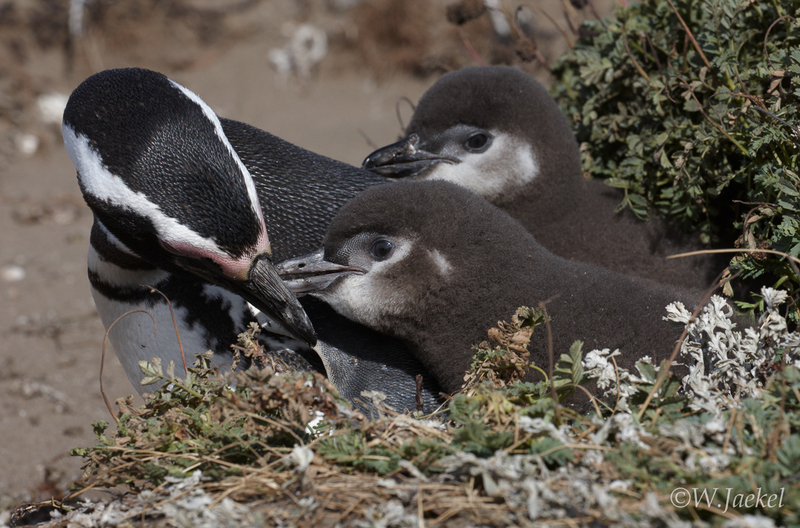 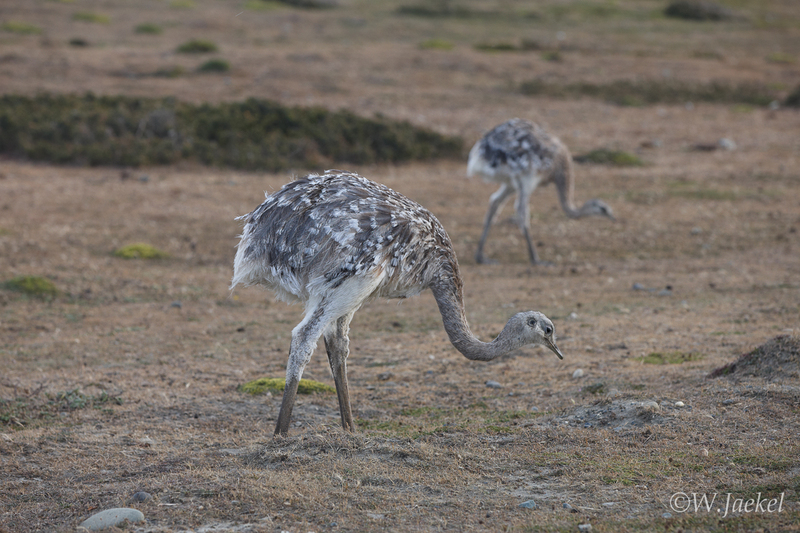 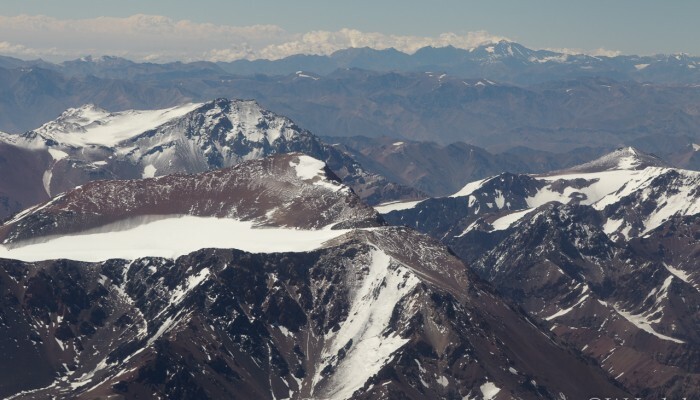 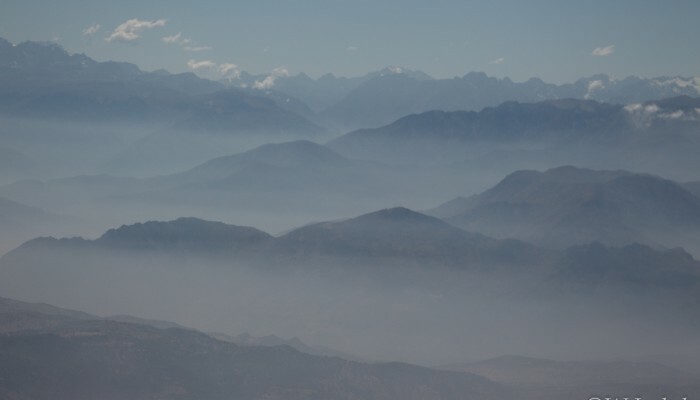 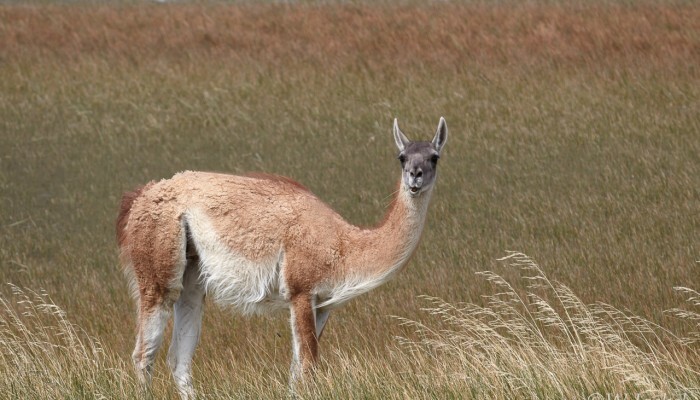 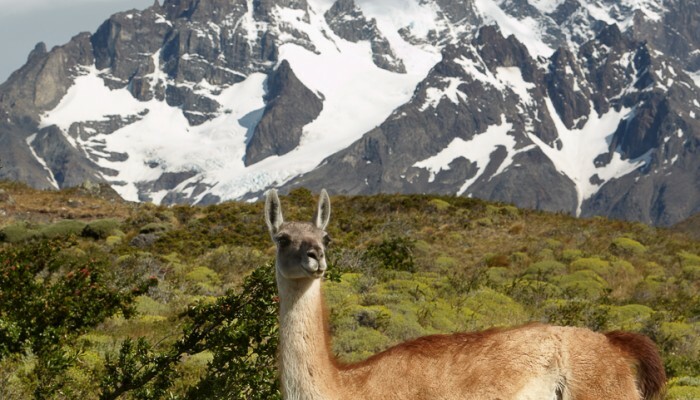 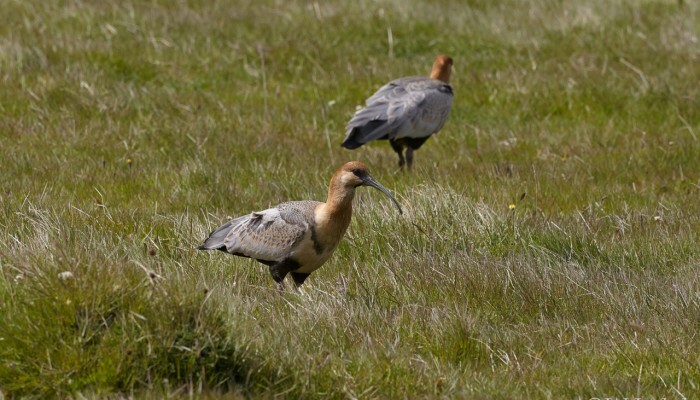 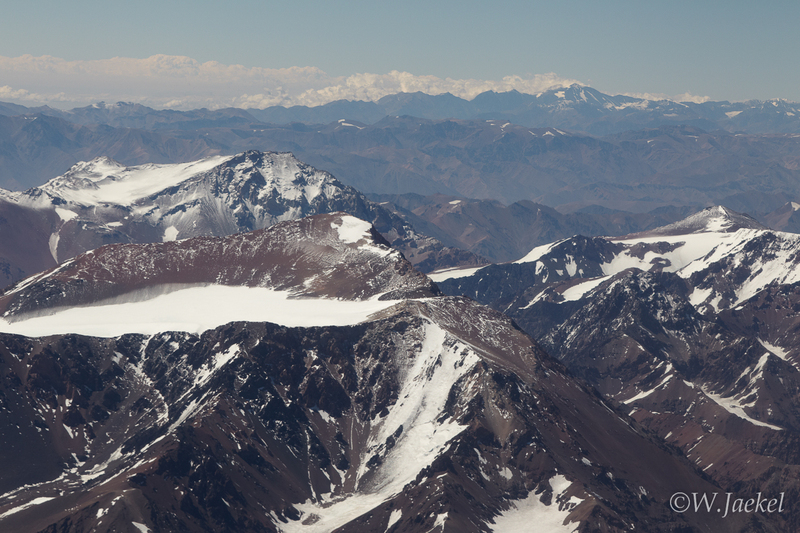 As for wildlife, the area is habitat for rheas (nandues), guanacos, cougars, and gray foxes. 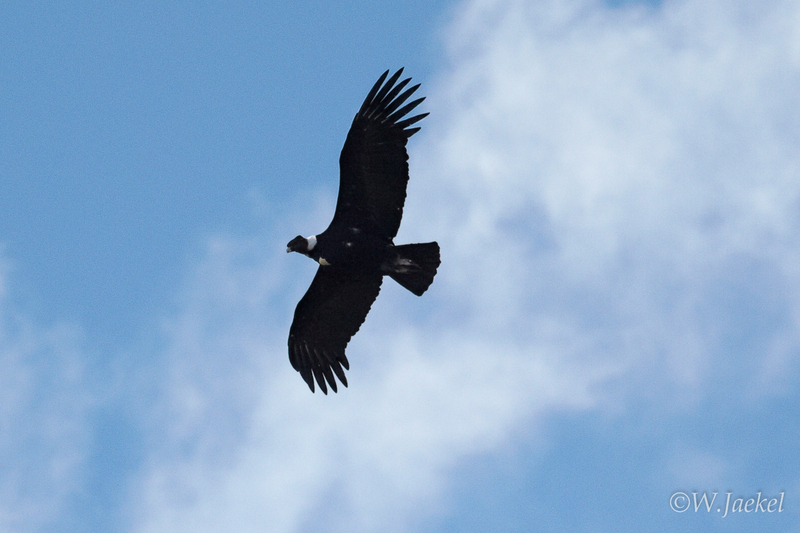 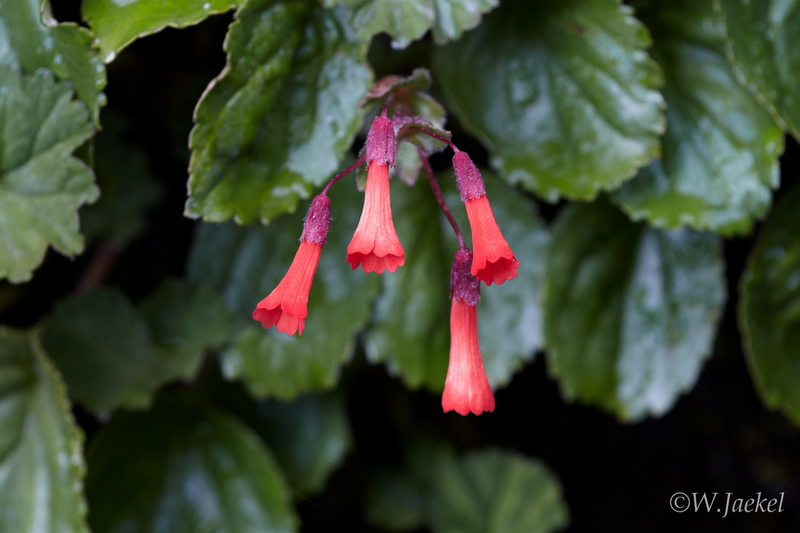 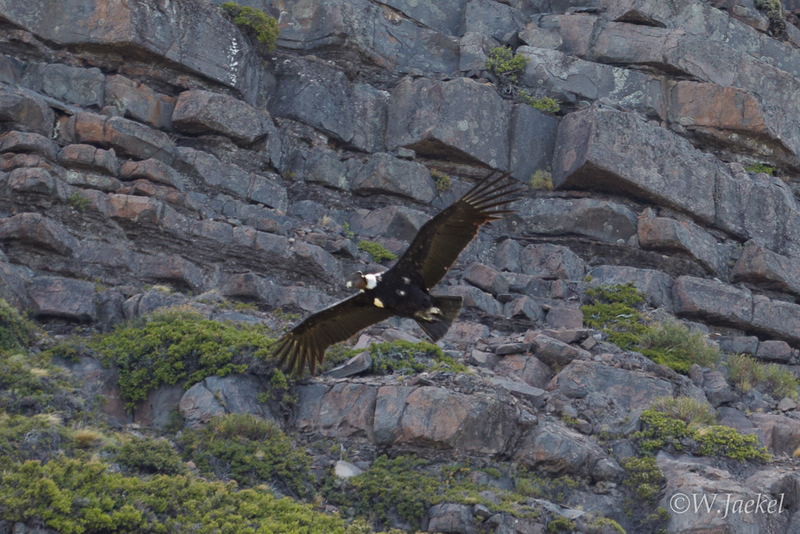 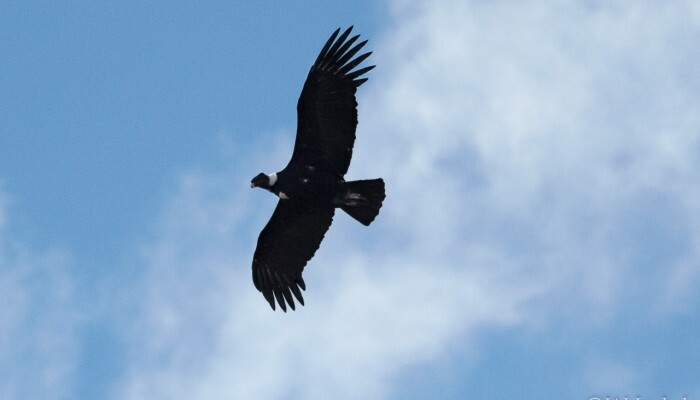 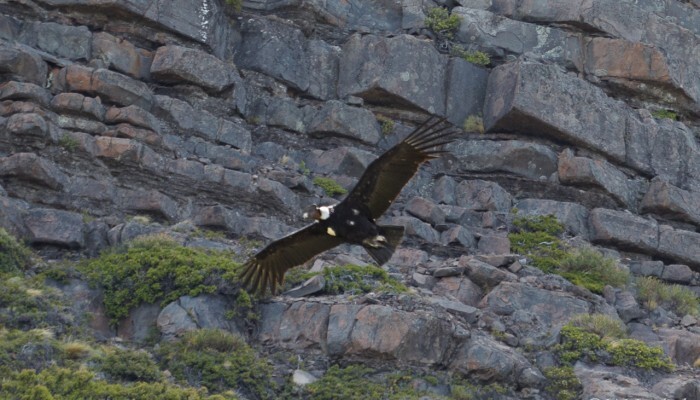 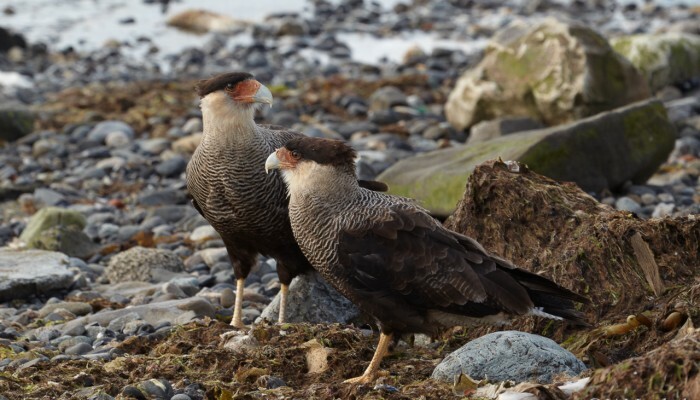 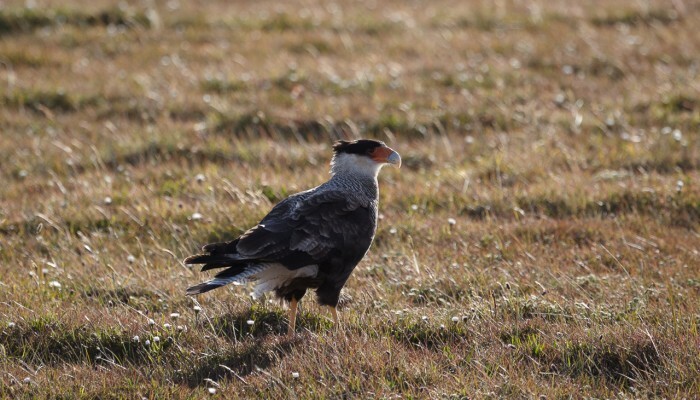 There are over 100 species of birds in the park, including the endangered Andean condor. 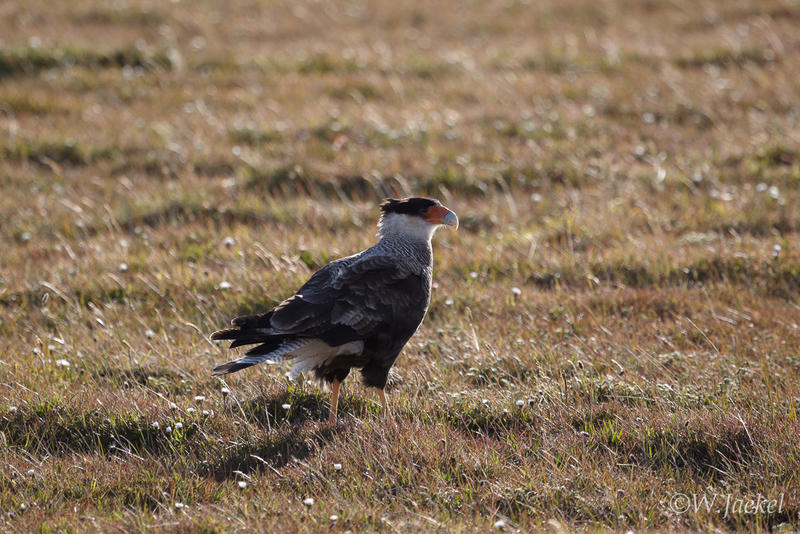 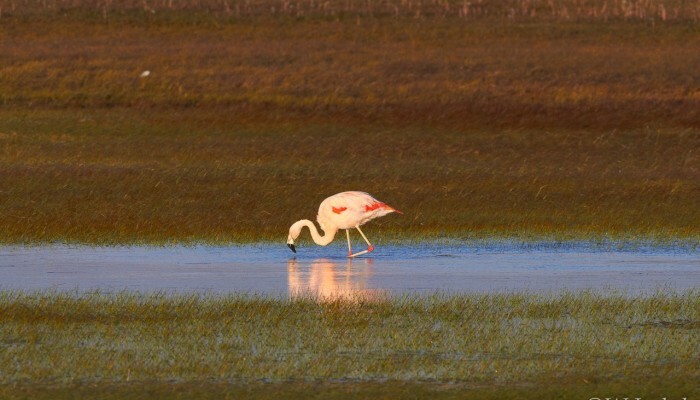 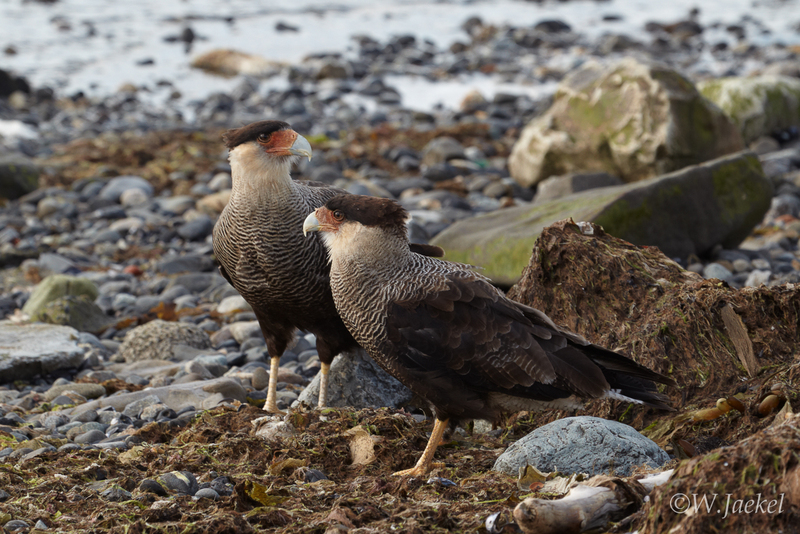 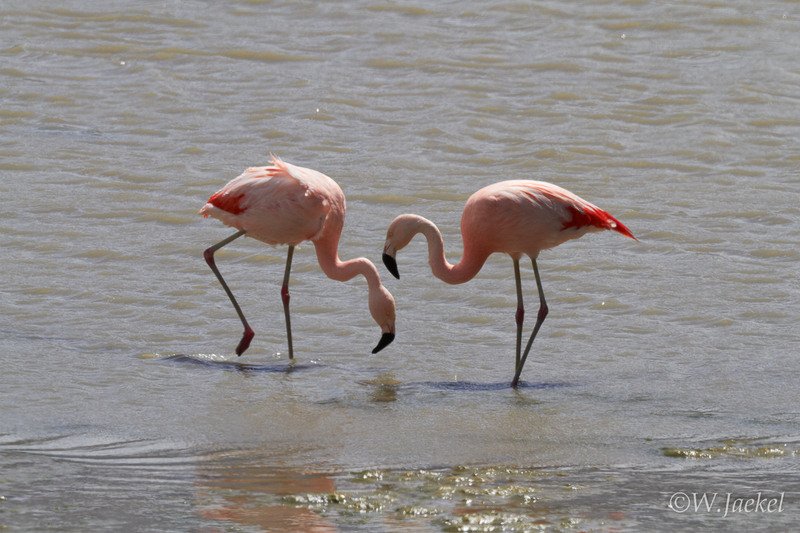 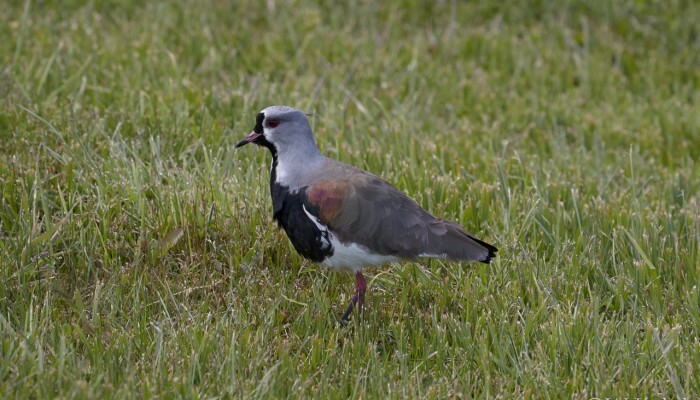 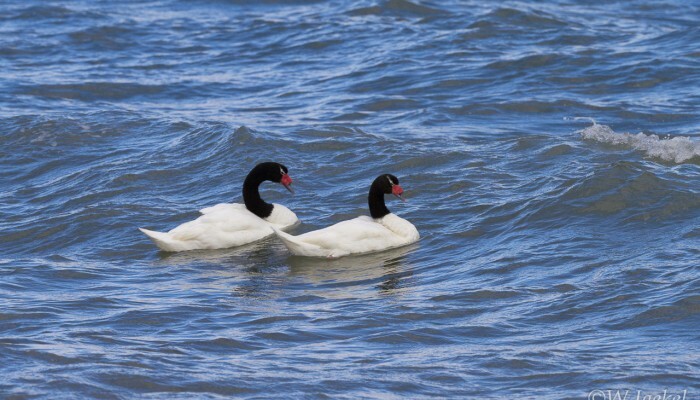 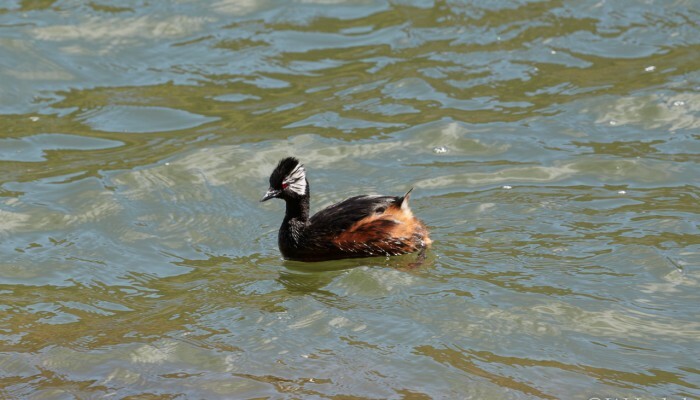 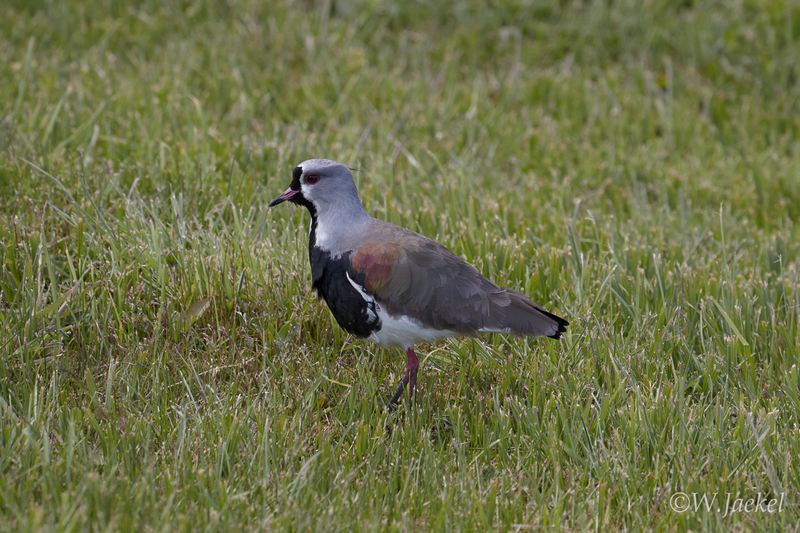 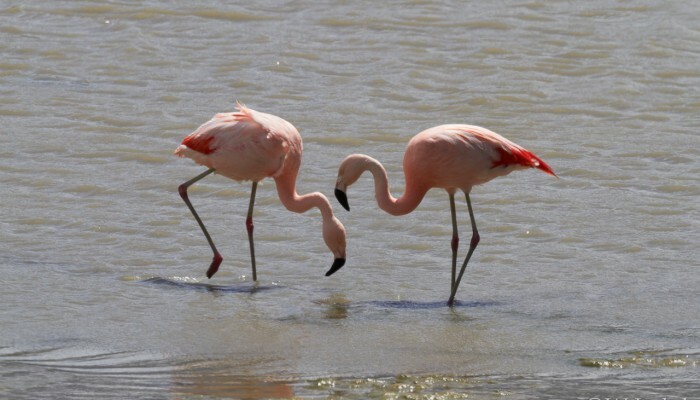 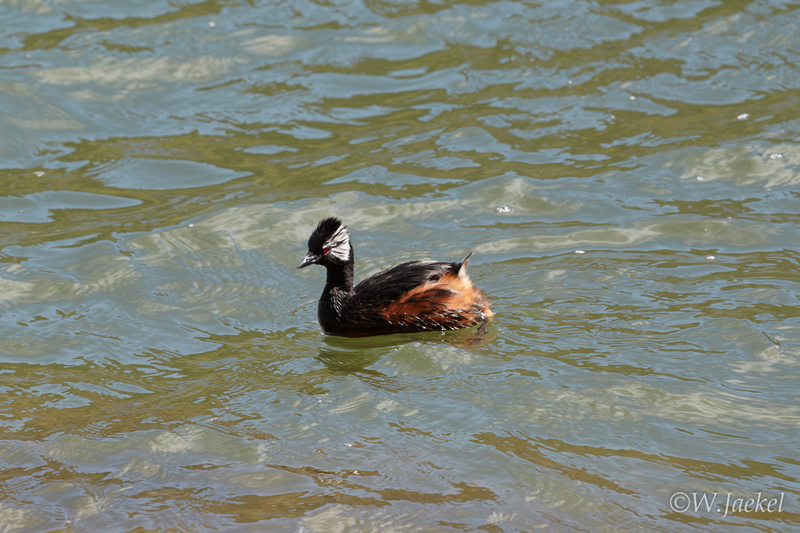 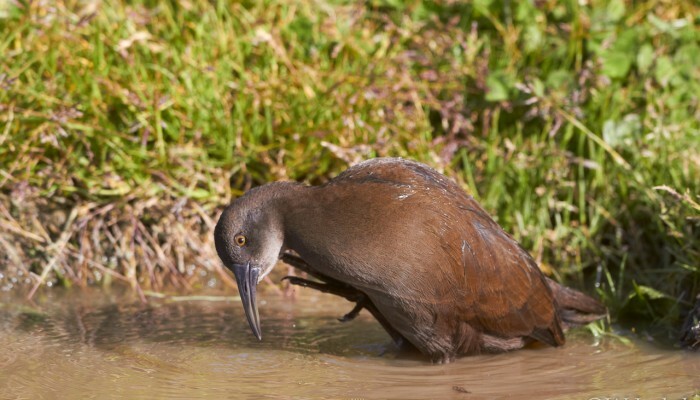 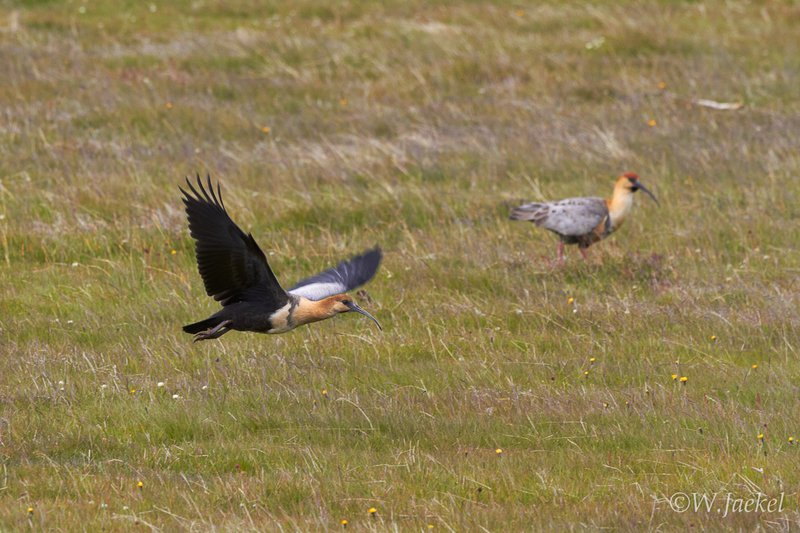 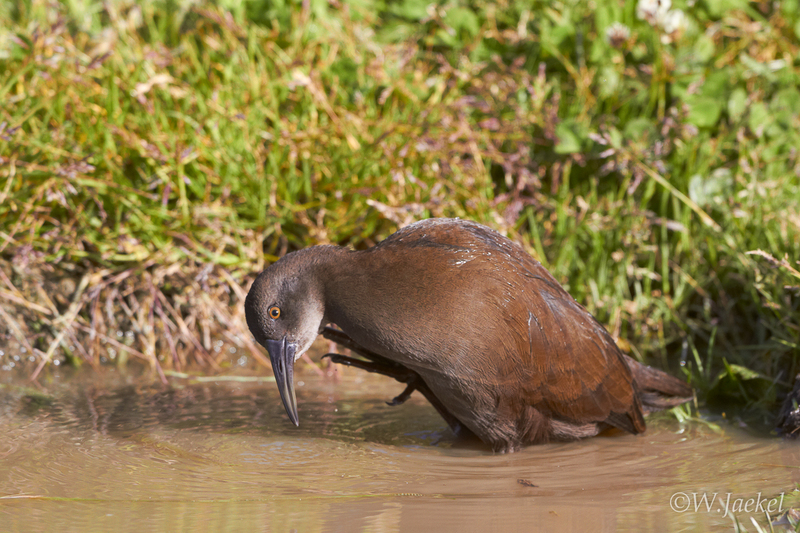 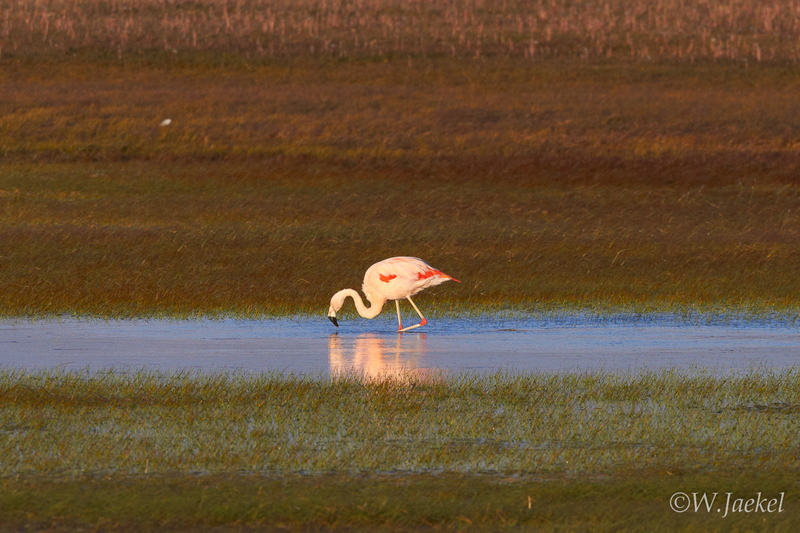 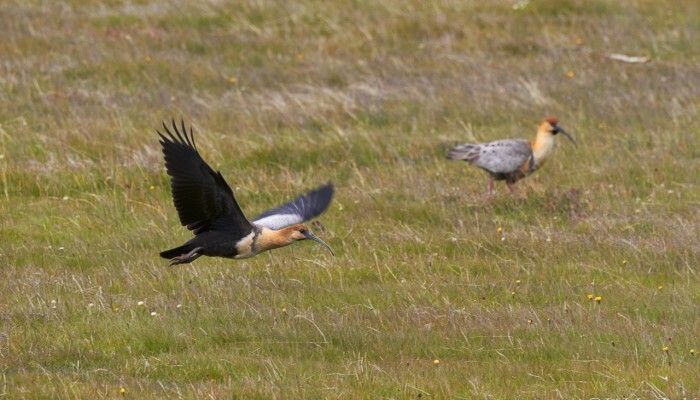 In TDP NP I encountered Chilean flamingo, Chilean Flicker, Magellan goose, Black-faced ibis and Crested Caracara to name a few. 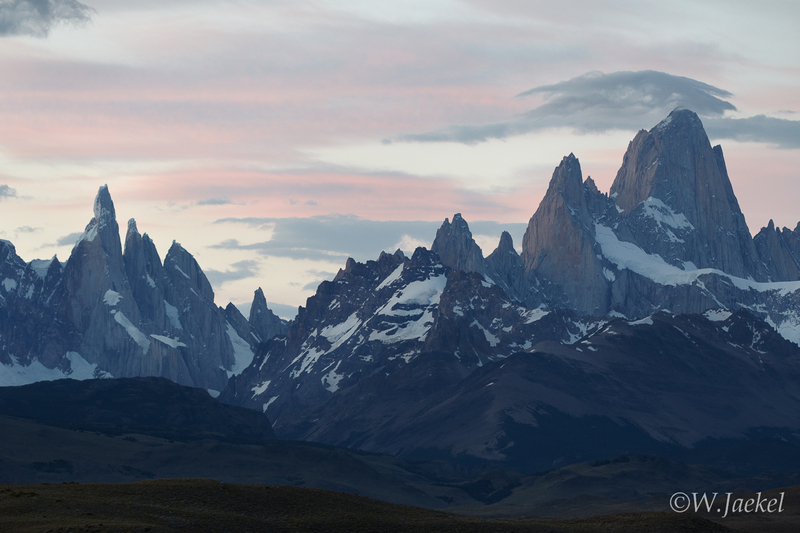 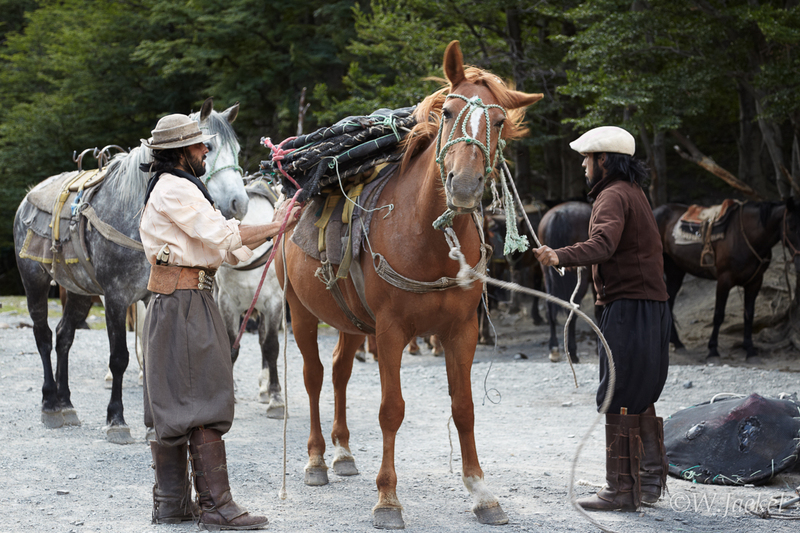 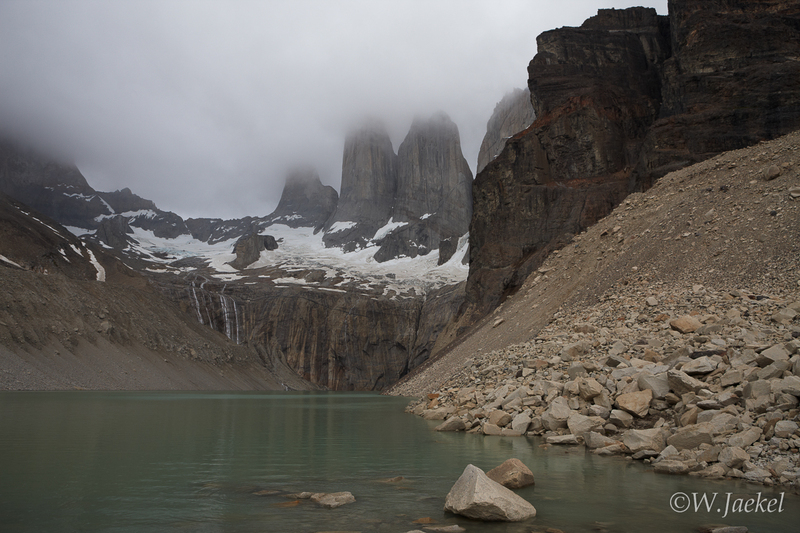 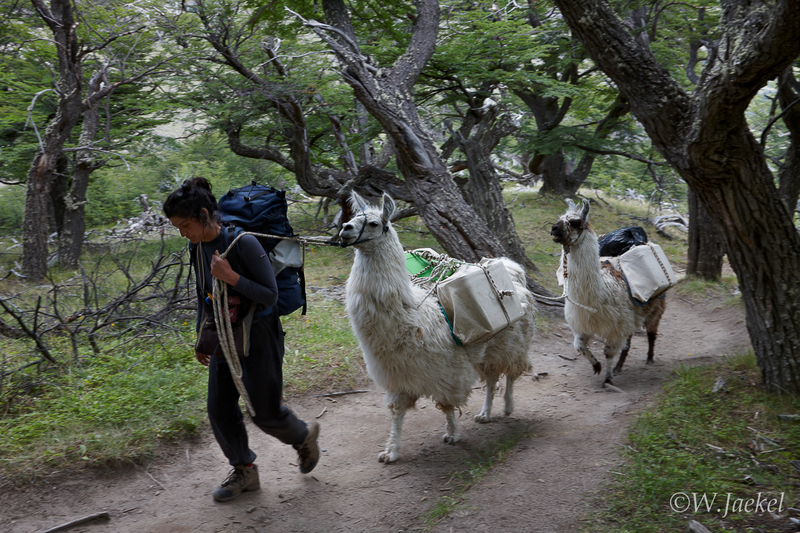 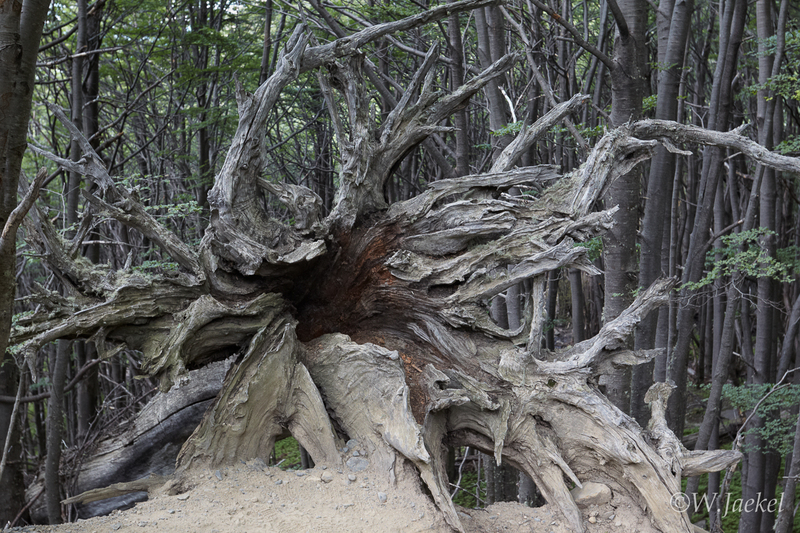 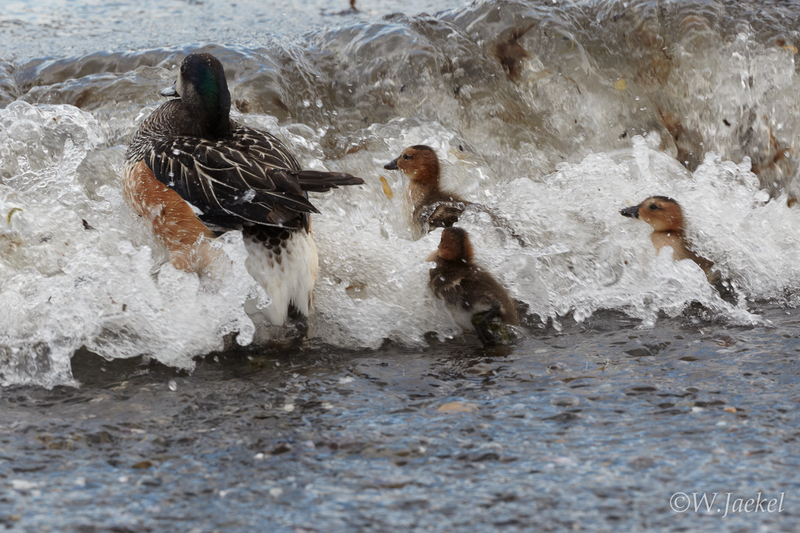 All in all, the trip to Patagonia was a fantastic experience and I hope I can be back once again. 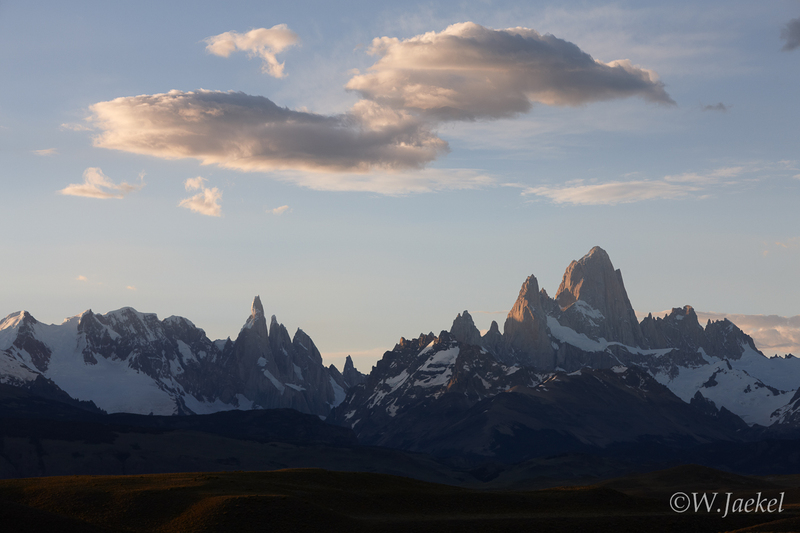 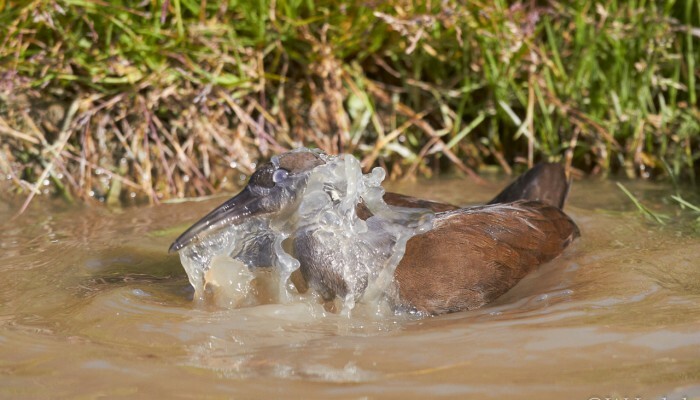 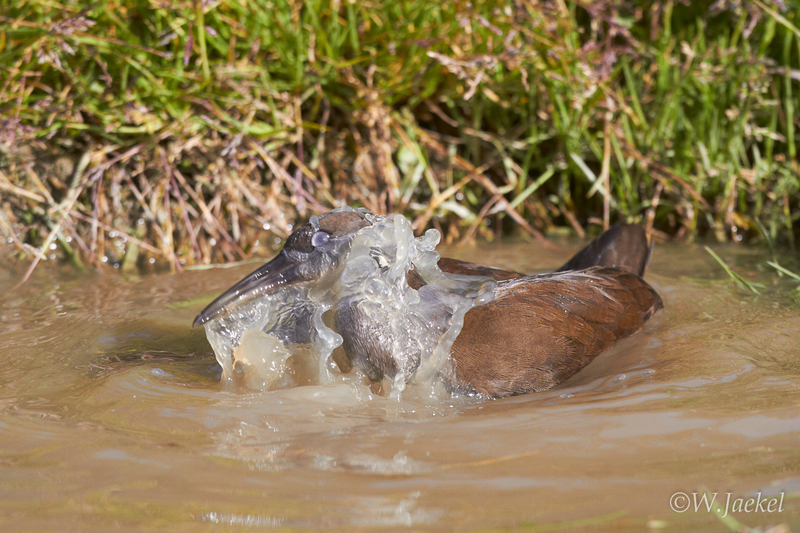 The photos in the gallery were taken with Canon 1Ds Mark III, 1D Mark IV and 7D cameras, mainly using the f 4.0/24-105mm IS USM, f 2.8/70-200mm IS USM II, f 2.8/16-35mm USM, f 14mm USM II lenses for the landscape shots. 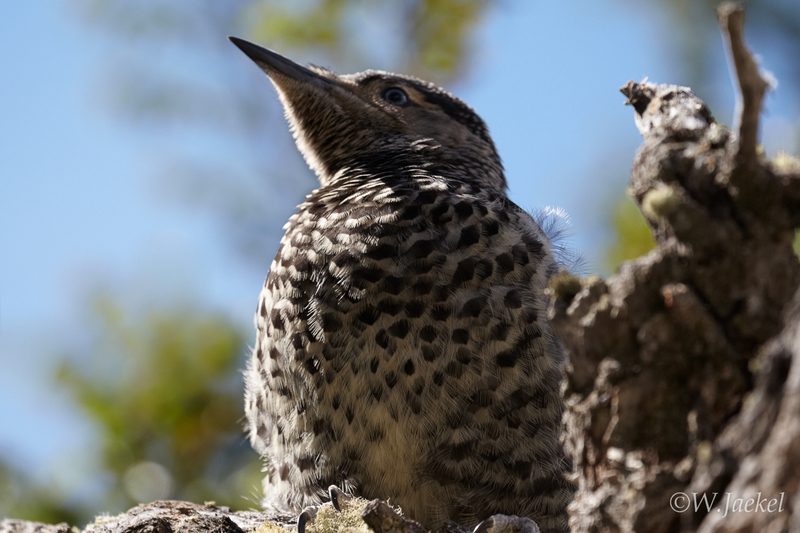 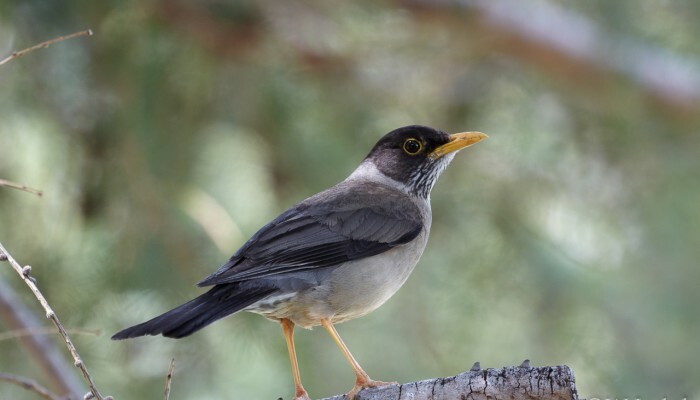 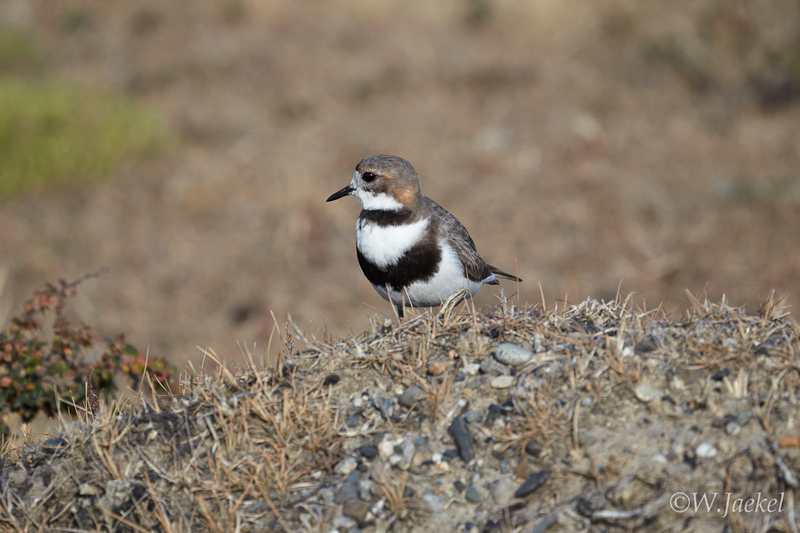 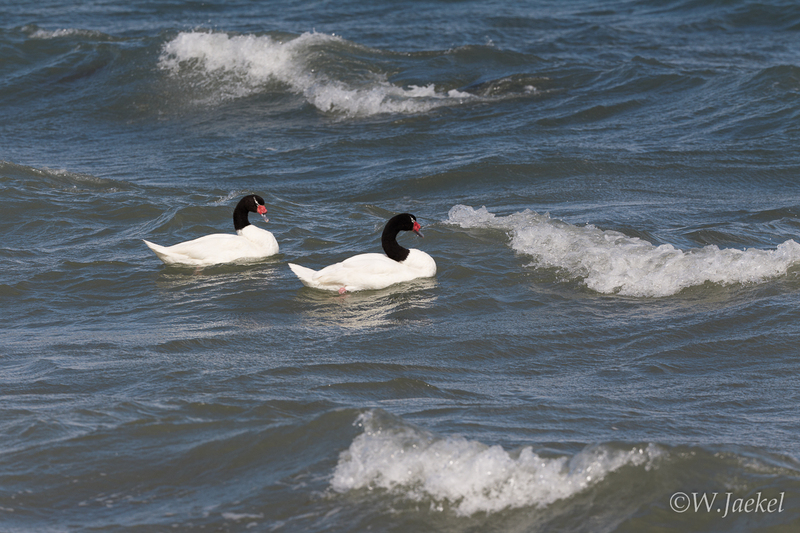 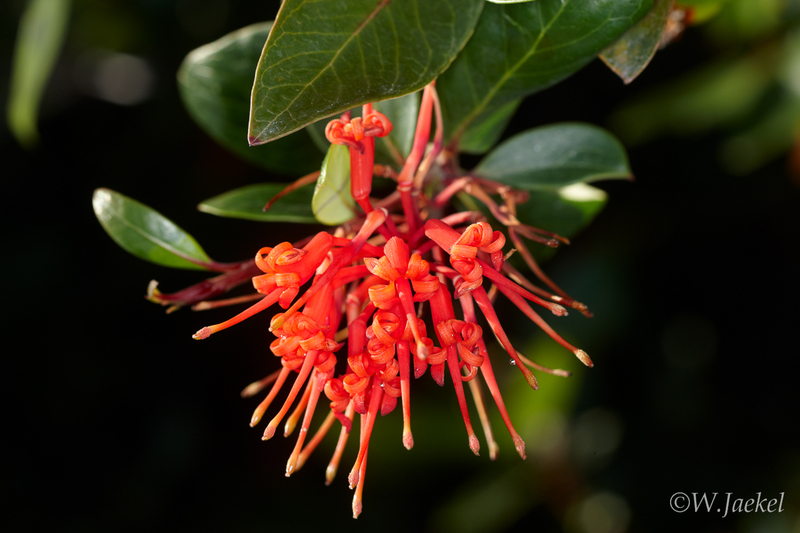 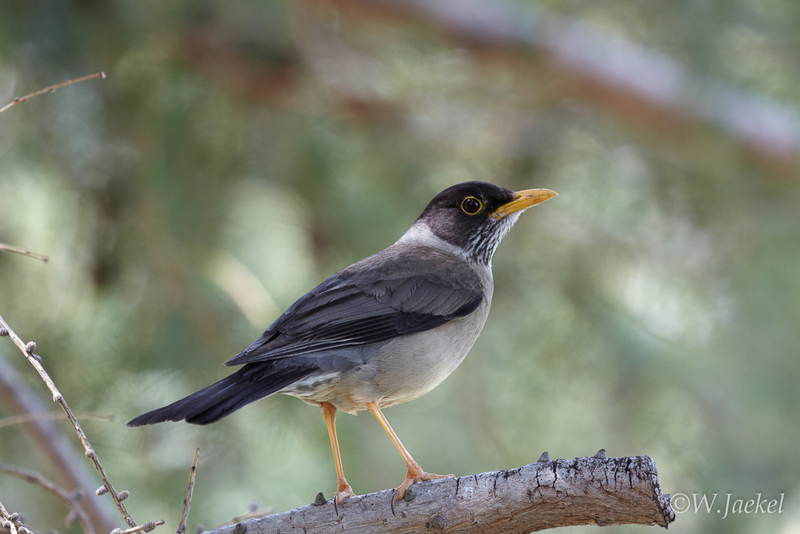 For capturing wildlife I mostly chose the f 4.5-5.6/100-400mm IS USM and f 2.8/300mm IS USM (+ 1,4x converter) lenses while the macros were taken with the f 2.8/100mm macro lens. 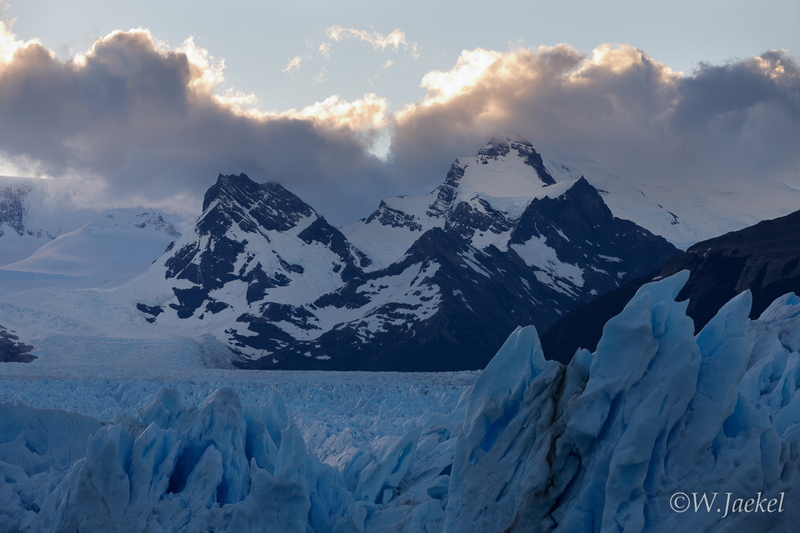 The Upsala Glacier seen from the viewpoint (Mirador Upsala).